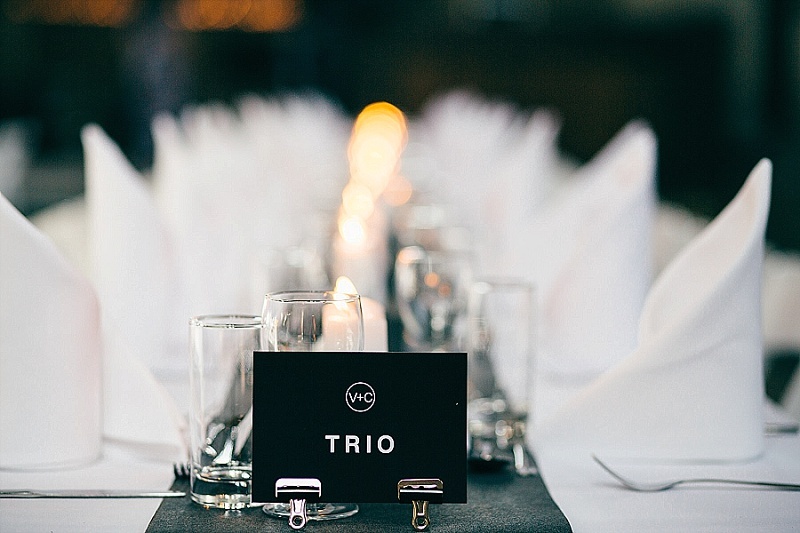 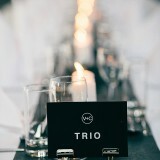 There are several elements to today’s real wedding that evoke the word “wow”. 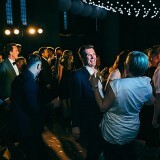 The fabulously planned surprise proposal for one (excellent work Courtney), not to mention the a-maz-ing reception venue, and then the fact that the couple managed to get one of their favourite bands to travel all the way from California to play at their wedding. 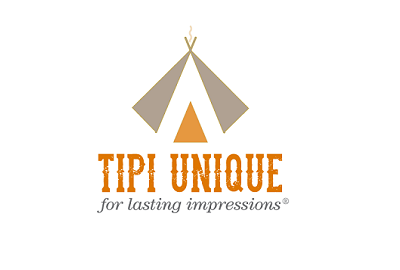 Impressed? 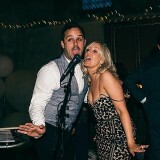 Us too! 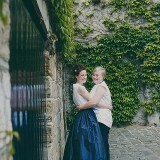 With images by Yolande De Vries Photography. 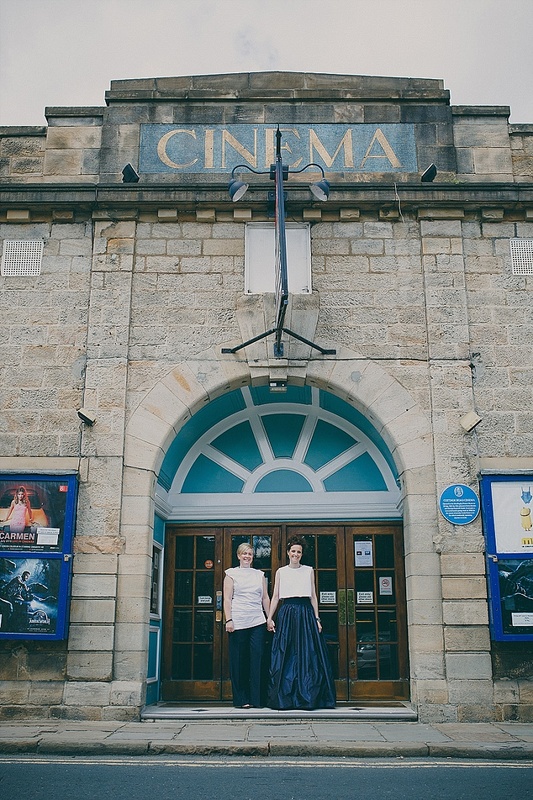 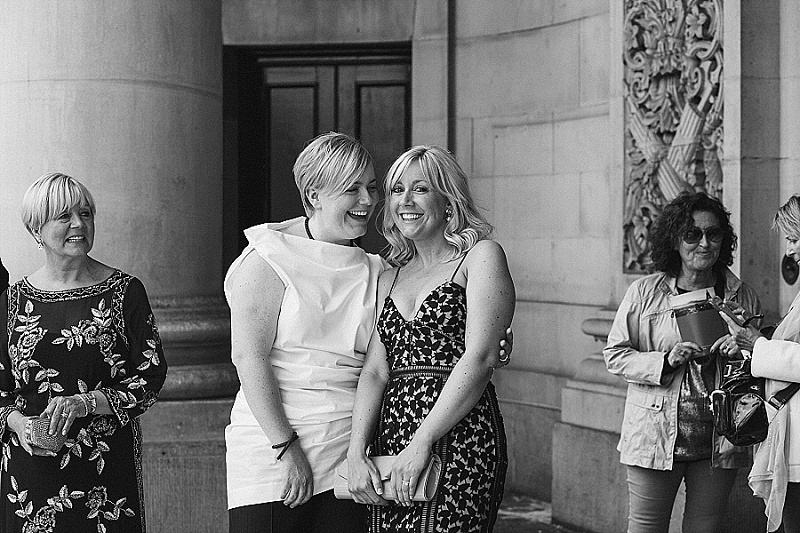 courtney says: I proposed to Vicky at Cottage Road Cinema in Leeds on 4th May 2014. 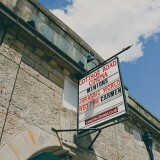 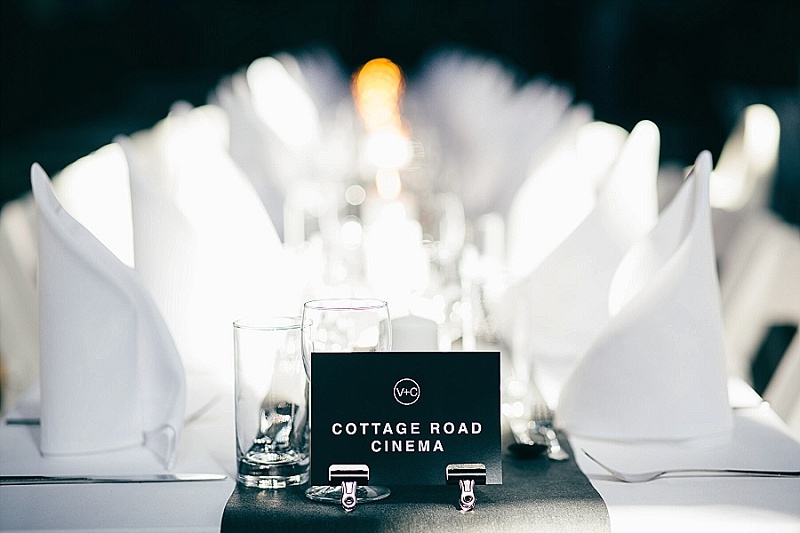 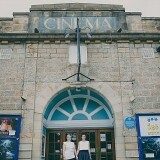 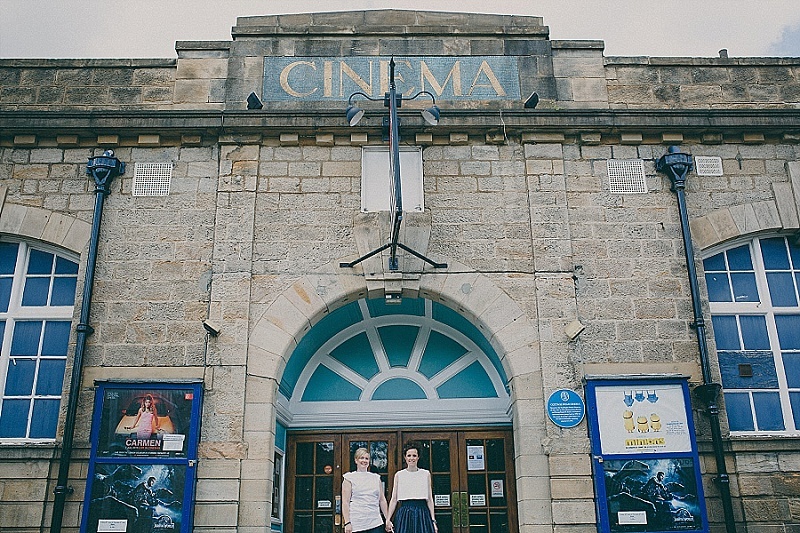 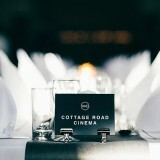 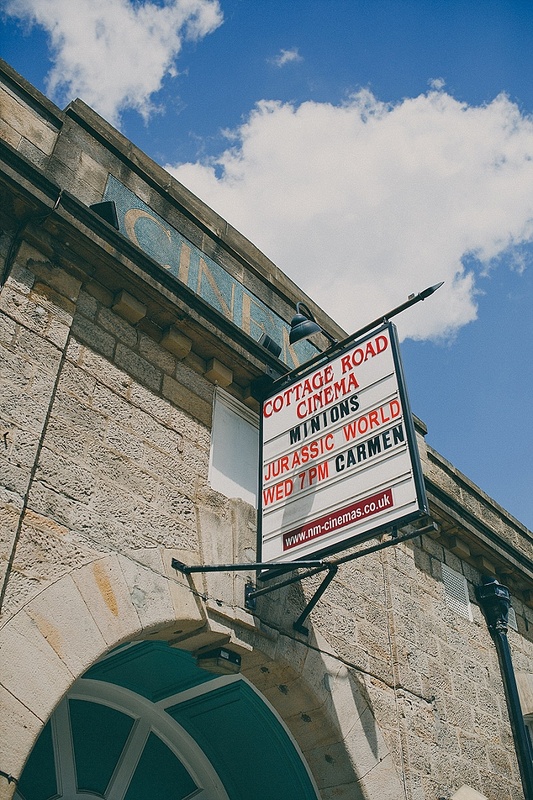 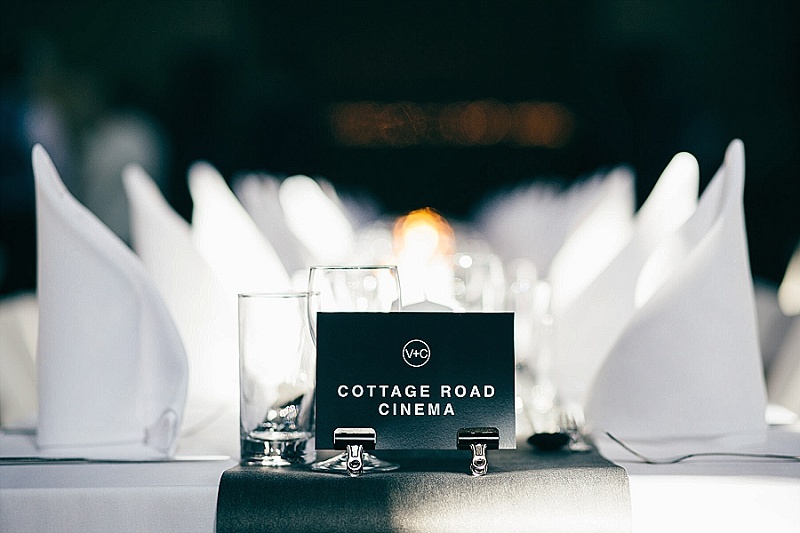 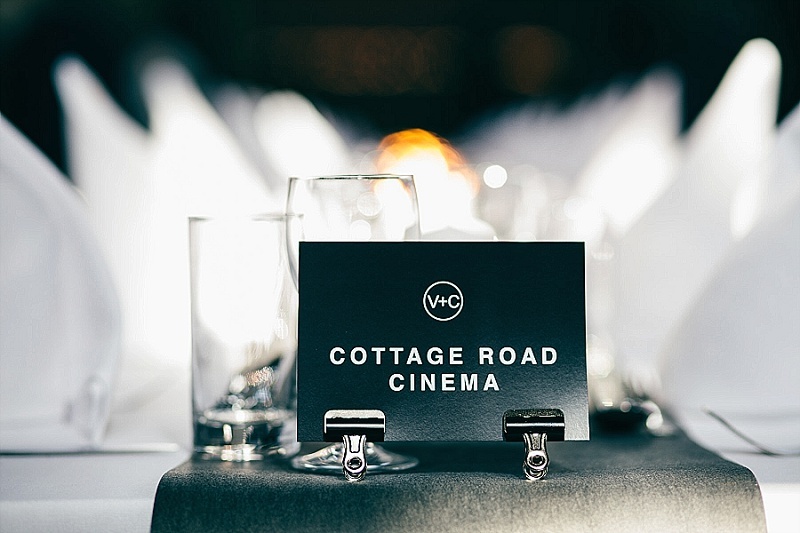 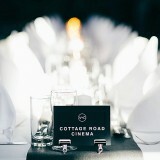 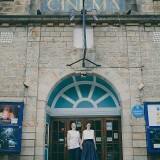 Cottage Rd Cinema was one of the places we went to on our first dates and is only a two minute walk from our house. 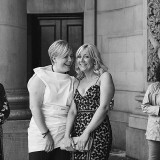 On the day of the proposal Vicky had planned to meet a group of friends in Headingley for lunch and a few drinks as a belated birthday celebration. I had suggested the two of us go to a student short film festival at Cottage Road Cinema before lunch and told her I had pre booked tickets. 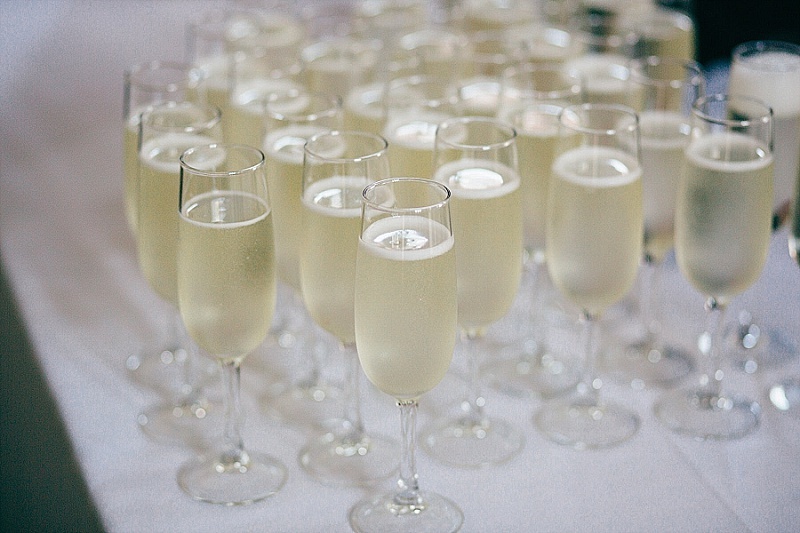 When we got to the cinema we were given a glass of prosecco each (we were told it was complimentary with ticket as part of the student film festival). 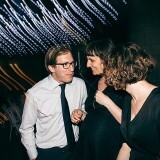 When we got in the previews were already on and we stumbled to a few seats in the back. 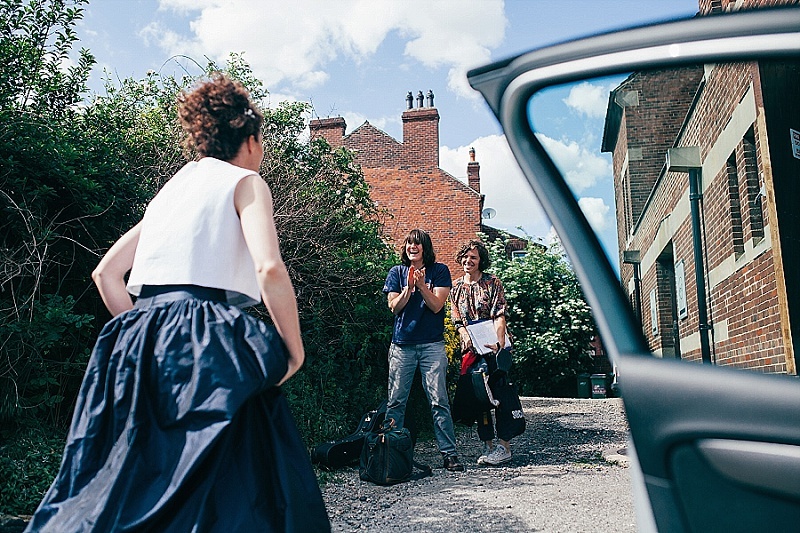 When the first “short film” came on it was set to the song Skinnybones by Sea of Bees, which always reminds us of when we first got together. 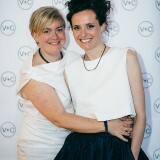 So instantly Vicky knew I was up to something but had no idea it was more than just a film. 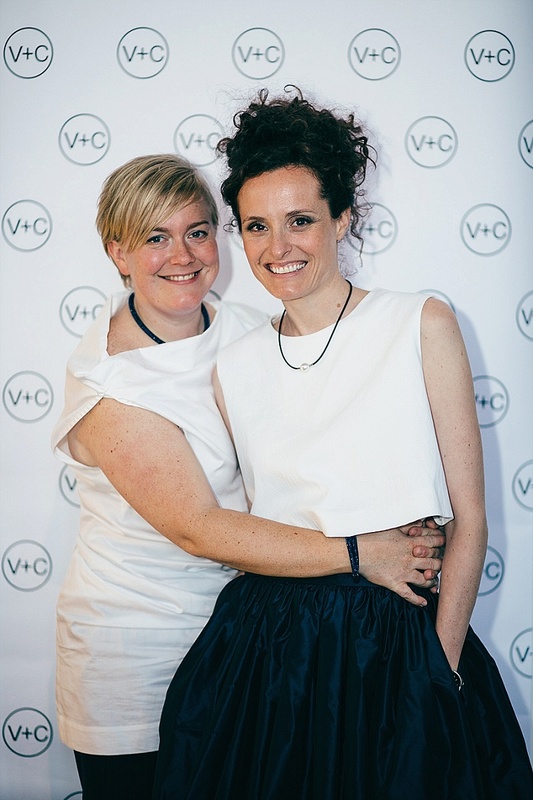 Part way through the very short film (it was probably only about 20 seconds of footage) text appeared that said, Victoria Hayhurst I adore you. 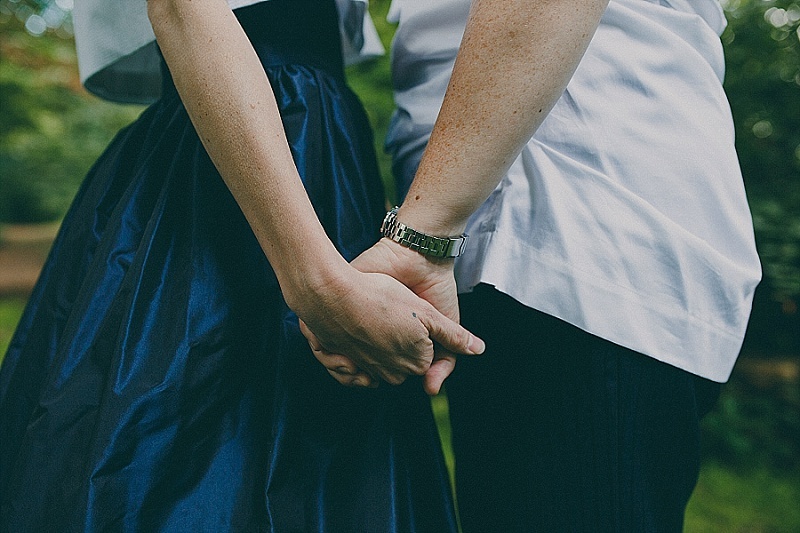 Let’s be together forever? 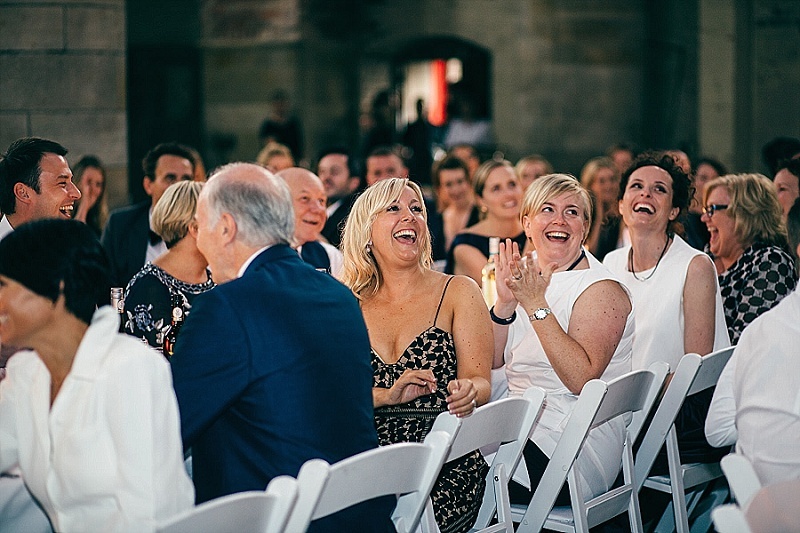 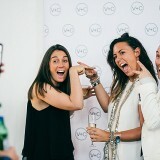 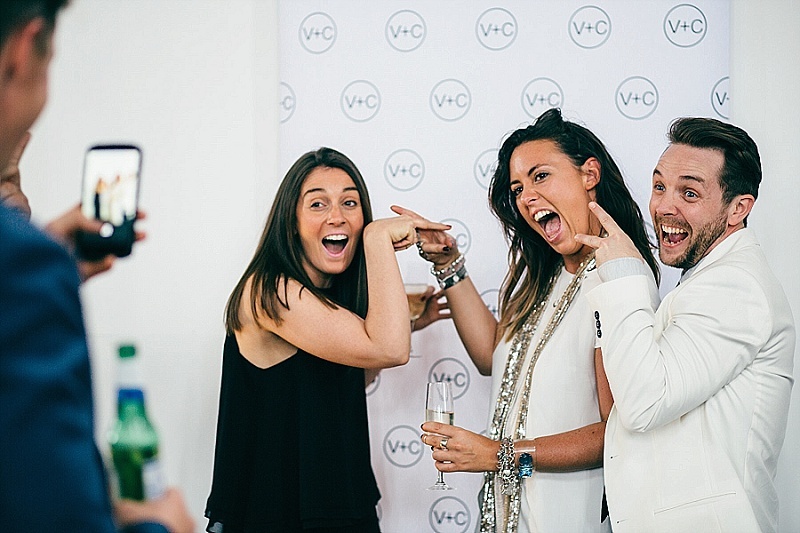 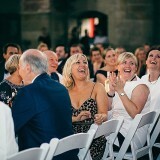 I then pulled out the ring I had designed as a cork popped from a bottle of bubbly, the lights went up and all our friends jumped up and yelled surprise! 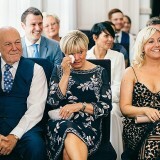 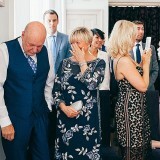 Vicky burst into tears, when she saw everyone and then again when she saw the ring and realised what was going on. 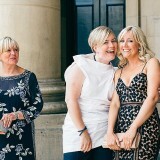 We all had more prosecco, chatted and then walked to the restaurant we were all booked into for lunch and had a lovely day. 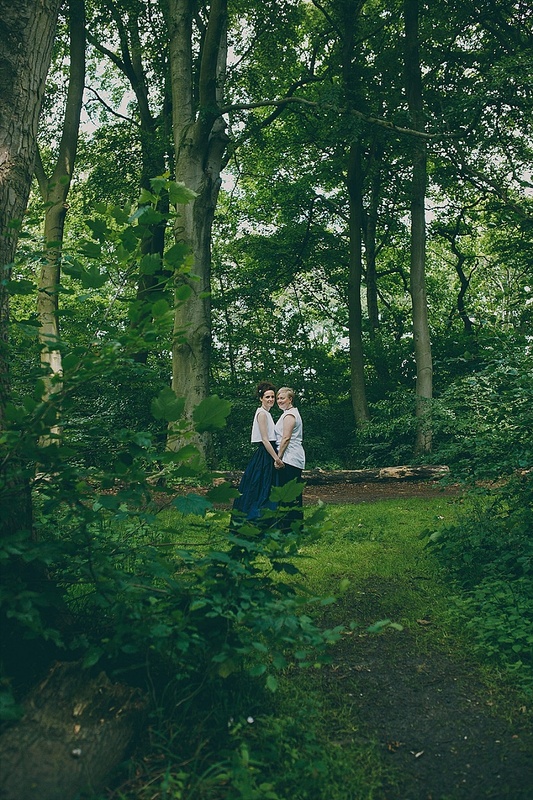 Exactly a year later Vicky surprised me on a walk through the woods by giving me my engagement ring at a spot that means a lot to us. 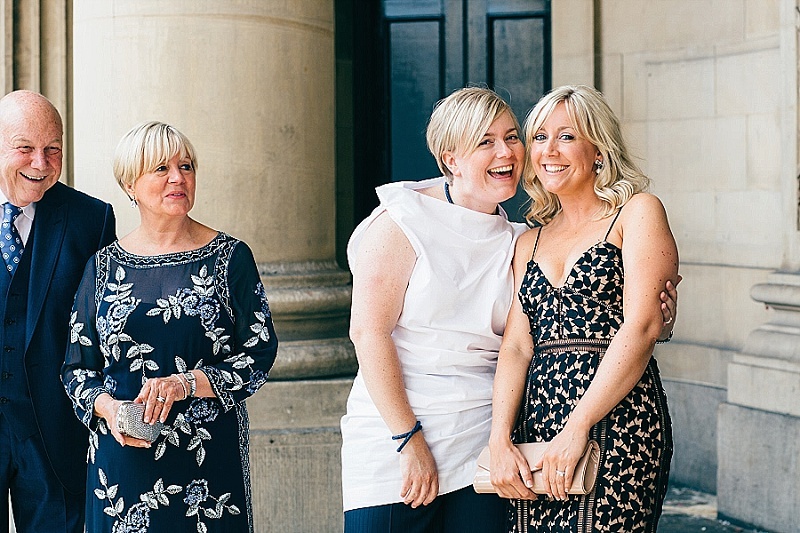 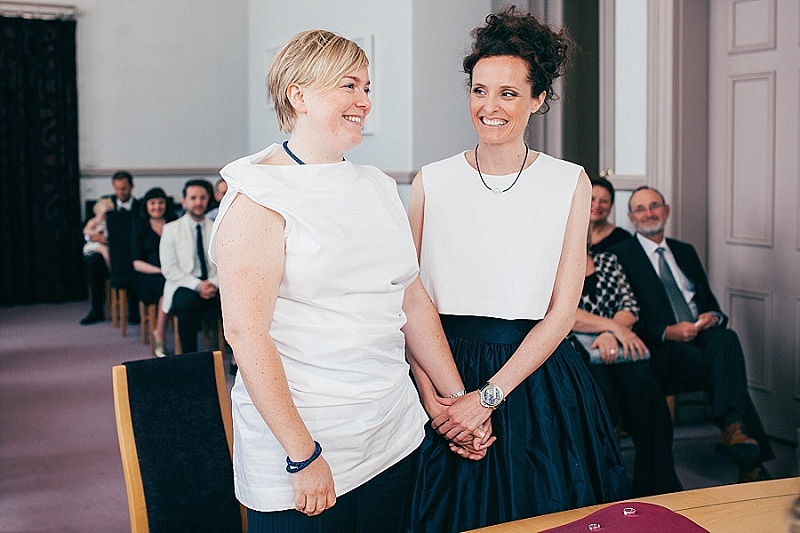 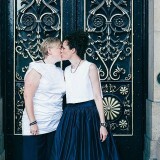 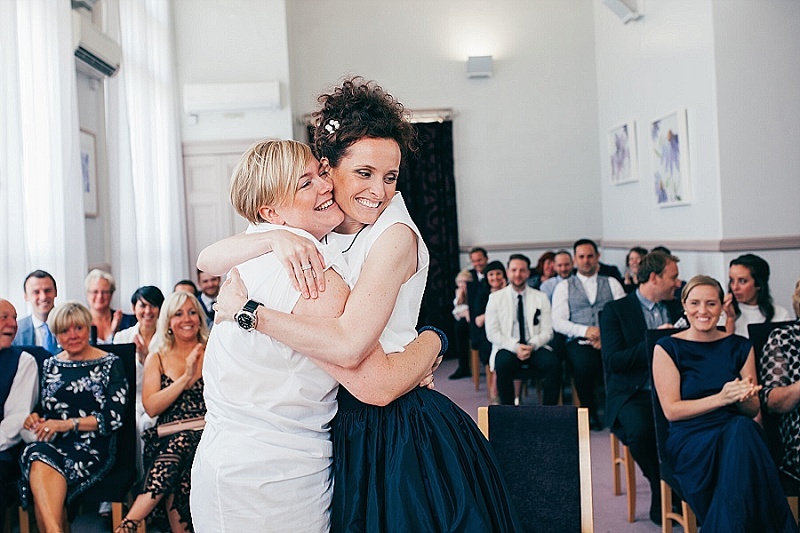 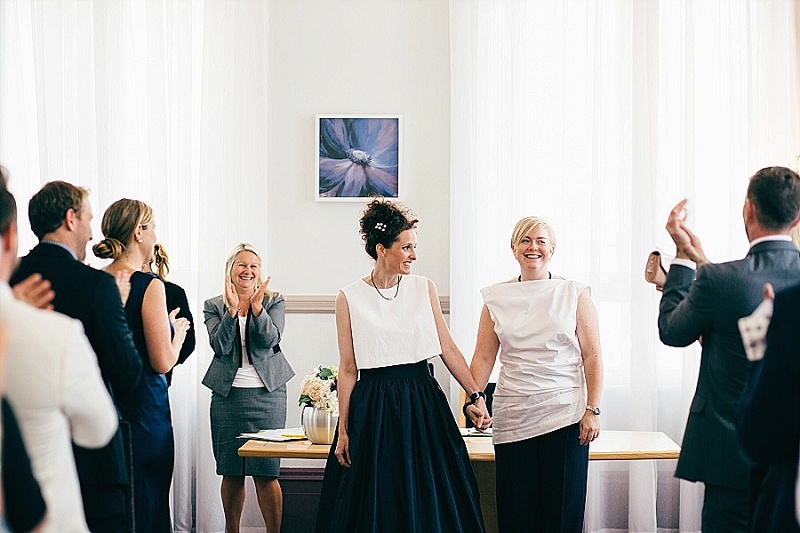 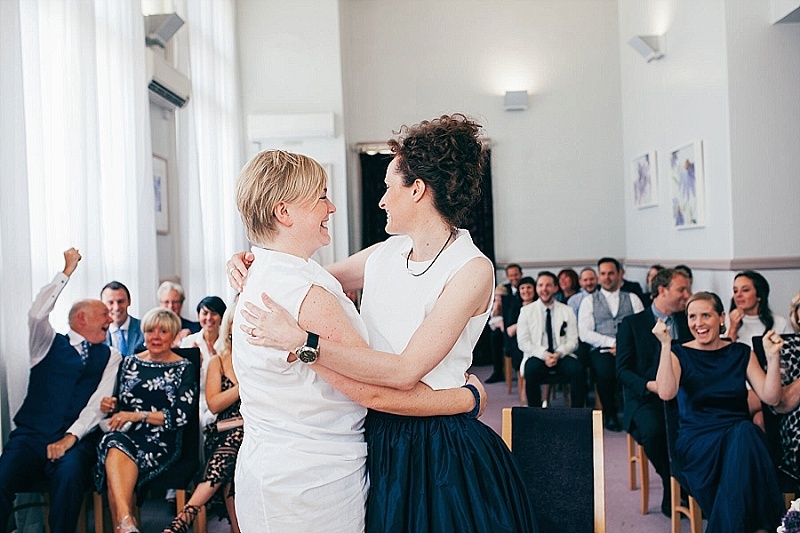 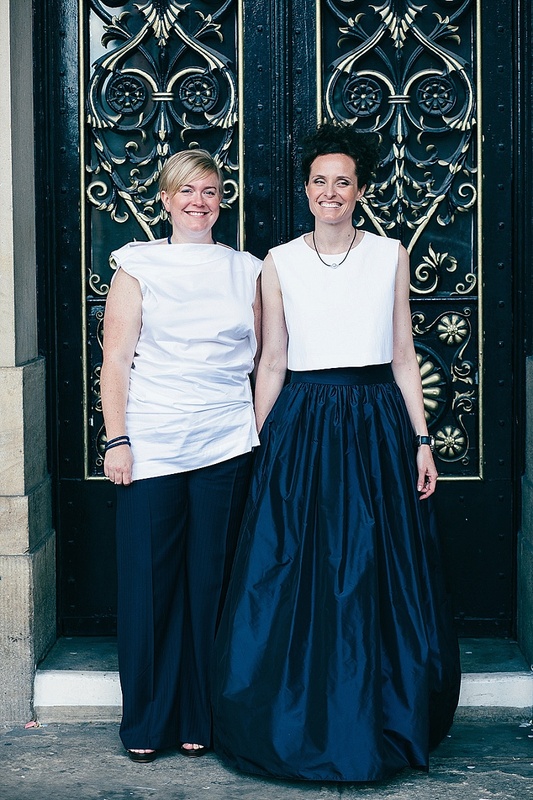 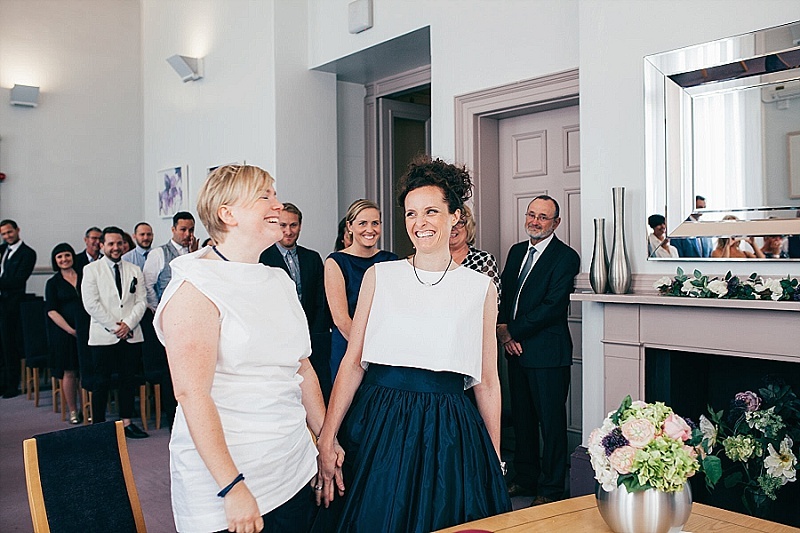 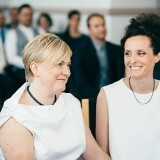 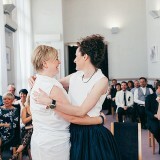 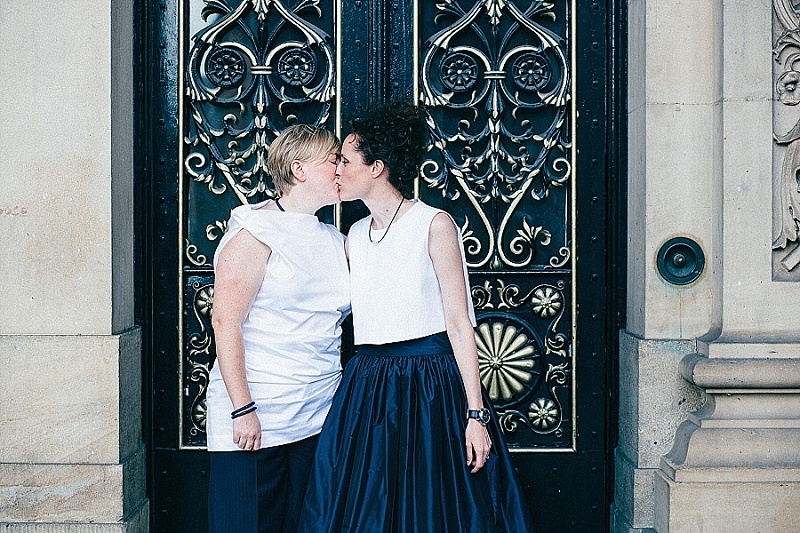 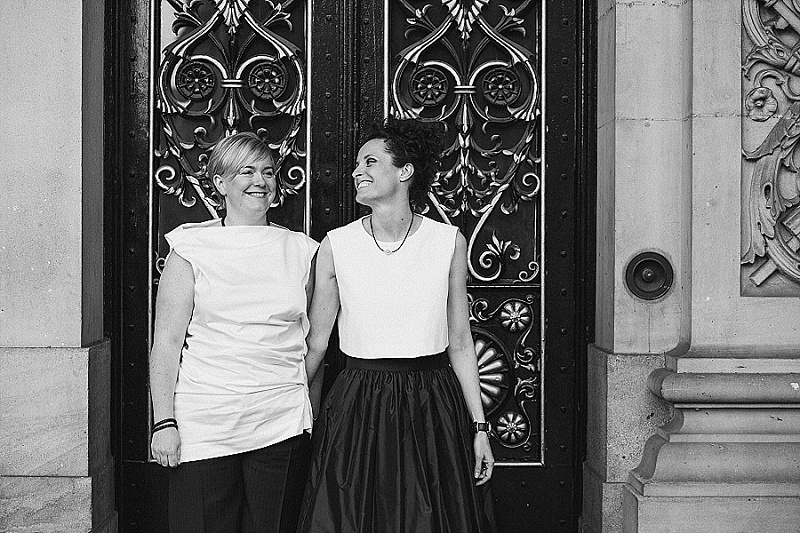 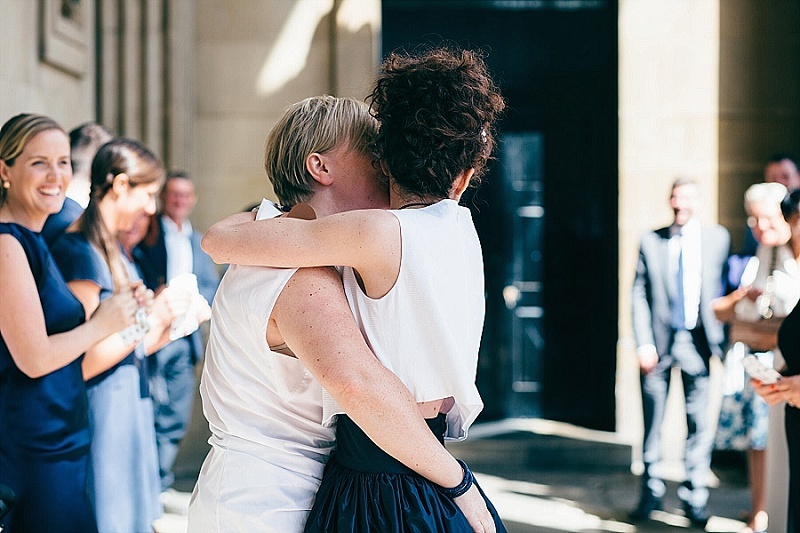 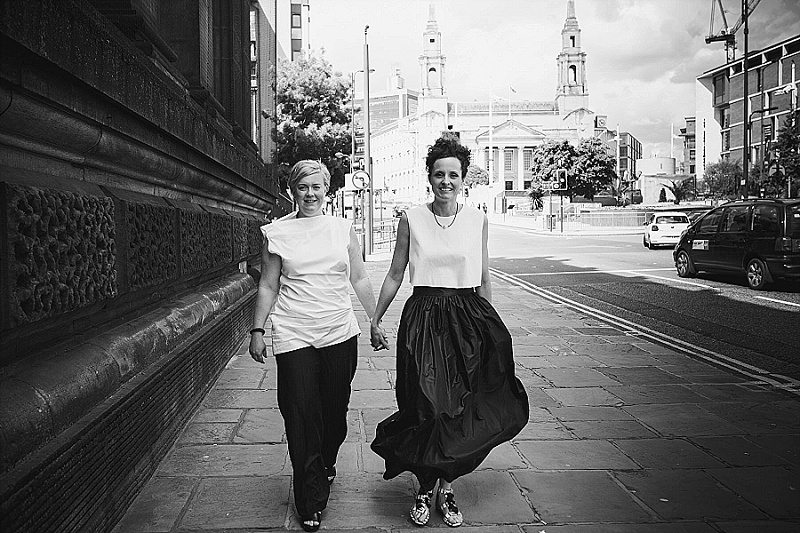 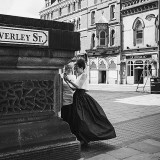 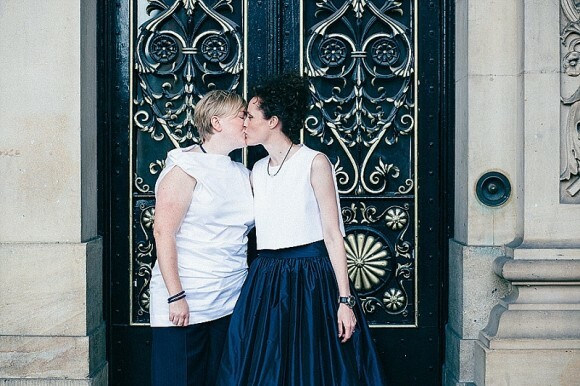 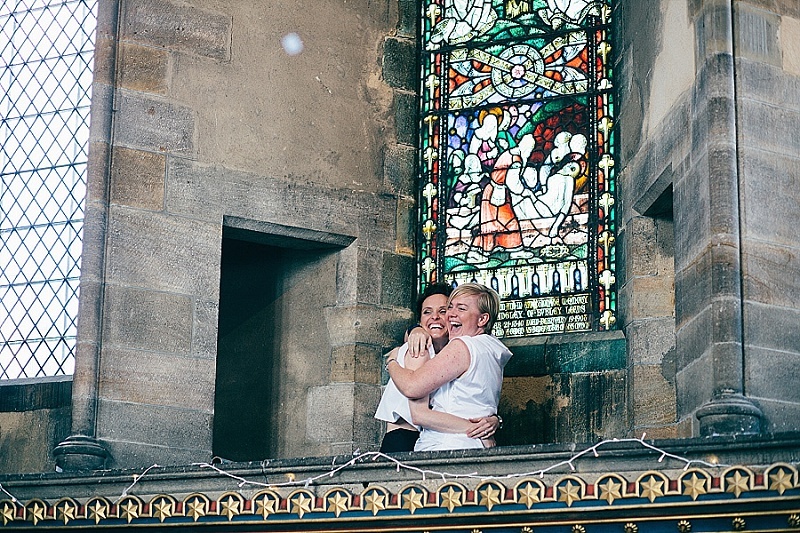 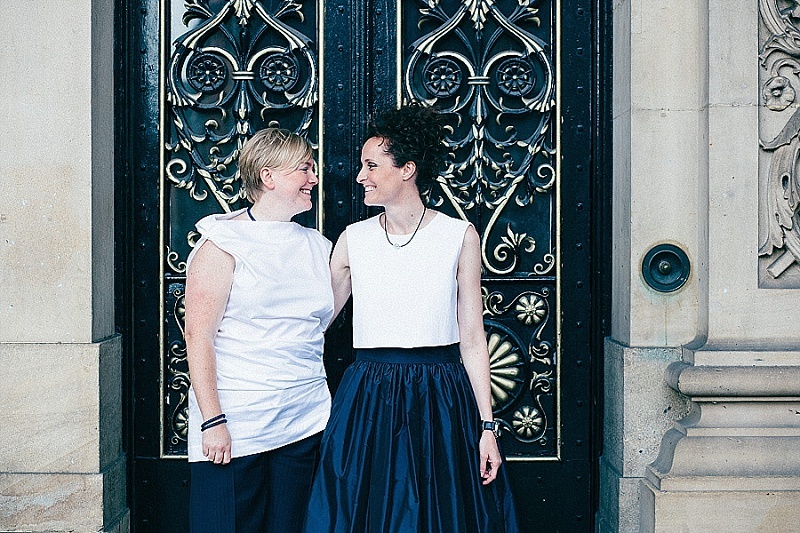 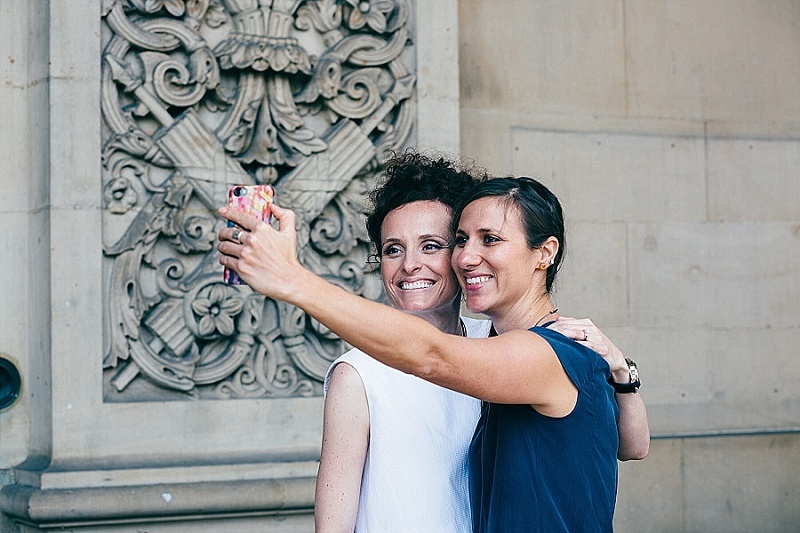 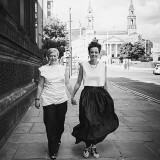 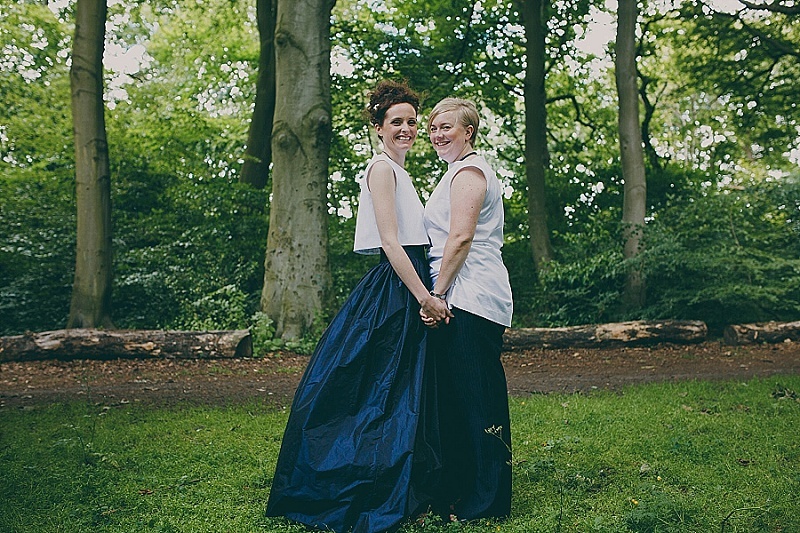 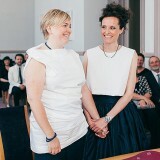 We got married on 27th June 2015, at Leeds Town Hall because I love the building and Leeds is where we met. 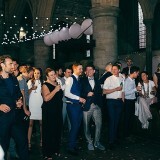 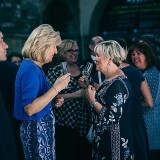 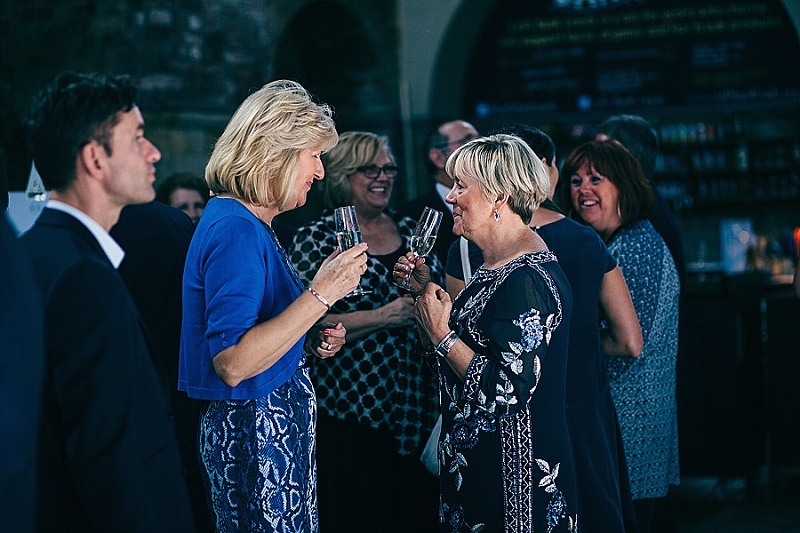 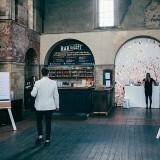 The reception was held at Left Bank Leeds which is an amazing Grade II* listed former church building near to where Vicky lived as a student and where I rented when I first moved to Leeds. 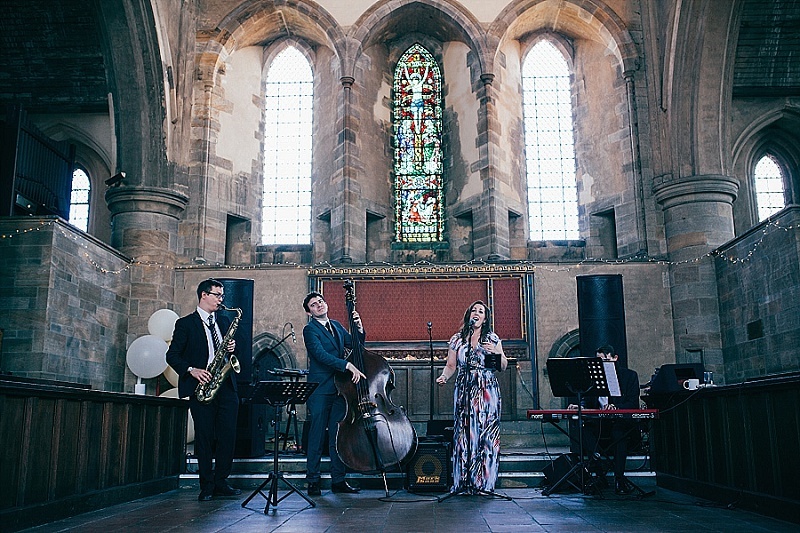 Before we found the venue I had wanted a grand but dilapidated building, with prosecco and exquisite canapés being served and a jazz band playing. 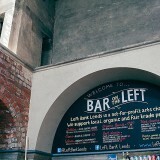 Left Bank Leeds wasn’t dilapidated but still had the sense of grandeur I desired. 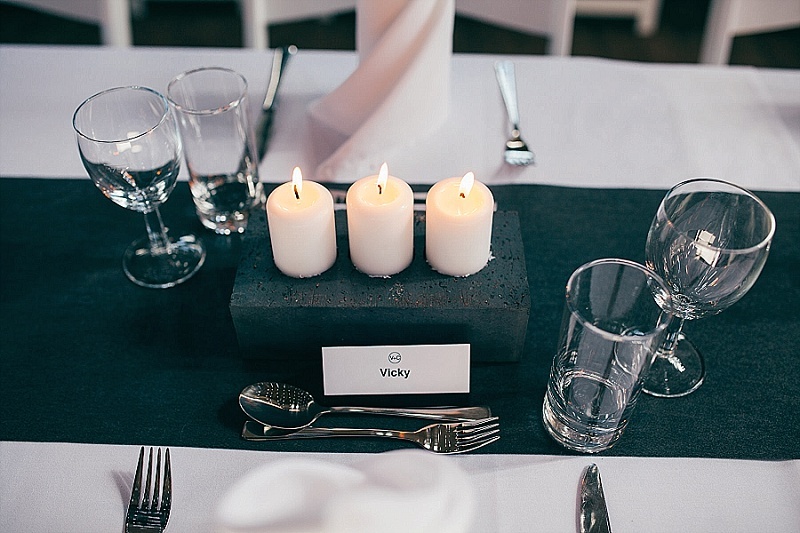 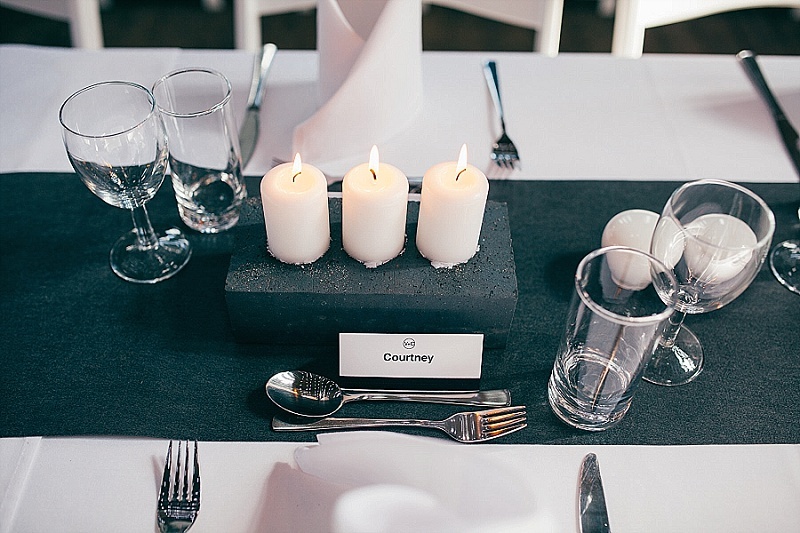 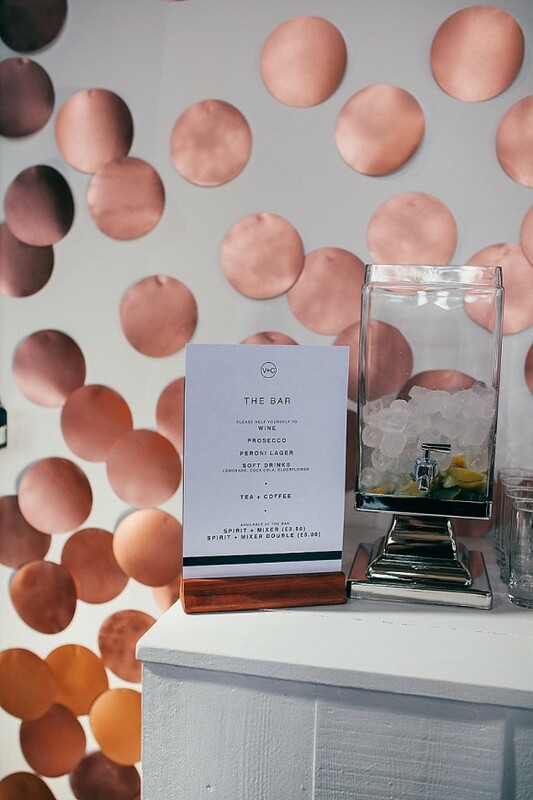 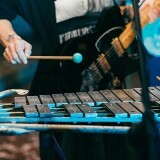 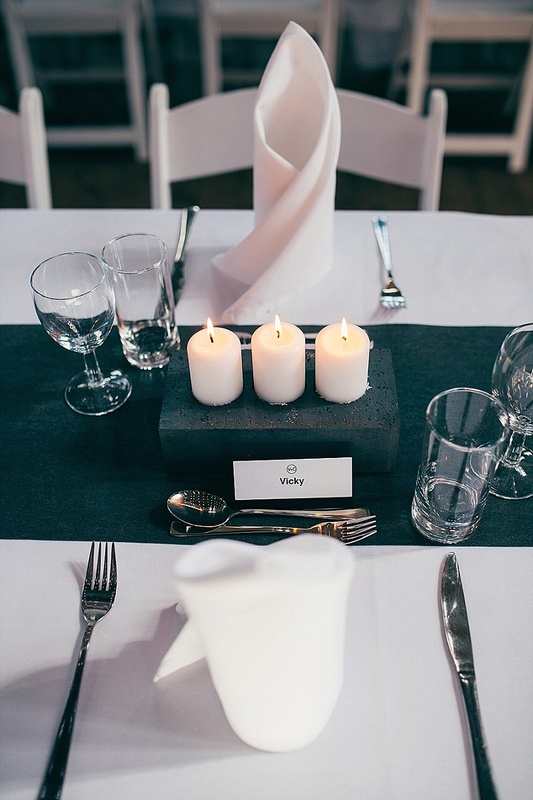 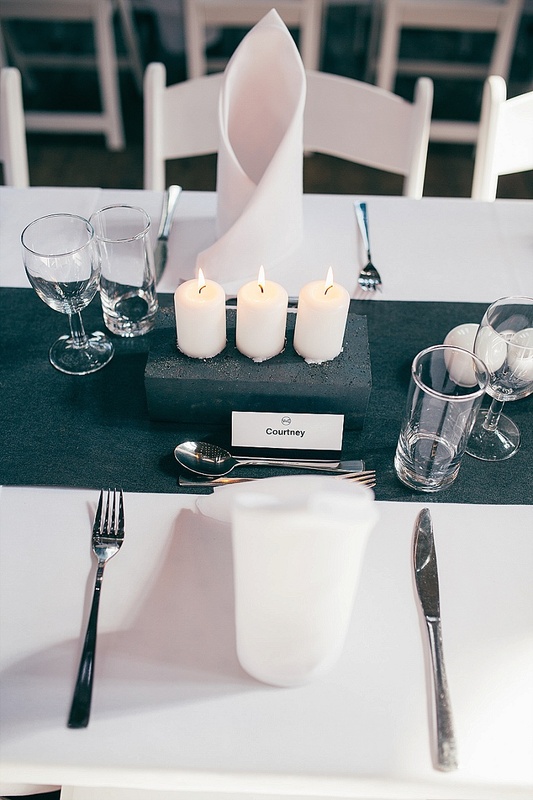 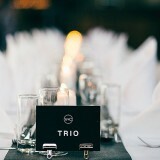 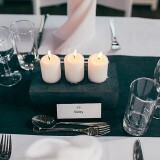 Our colour scheme was black, white, grey and navy with accents of copper. 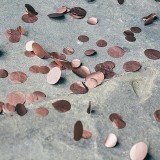 I chose these because they’re my favourite colours (I don’t really do colour!). 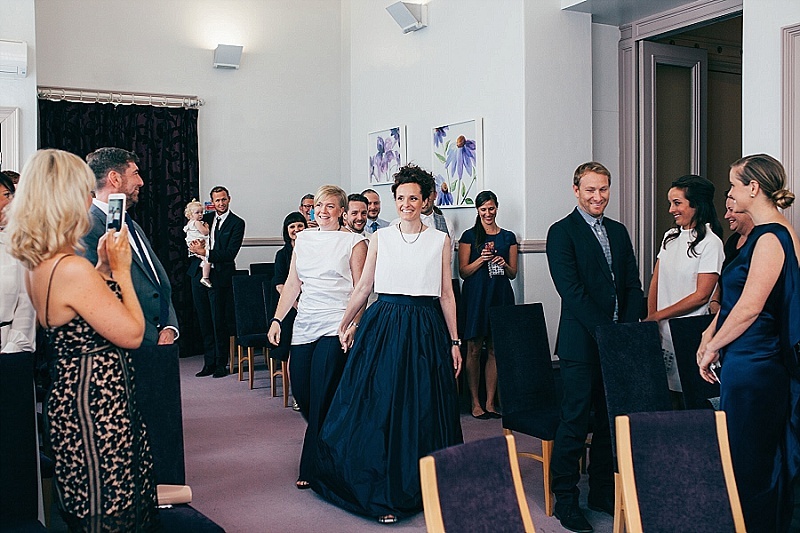 I didn’t set a dress code but asked that everyone wore black, white, grey or navy. 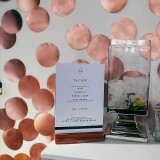 Everyone looks good in those colours and copper was a colour of the moment and added a bit of contrast for an extra pop. 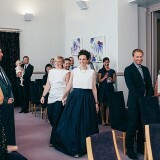 In terms of my wedding attire, I made my own skirt and drafted the pattern myself. 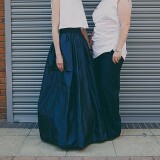 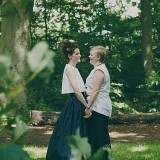 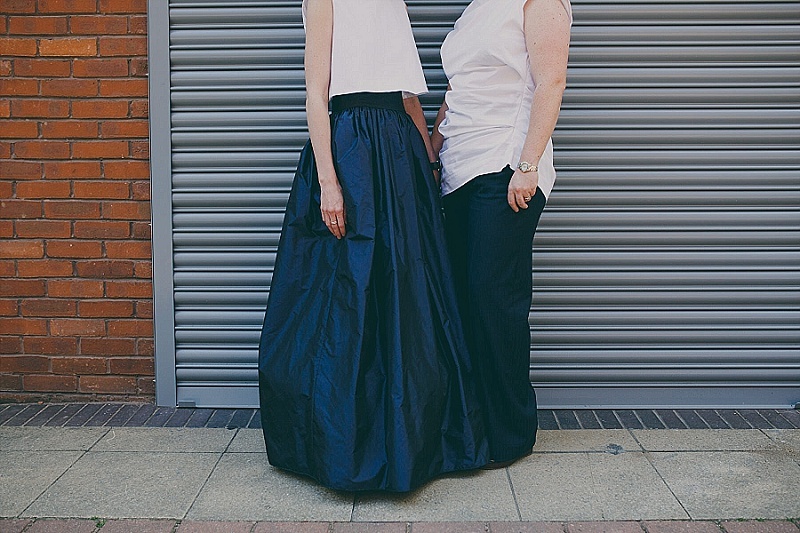 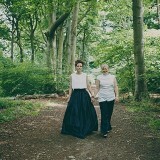 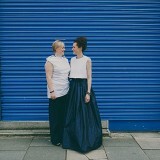 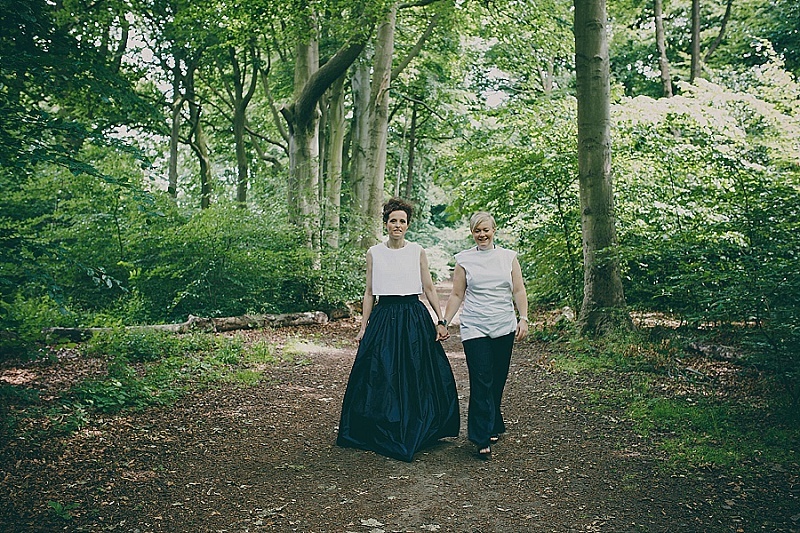 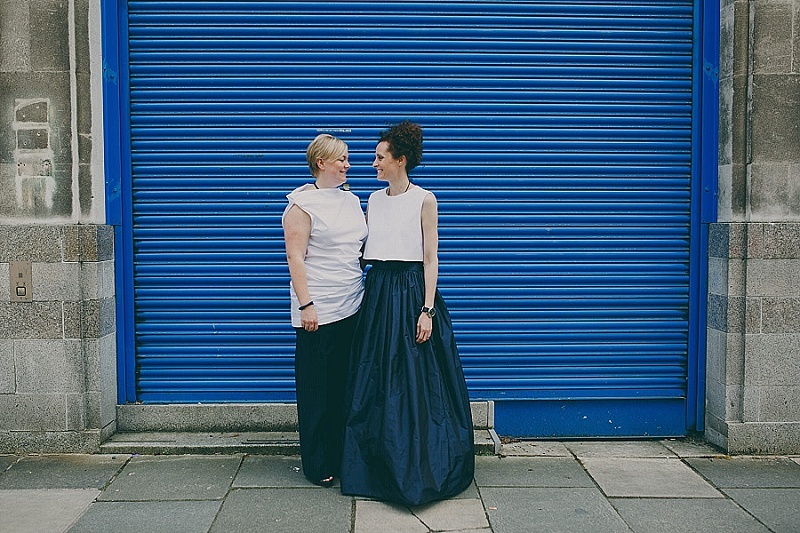 It was a full length, high waited skirt with wide waste band, concealed back zip and side pockets (for my phone) in a French navy silk from Joel & Son Fabrics in London. 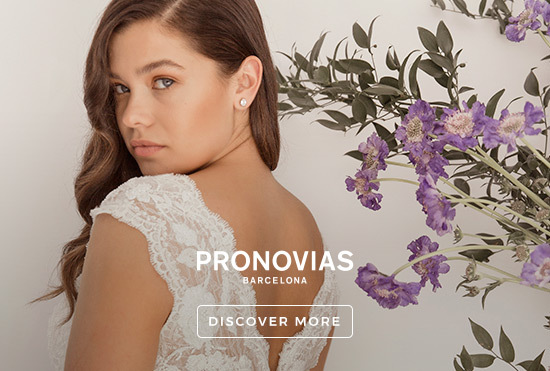 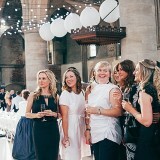 I chose the fabric with my best friends Vicky, Franny and Alexa. 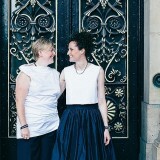 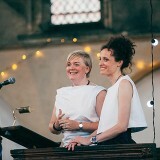 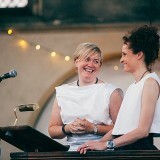 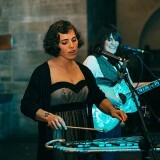 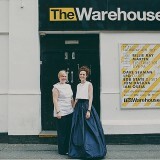 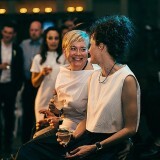 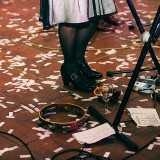 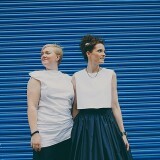 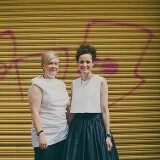 I wore the skirt with a customised white sleeveless top that I bought at Cos when I was in Berlin with Franny and Alexa. 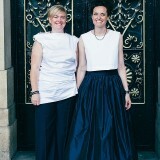 Vicky wore French navy wide legged trousers from Crombie and a white asymmetrical sleeveless top by Vivienne Westwood. 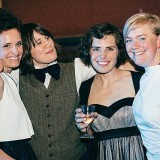 We didn’t have bridesmaids or groomsmen but our sisters were our witnesses. 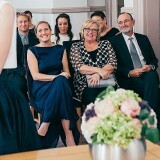 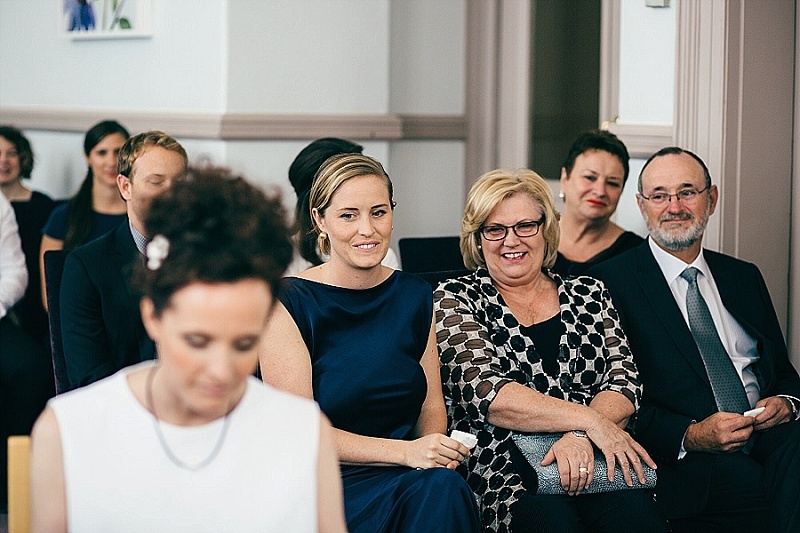 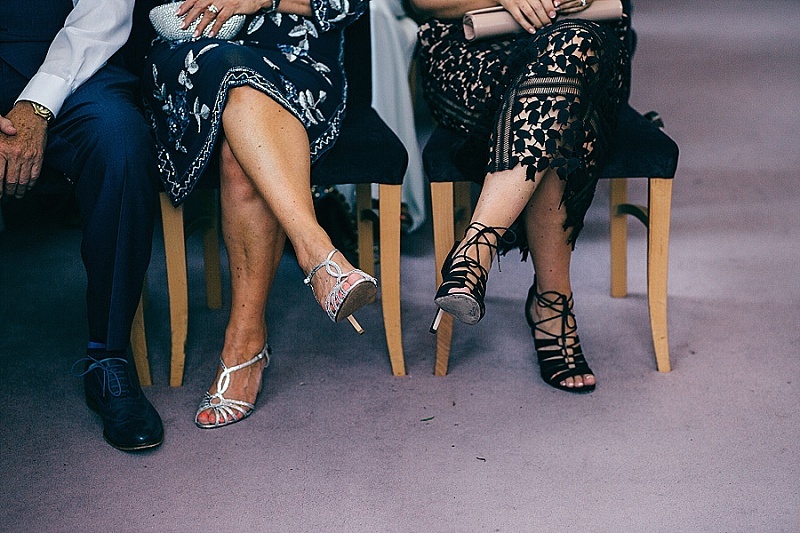 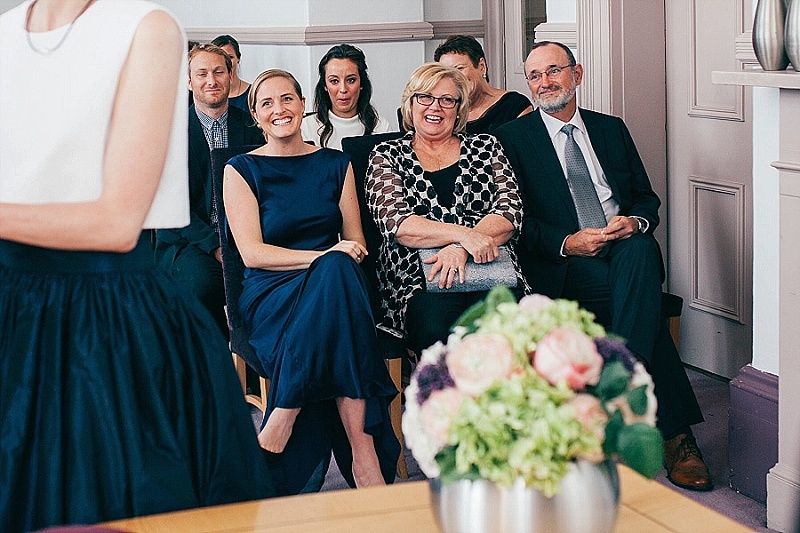 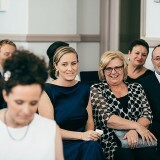 My sister Ashleigh wore a full-length navy blue silk dress with scooped back by Australian designer Carla Zampatti and Vicky’s sister Sarah wore a mid-calf length black lace dress by Self Portrait. 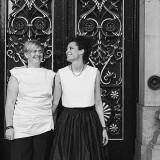 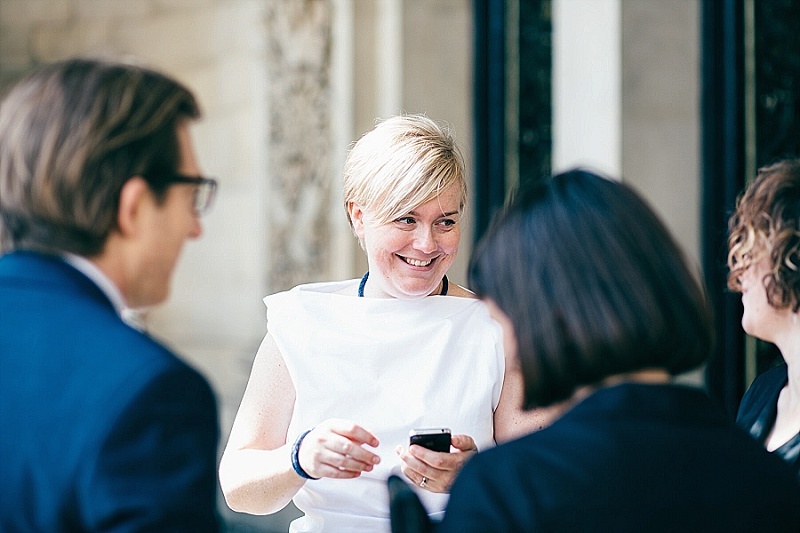 Yolande De Vries was our photographer. 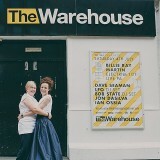 She came recommended and she was brilliant. 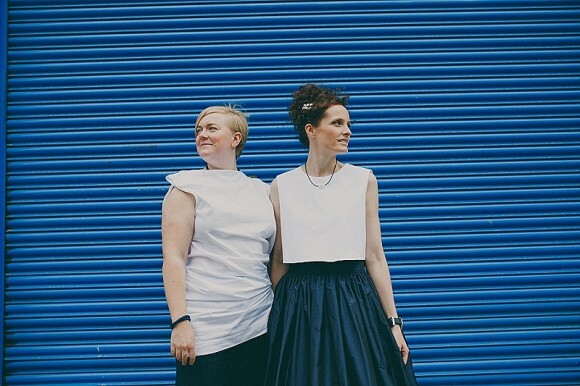 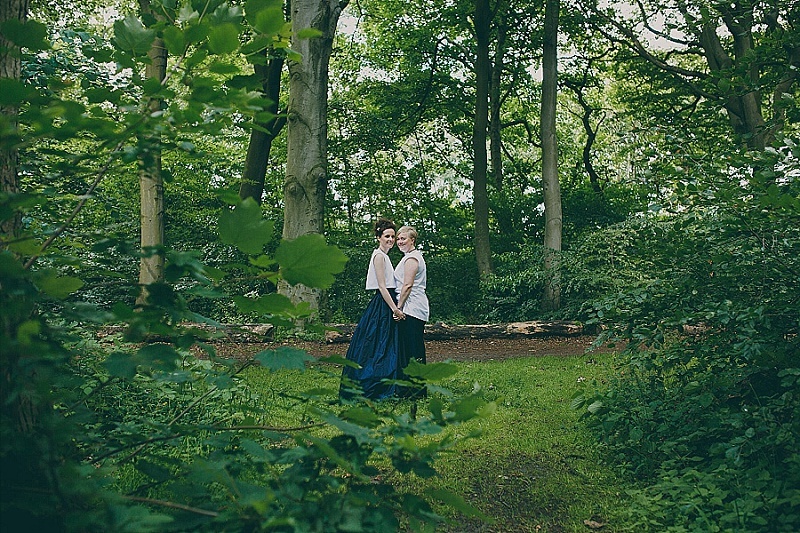 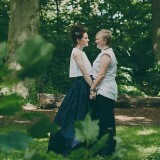 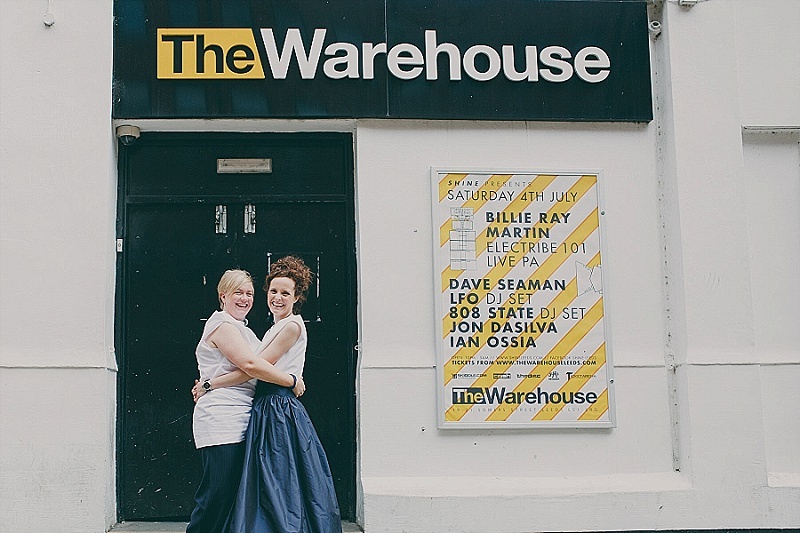 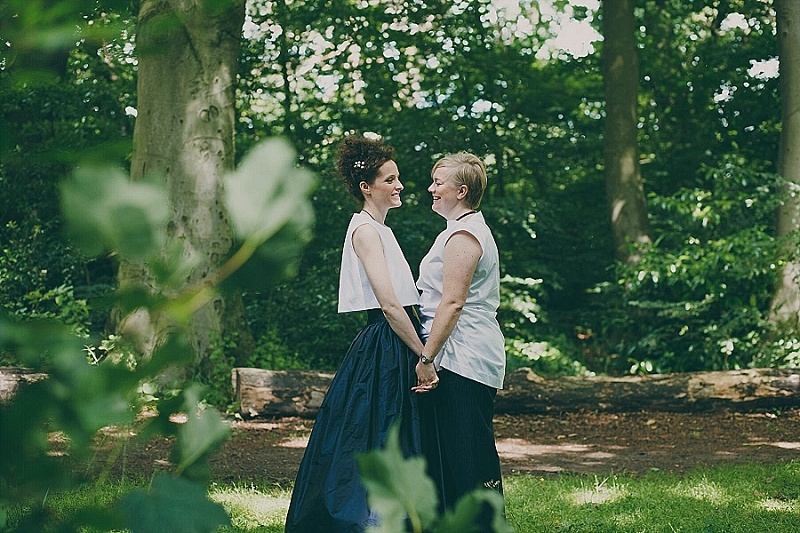 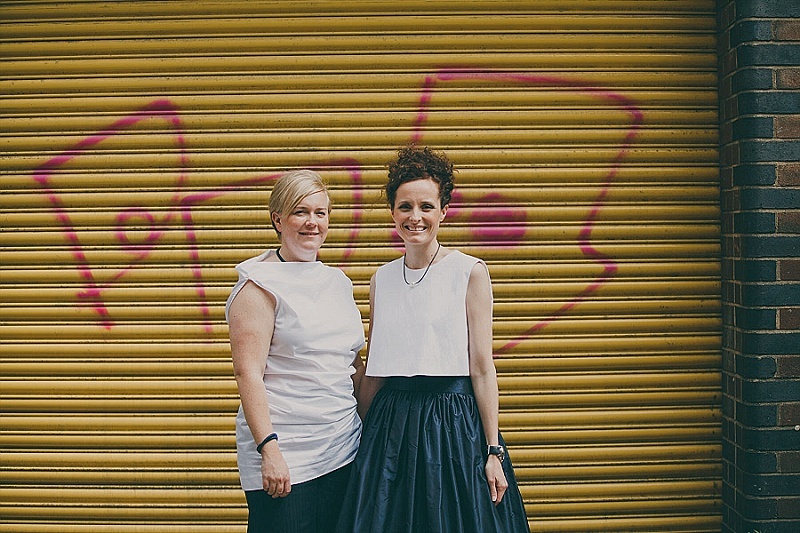 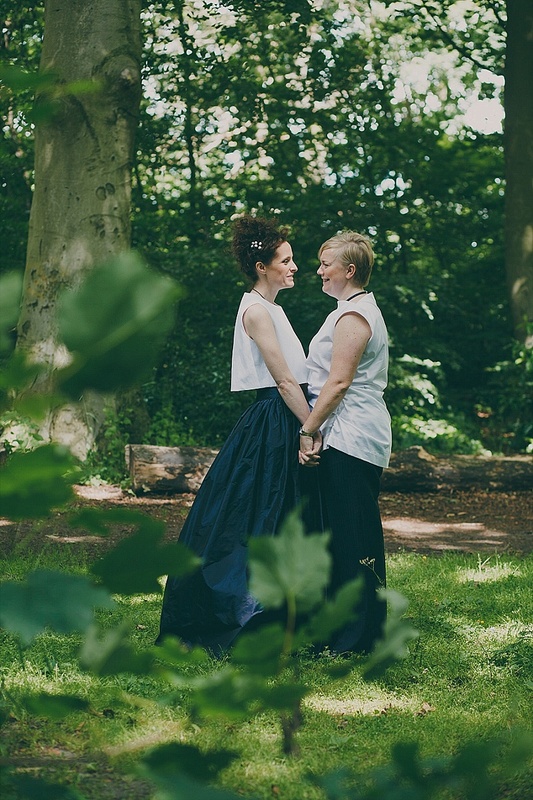 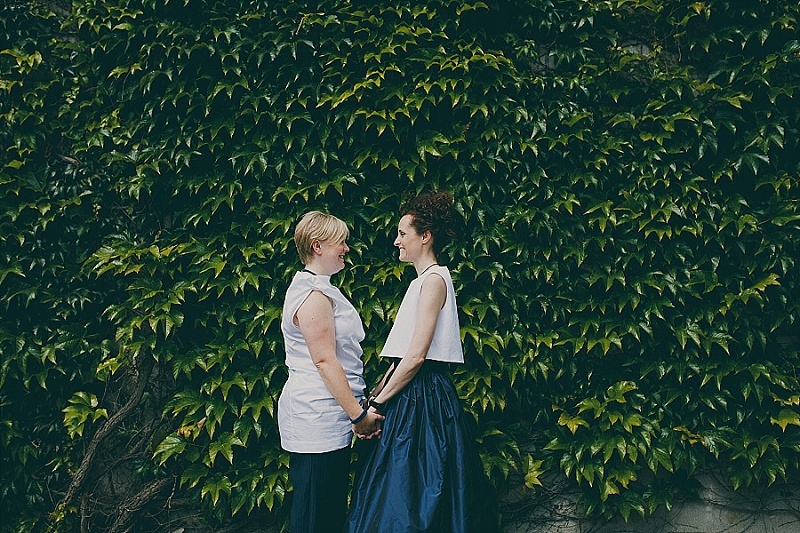 We went to London for a pre-wedding shoot, which was really good and meant we didn’t feel awkward by being photographed when it came to the wedding. 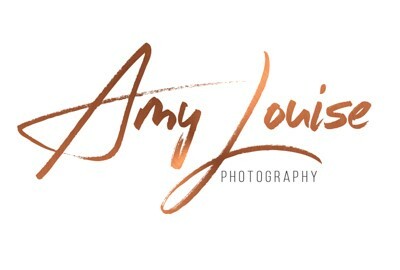 We had a similar design aesthetic which it why I chose her; I liked her composition and the post production treatment of her photos. 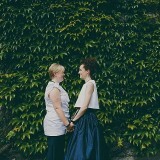 Having that confidence meant we could really relax on the day and not have to consider the photos at all. 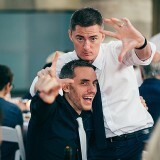 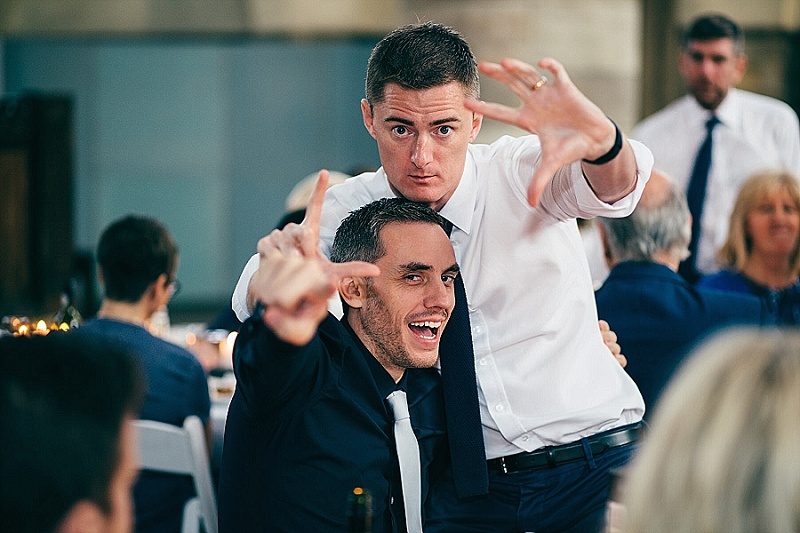 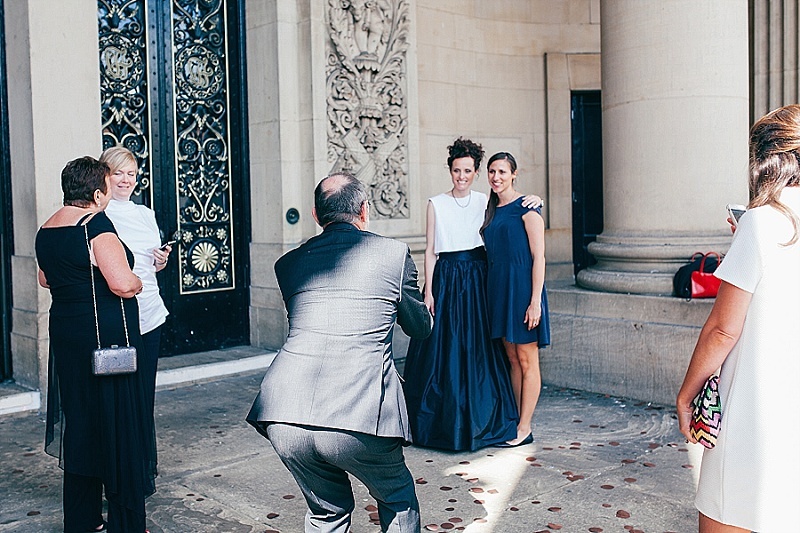 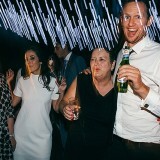 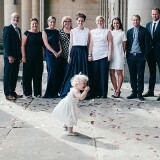 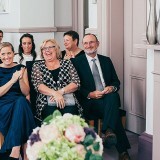 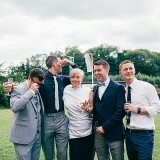 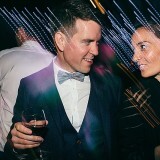 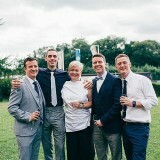 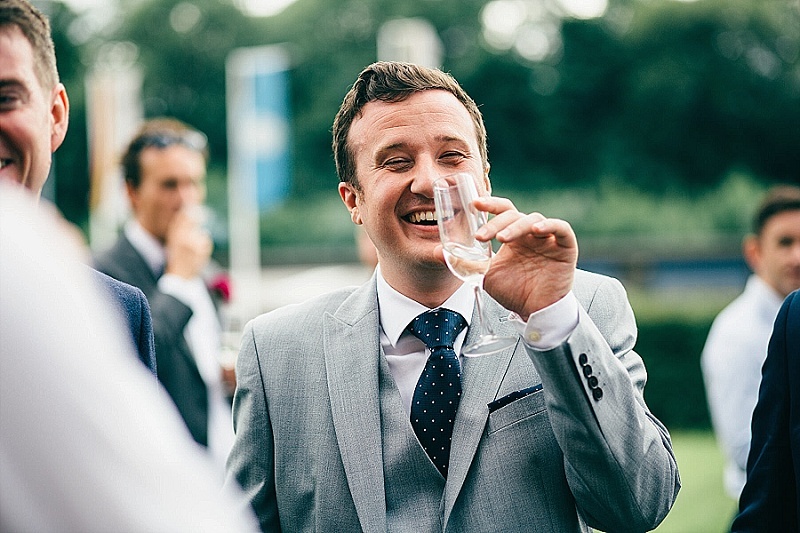 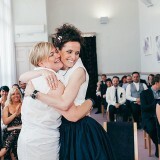 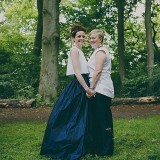 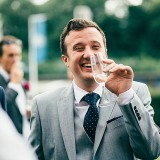 Getting the photos back after the wedding was so much fun. 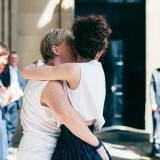 It was like reliving it all over again. 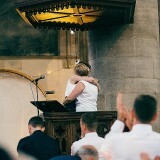 Yolande did such a good job of capturing the day for us. 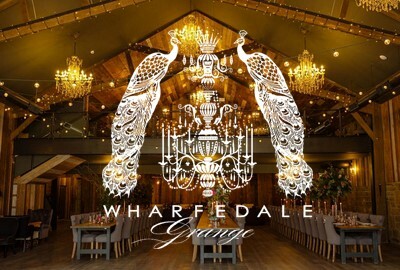 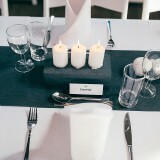 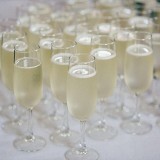 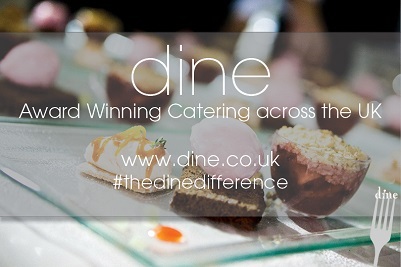 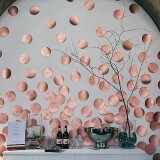 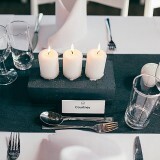 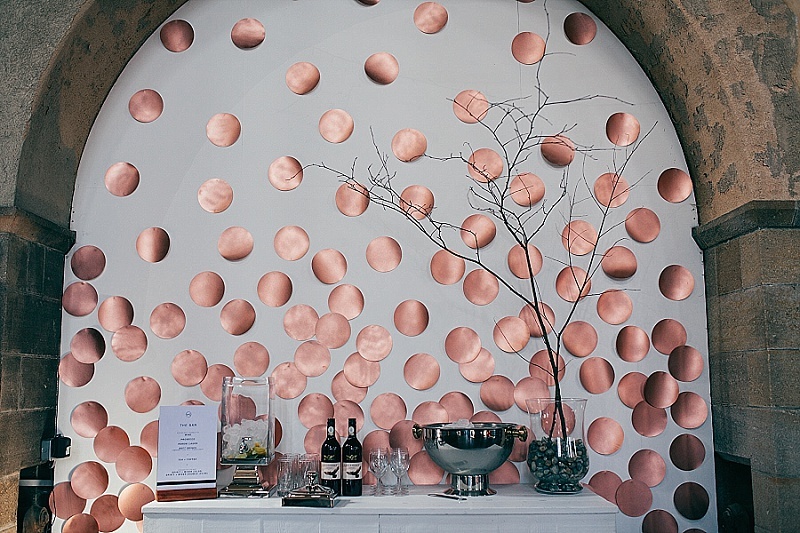 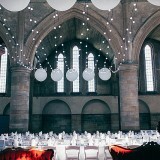 The reception décor was supplied by the amazing creative events agency We Love This, who I would recommend. 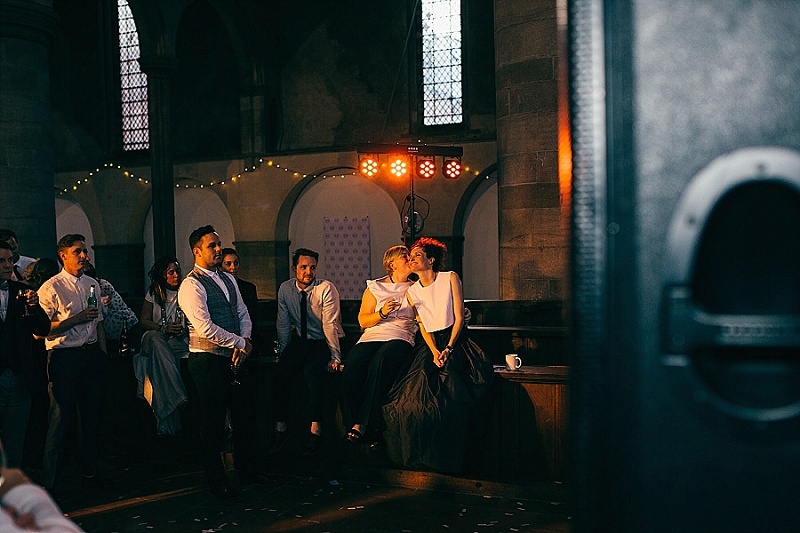 They have a brilliant collection of props, lights and furniture and really helped give the venue the sense of accession I was after. 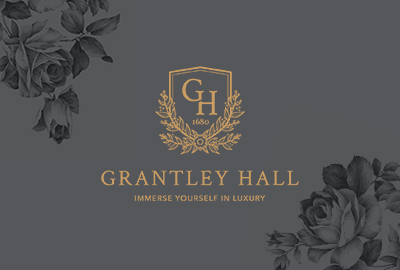 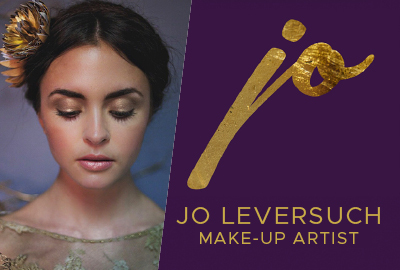 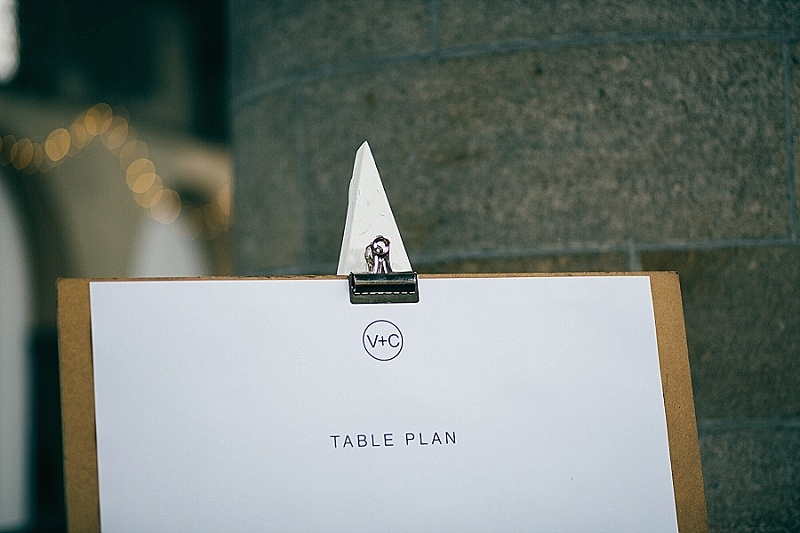 They do have a minimum spend but they were so helpful and really helped me plan how I was going to use such a vast space and zone it into different areas. 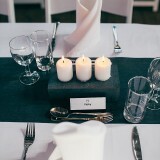 My friend Anna helped me make the name plates with ribbon sewn onto each, and my friend Jenna helped pick flowers from a field, which we used for some of the décor. 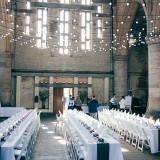 My parents, aunty, cousin and friends also helped set up the venue. 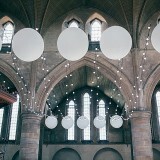 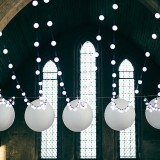 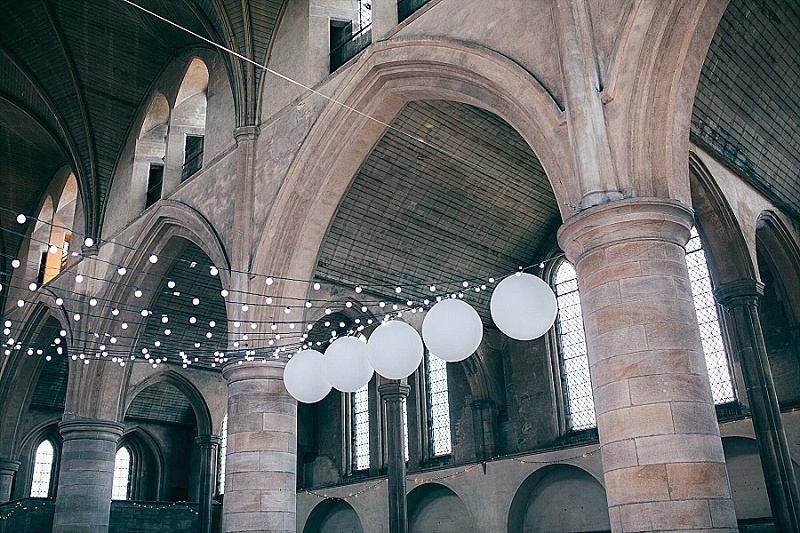 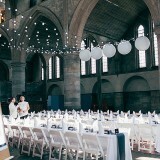 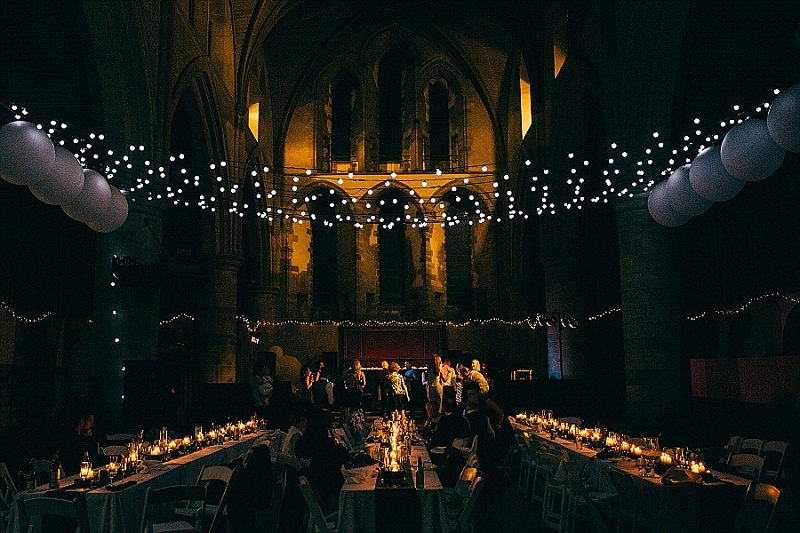 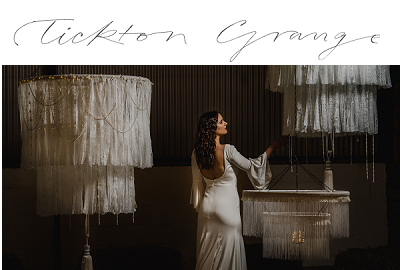 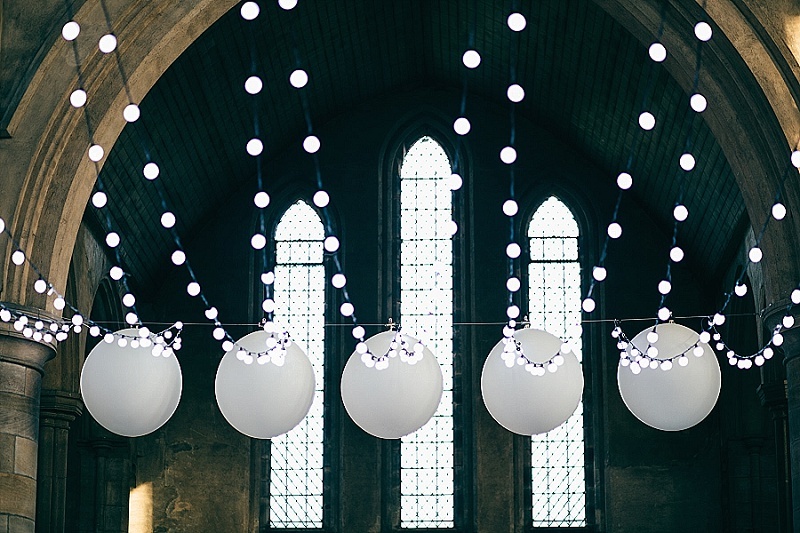 As a special touch, I used large white weather balloons hung near the festoon lighting. 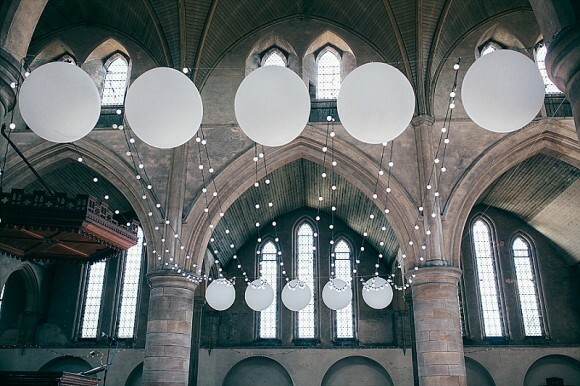 My dad works for the Bureau of Meteorology so I have childhood memories of playing with weather balloons so it was really nice to be able to incorporate those into the day. 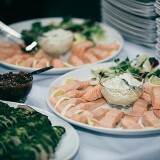 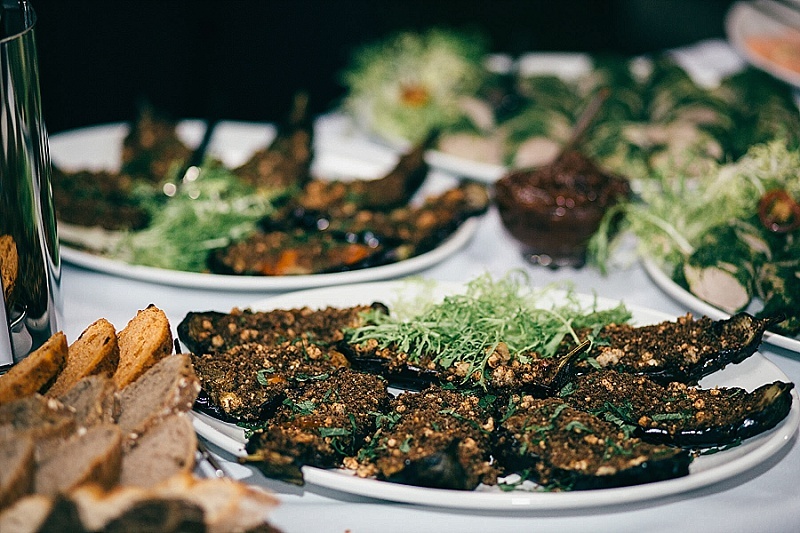 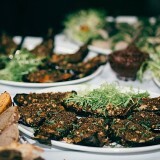 Canapes were served on arrival at the reception and then we had cold meats and salads with new potatoes, followed by deserts and a selection of cheeses. 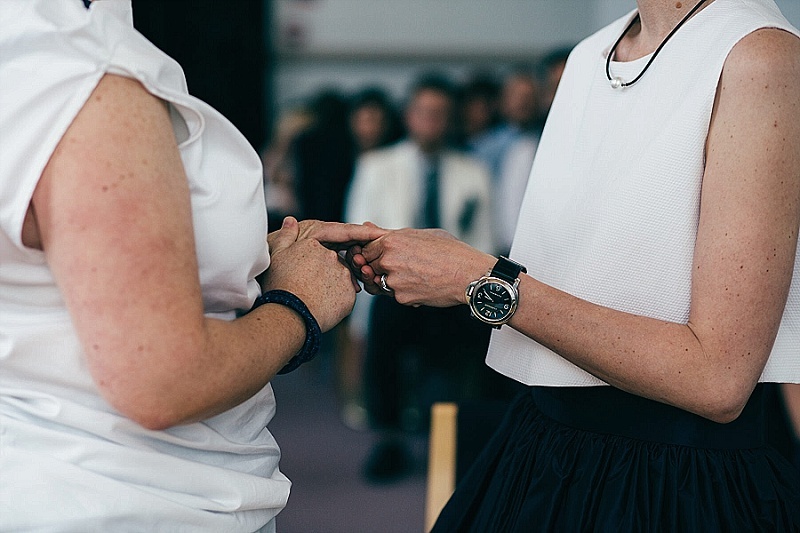 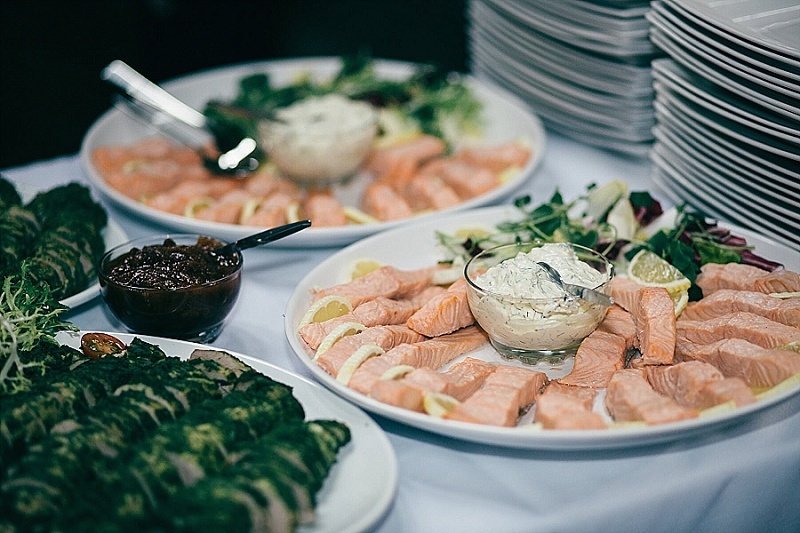 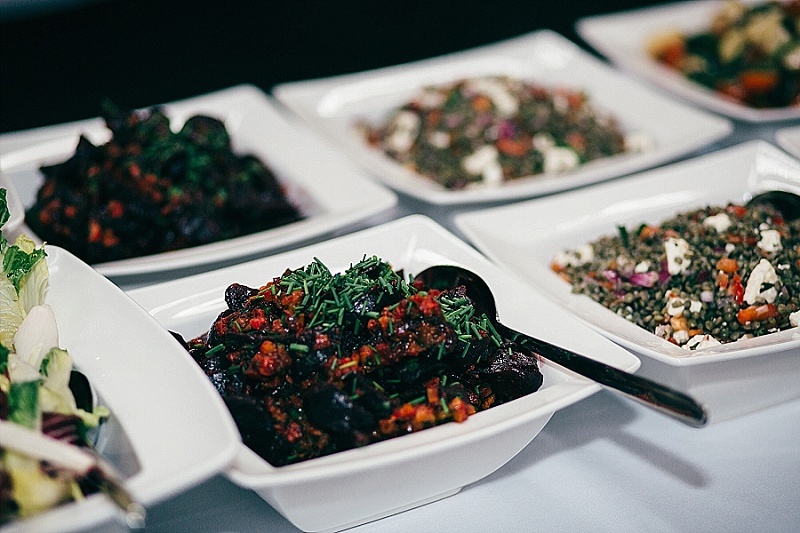 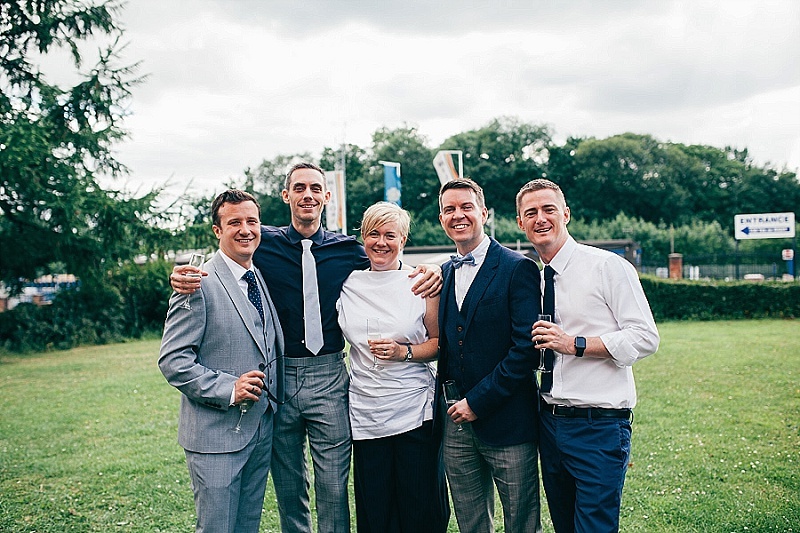 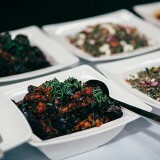 We used Well Met, the caterers from Leeds Becket University, as we met when we both worked at the University so it was nice to include them and use people we already knew. 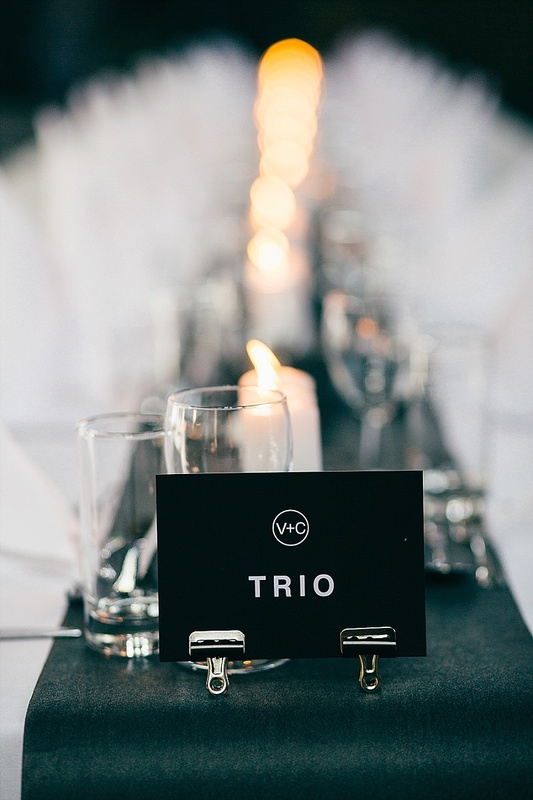 We served a Woolf Blass Chardonnay (because it’s Vicky’s favourite), a Marlborough Sauvignon Blanc, prosecco and an Australian red and Voss water (because I love the bottles and we first came across them at lunch at a vineyard in Australia). 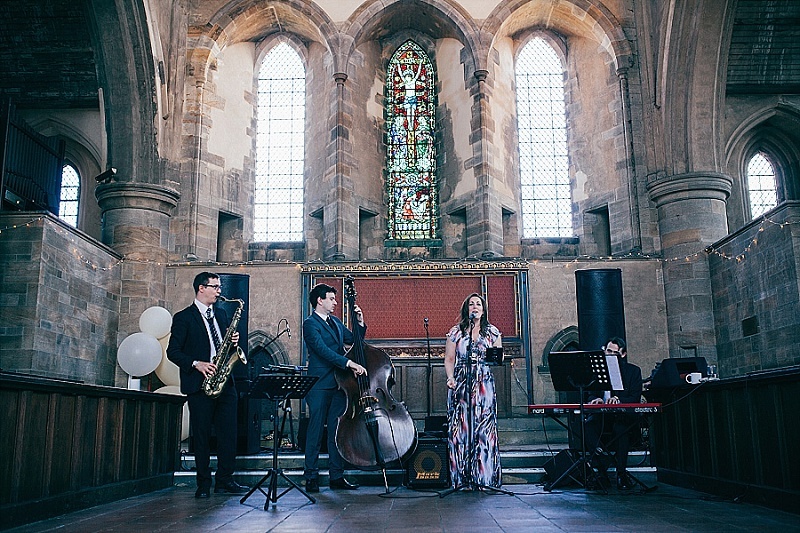 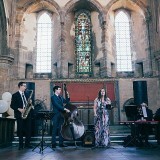 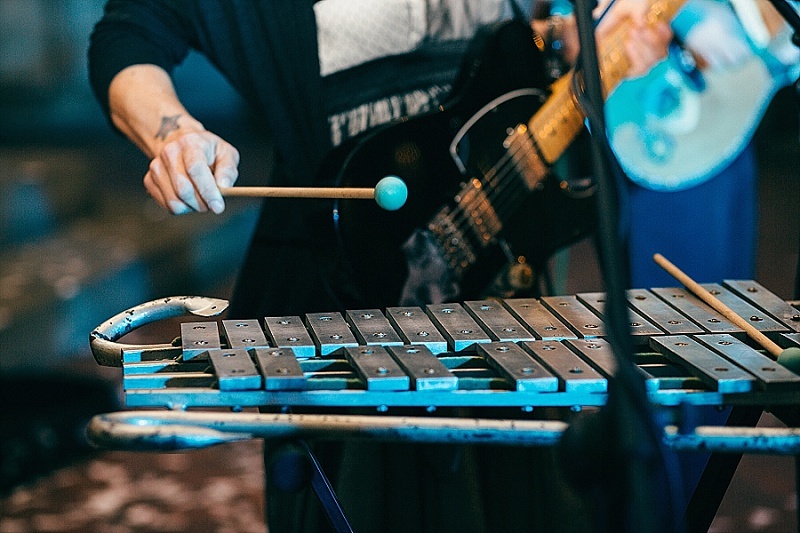 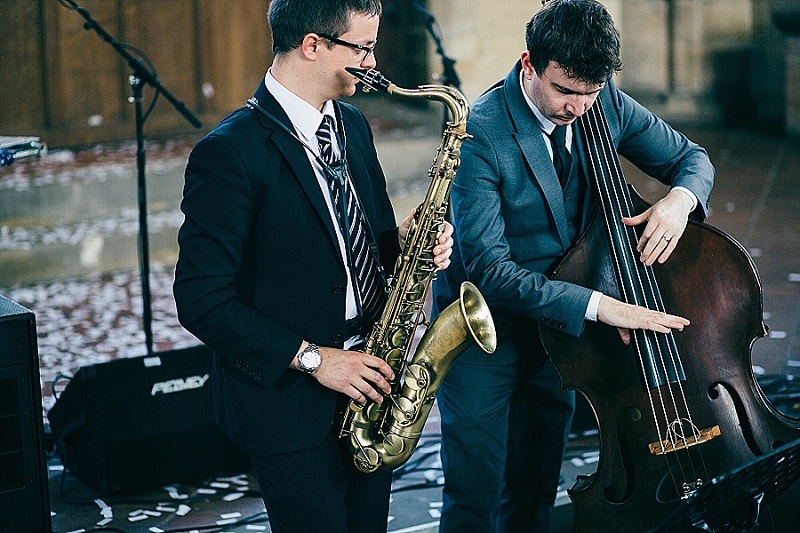 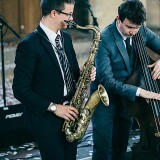 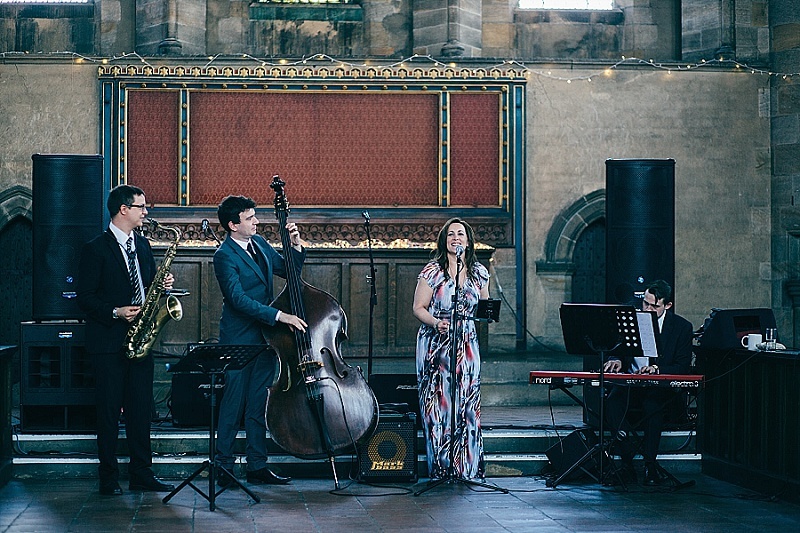 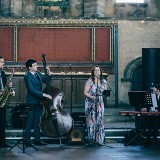 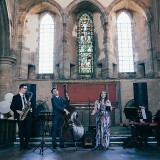 As entertainment during the day we hired Marley and Me, a four-piece jazz band, who played as guests were arriving. 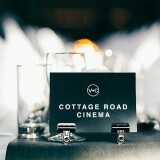 The MC then showed the short proposal video before the guests got ready for our entrance. 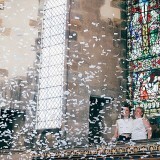 Whilst they were looking at the front door Vicky and I had crawled along a balcony behind everyone and jumped out with confetti canons. 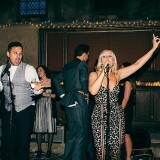 For the reception entertainment we were very lucky to get the band Sea of Bees (who sing Skinnybones, the song I used in the proposal video) to come over from California to play at the wedding after the meal and speeches. 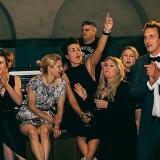 Then later we had a playlist that got everyone (bar me!) 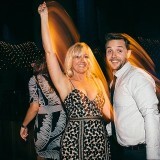 dancing. 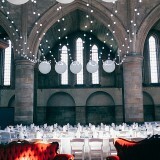 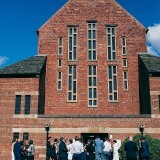 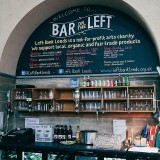 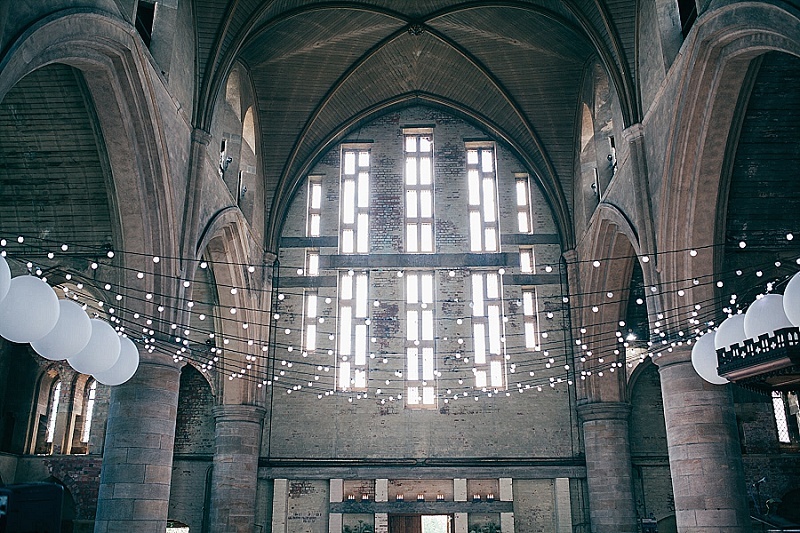 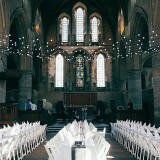 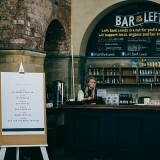 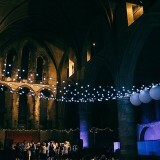 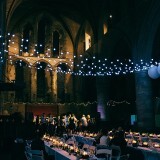 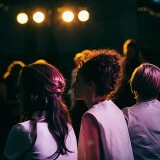 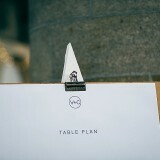 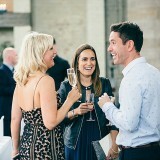 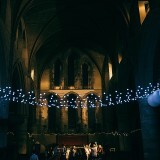 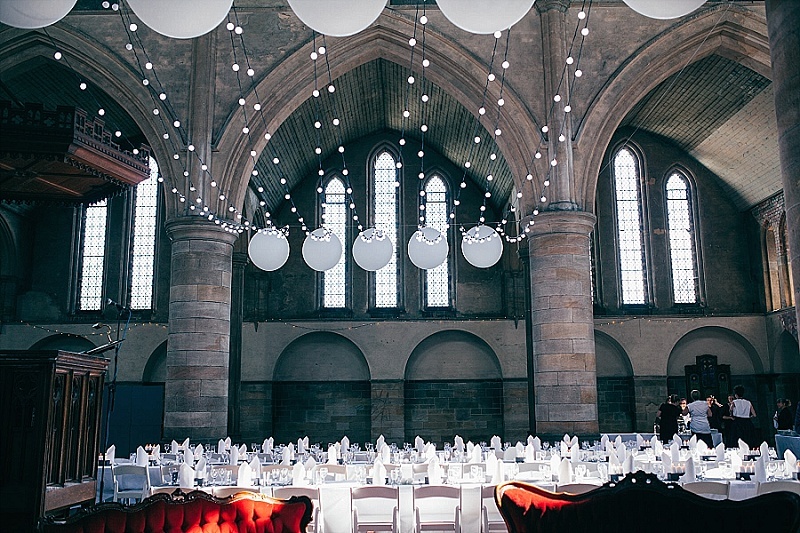 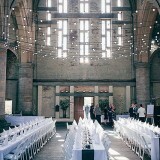 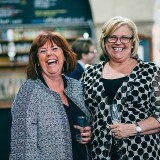 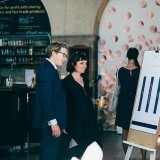 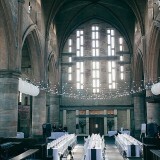 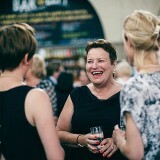 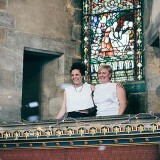 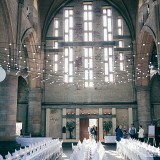 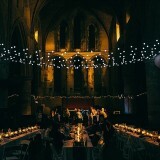 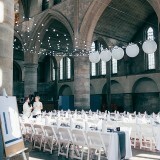 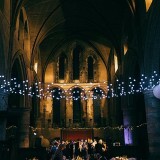 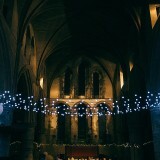 Left Bank Leeds is an amazing space and following our wedding, I would highly recommend it as a venue. 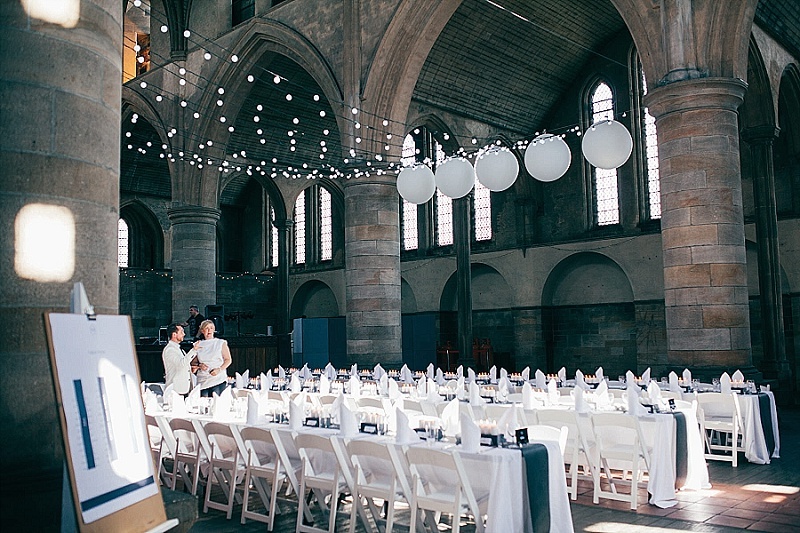 It has instant impact to wow your guests, ample space to accommodate anything you want and you have complete freedom with styling. There were great vantage points for our photographer to get some great shots from and loads of natural light which made for some great photos. 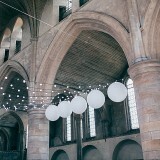 The outdoor space was good as it was a gorgeous sunny day, and being only a five minute taxi from the centre of town meant it was really convenient. 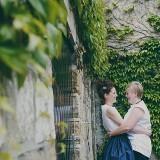 There were lots of highlights to the day. 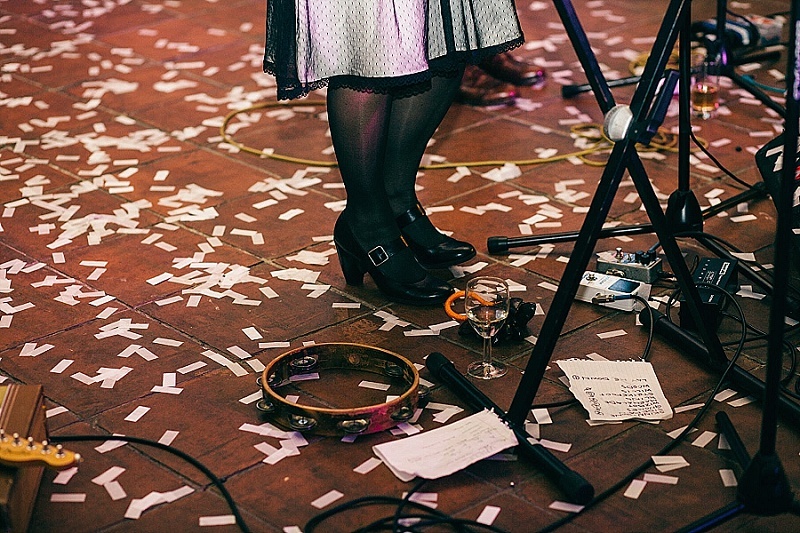 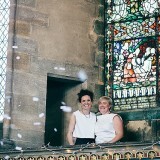 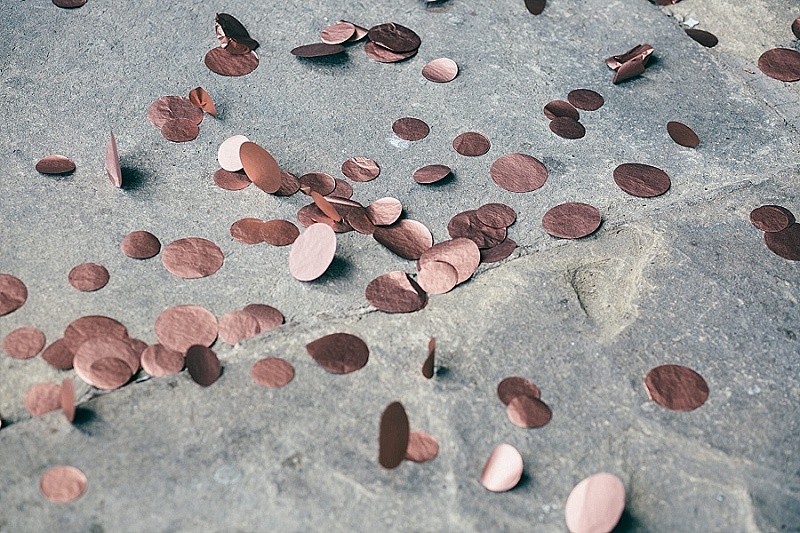 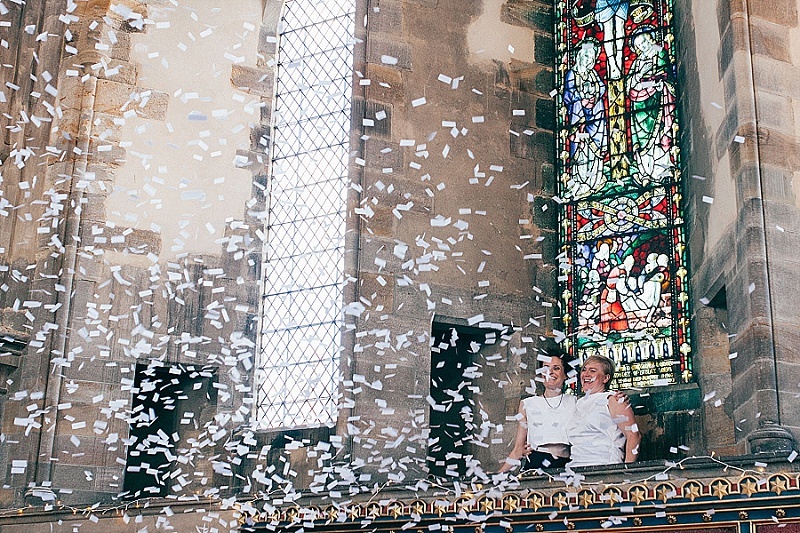 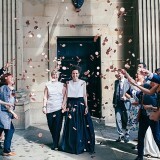 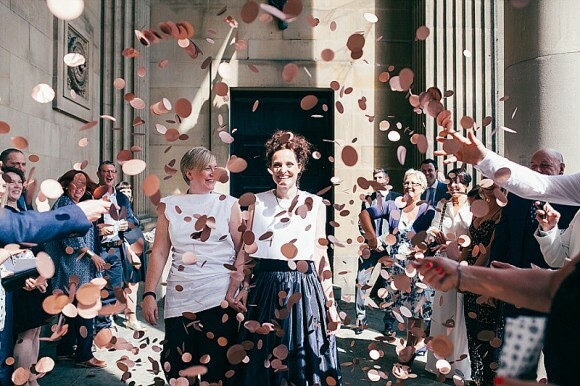 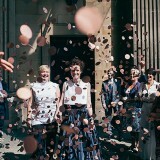 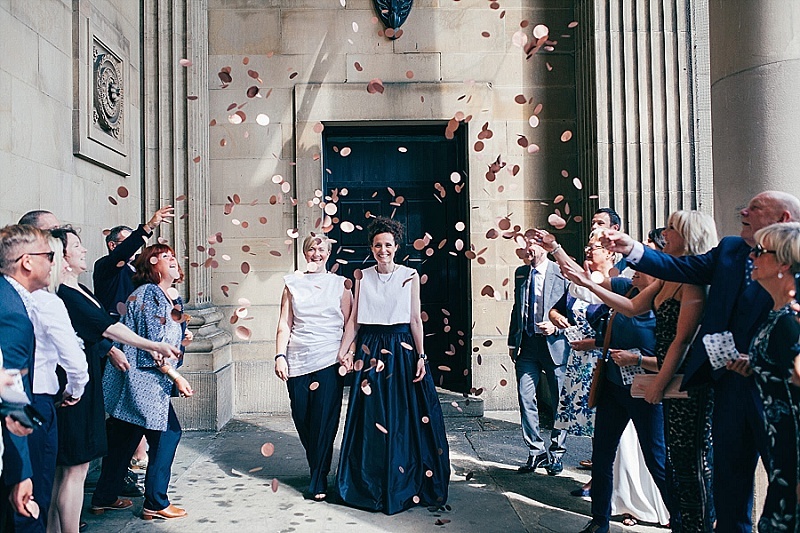 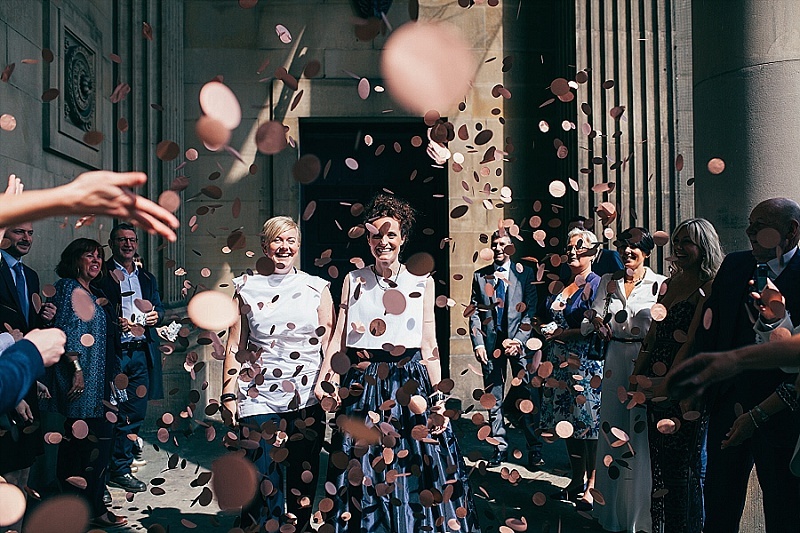 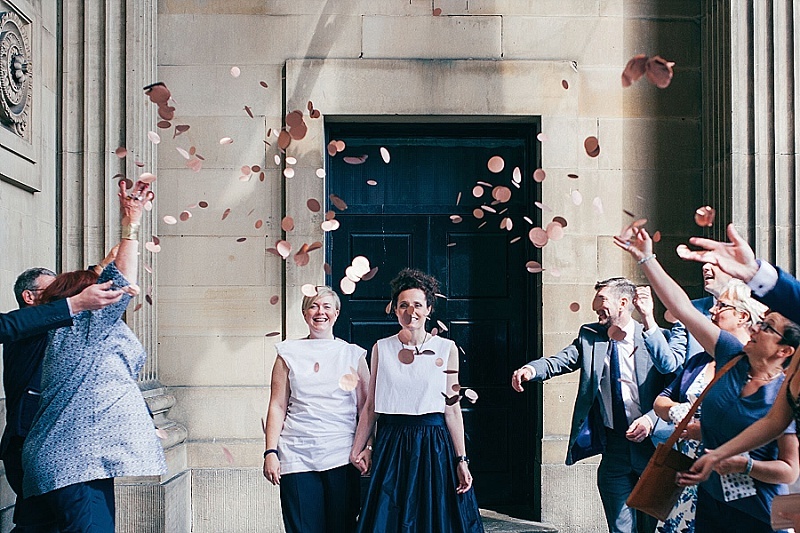 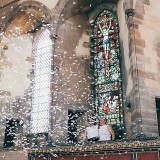 Walking out of the Town Hall through the copper confetti was a magical moment. 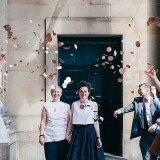 Surprising our guests with confetti canons from the balcony was so much fun and listening to Sea of Bees with Vicky by my side and all of our friend and family around was brilliant. 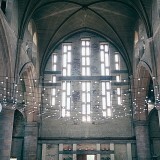 For our honeymoon we went to Venice for the Biennale and stayed at the Hilton Molino Stucky on Giudecca Island. 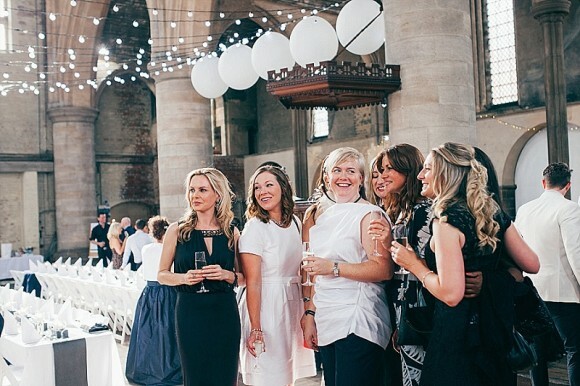 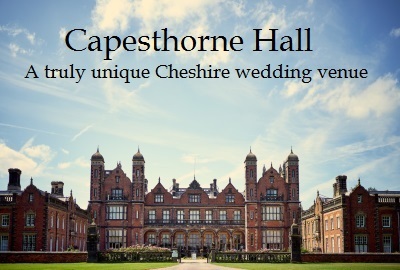 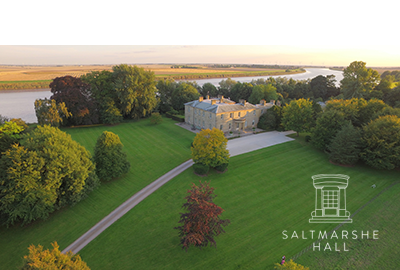 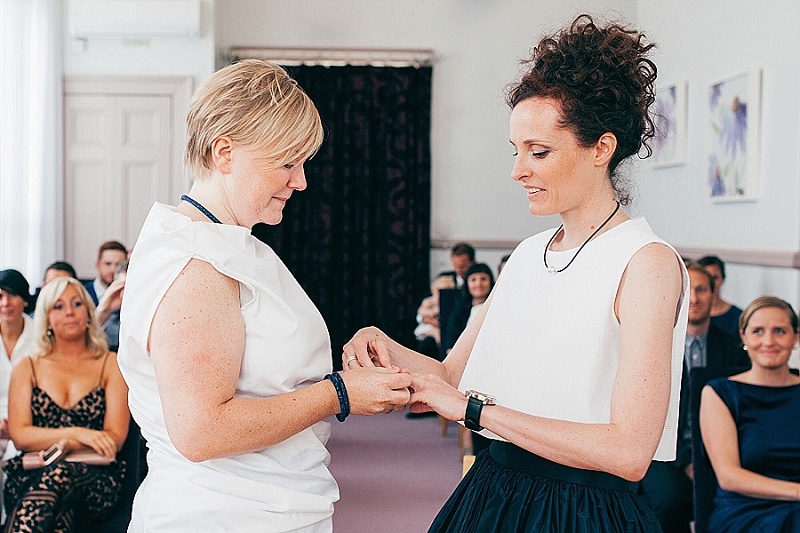 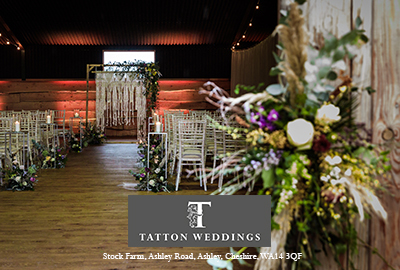 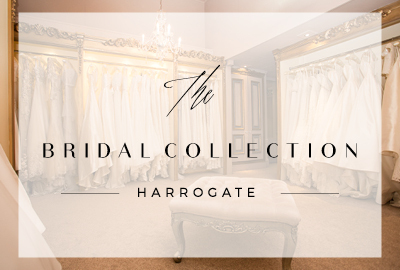 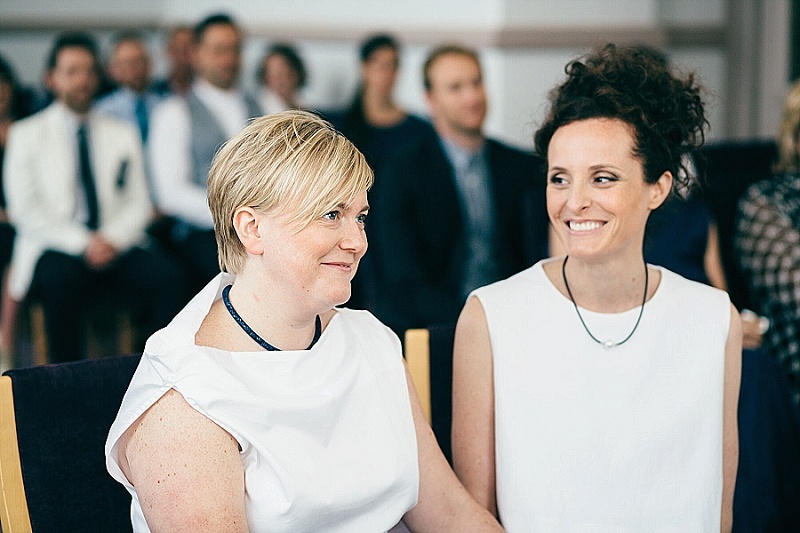 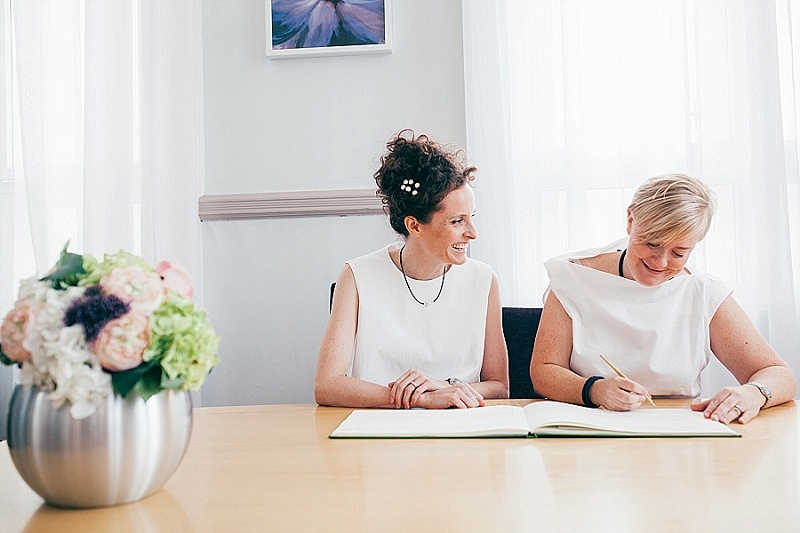 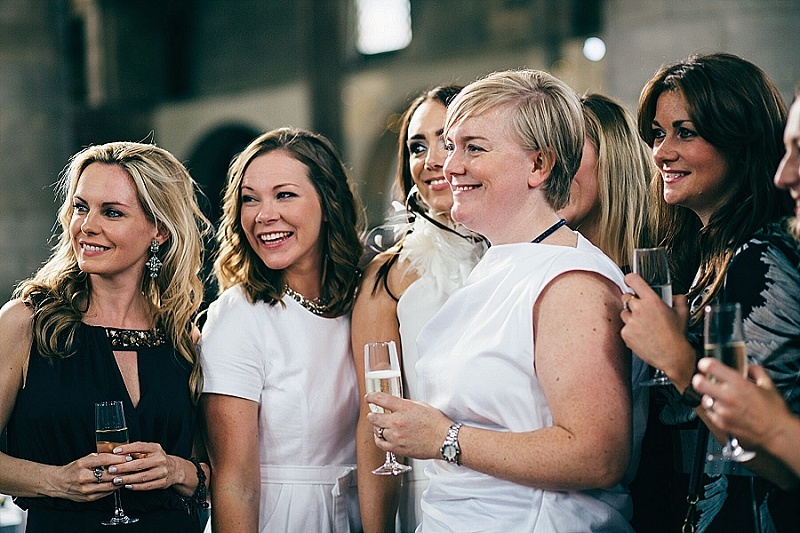 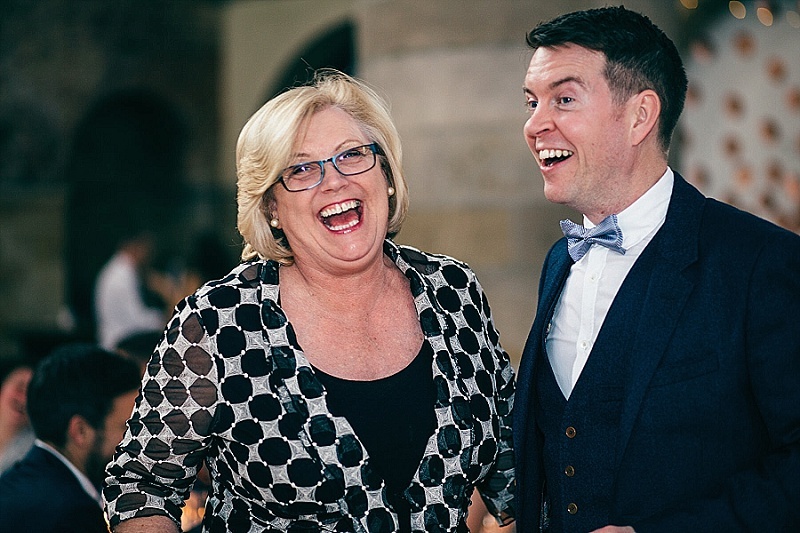 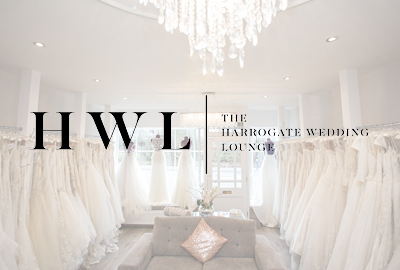 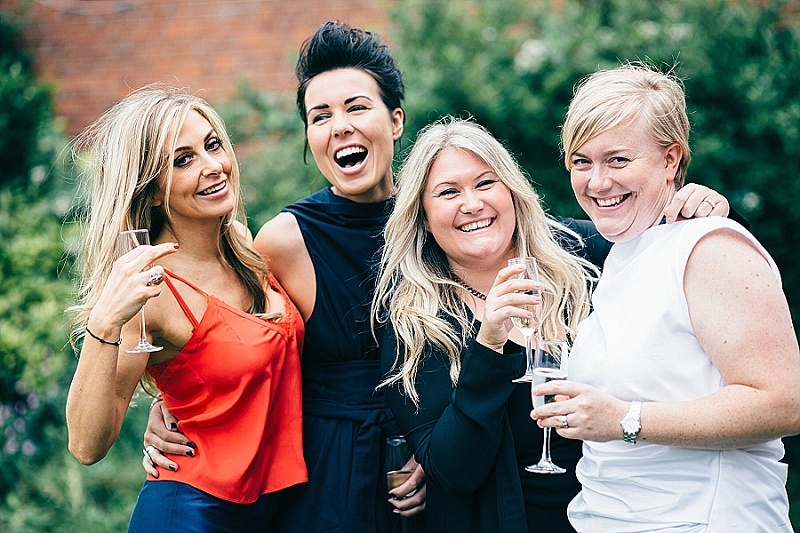 My top tip for other Brides Up North would be – don’t feel you need to stick to the traditional plan for your day. 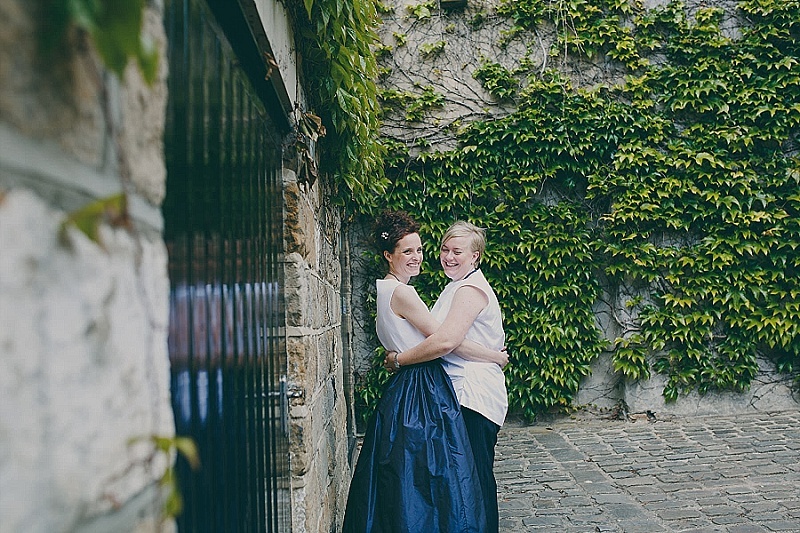 We got ready together which I really liked, we had our photos before the ceremony so that we didn’t miss out on time with our friends and family (and it meant our hair and makeup were fresh for the photos). 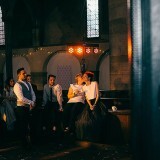 We decided not to use cars, have flowers, there was no cake, we didn’t do favours and we didn’t do a first dance. 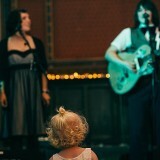 Just make your day all about the two of you. 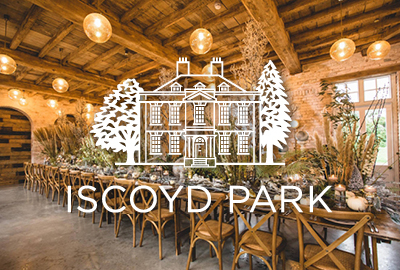 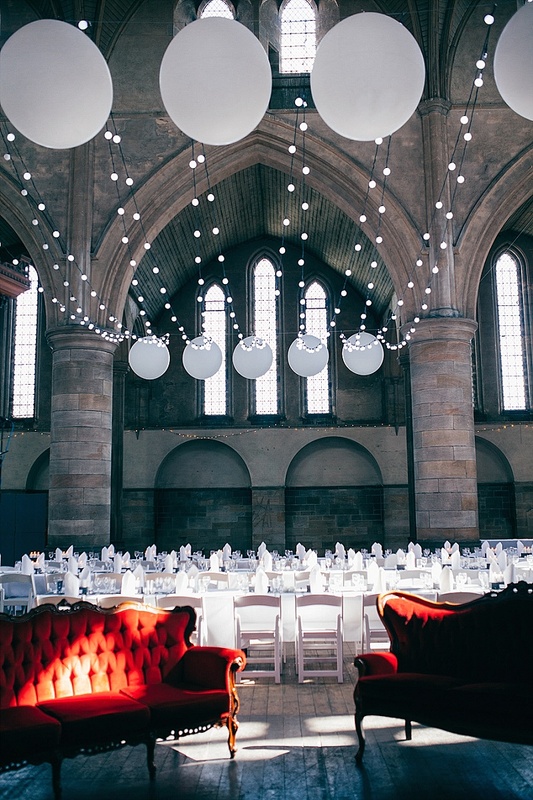 Also, when styling a large venue it’s worth having a few focal points of interest to add impact rather than lots of little things dispersed. 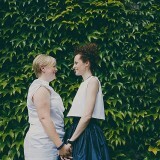 Oh, and it’s totally normal to hate the politics and stress that creep into planning a wedding! 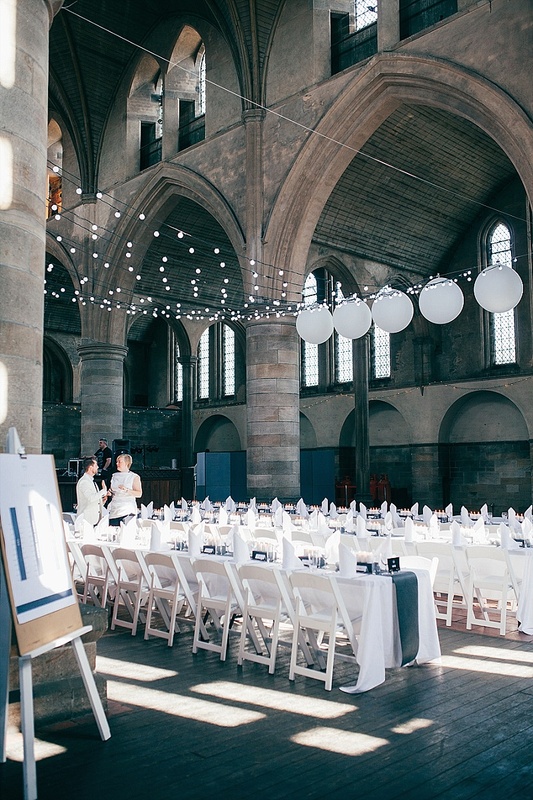 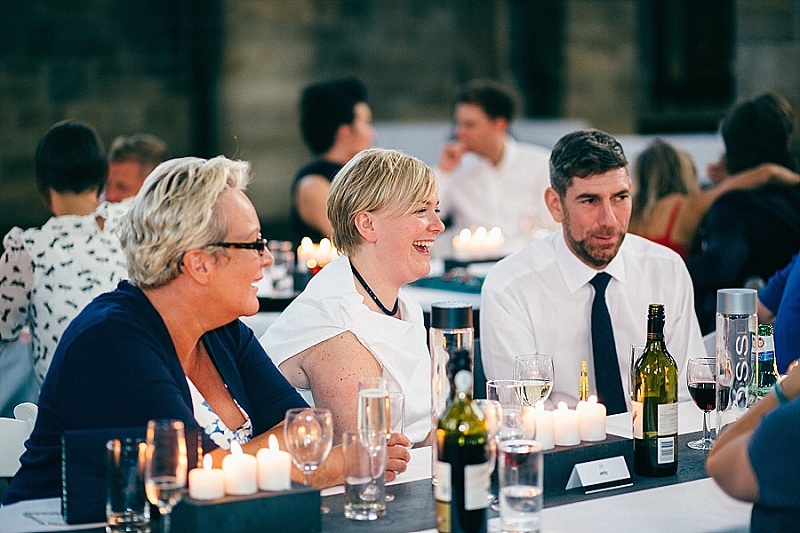 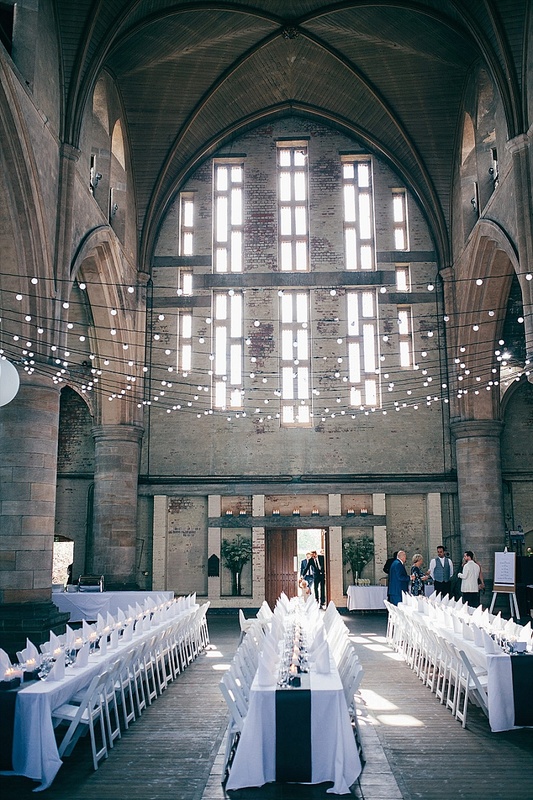 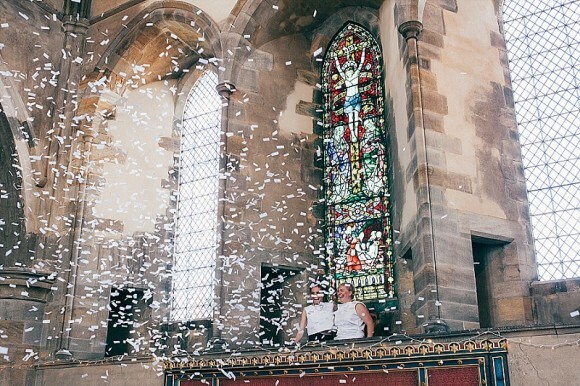 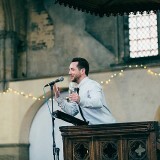 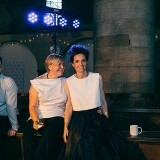 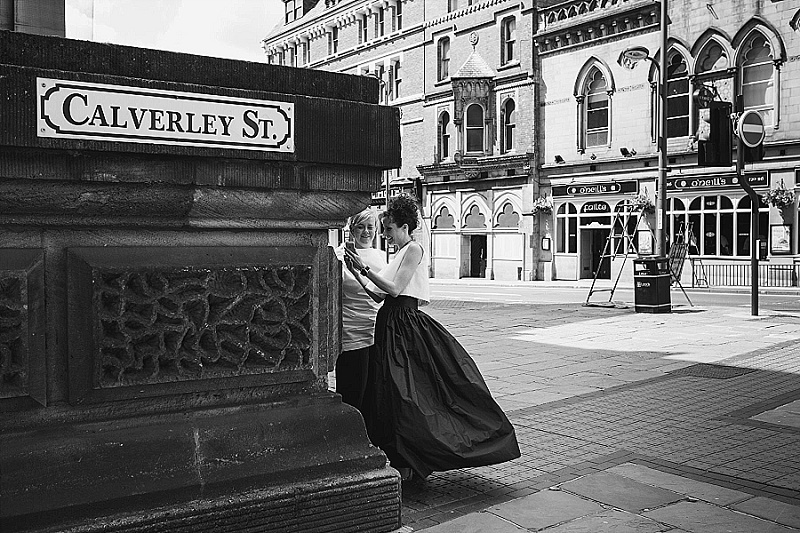 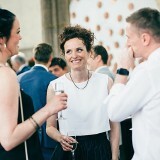 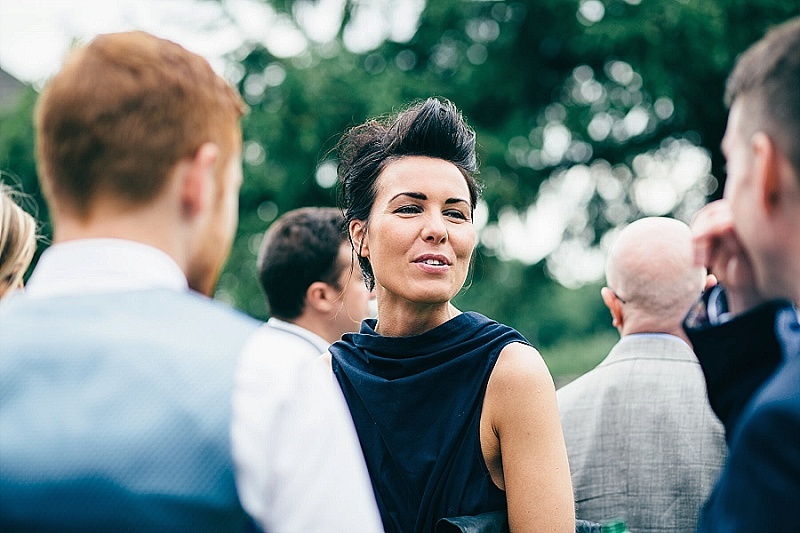 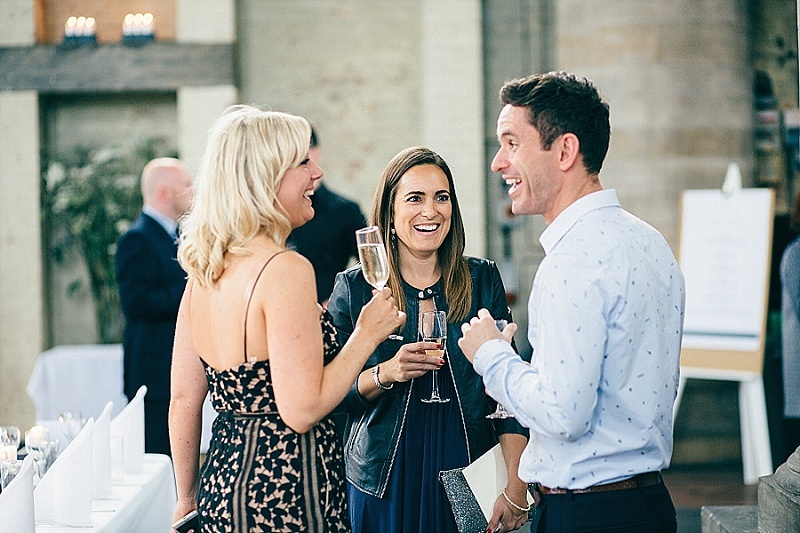 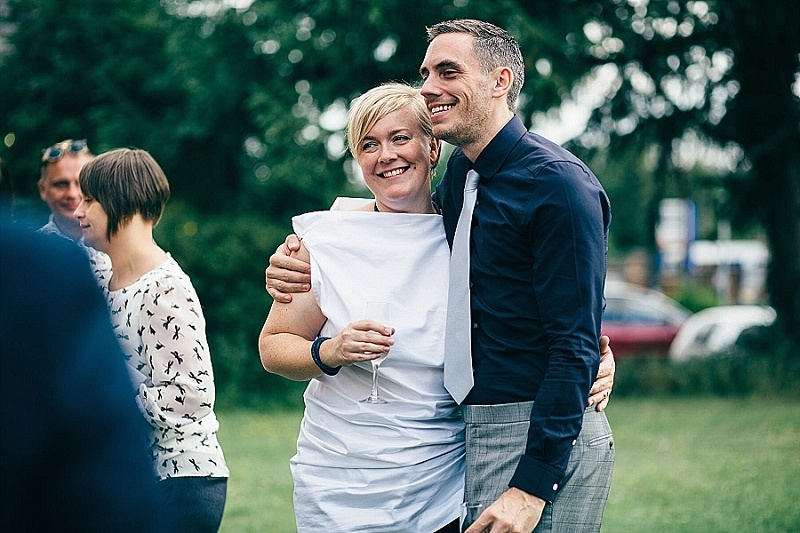 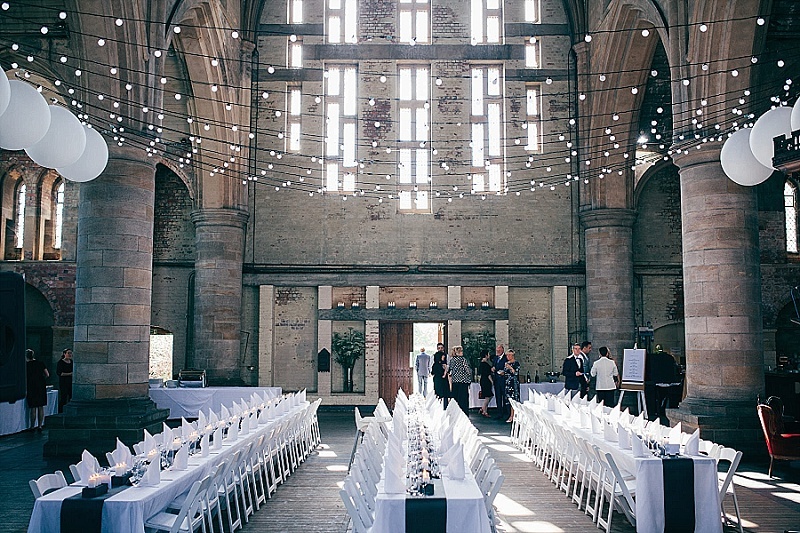 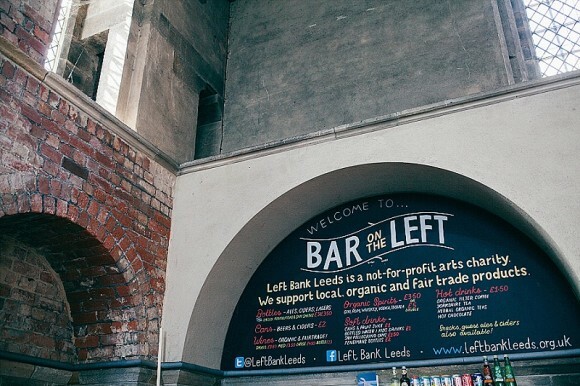 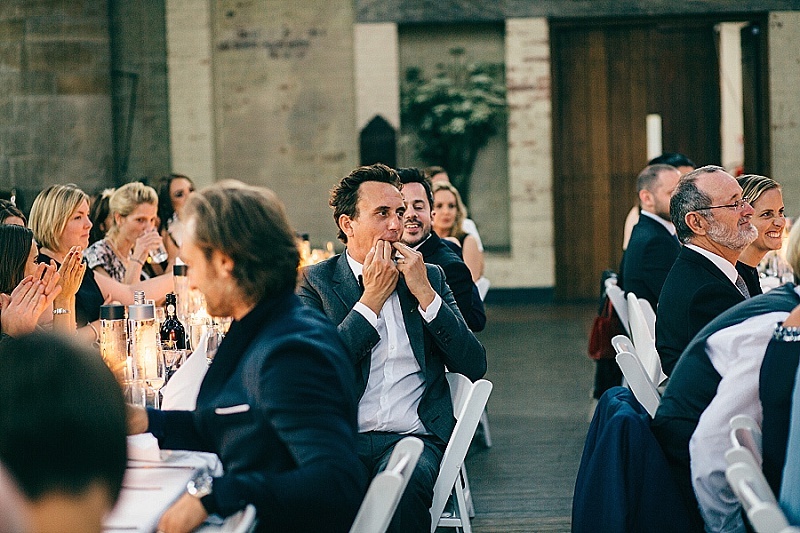 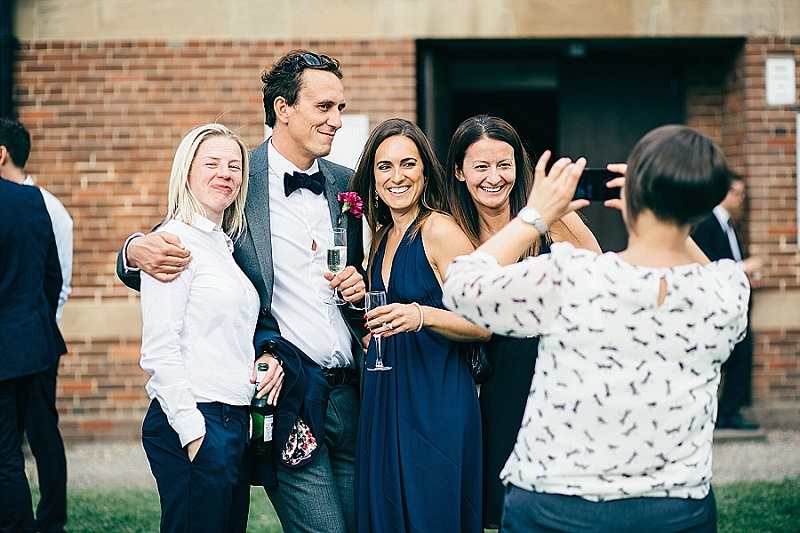 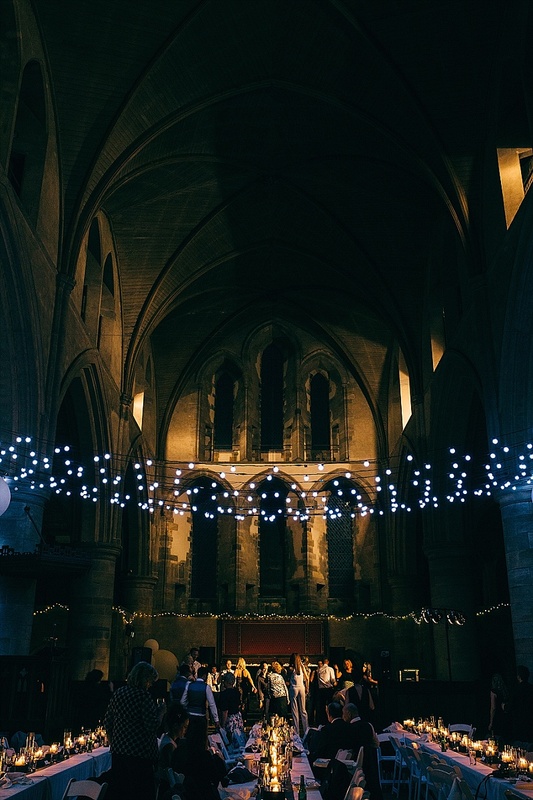 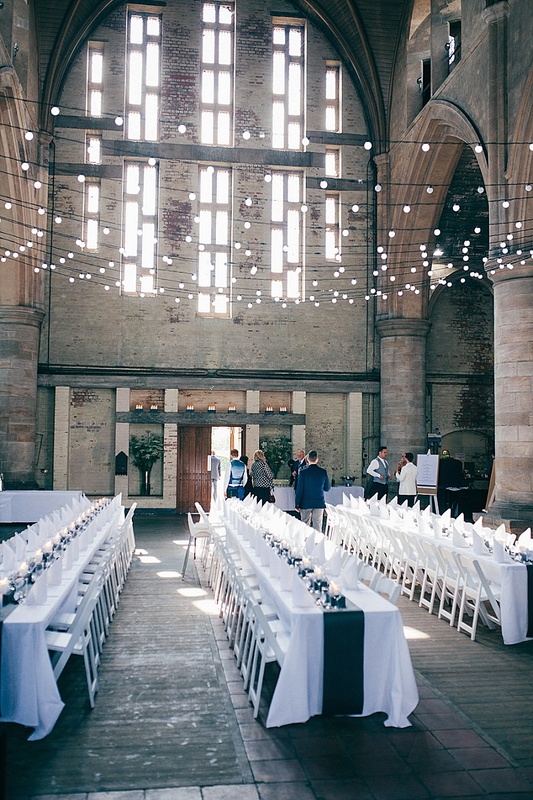 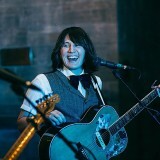 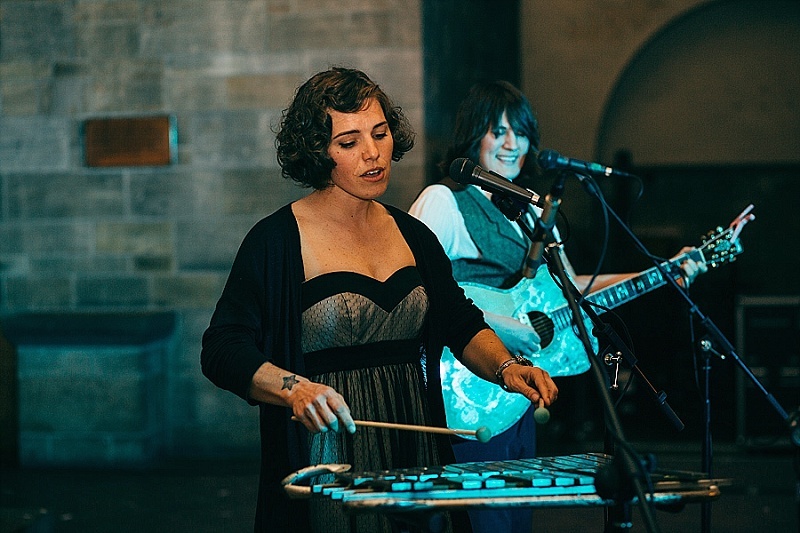 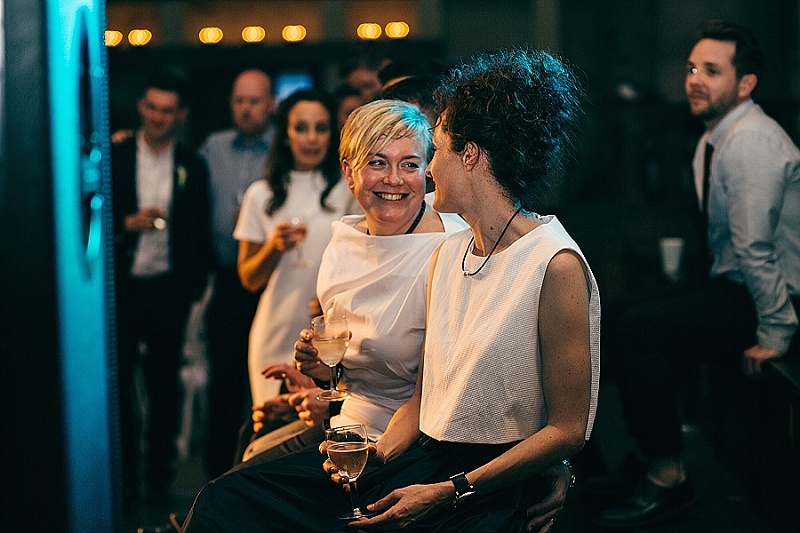 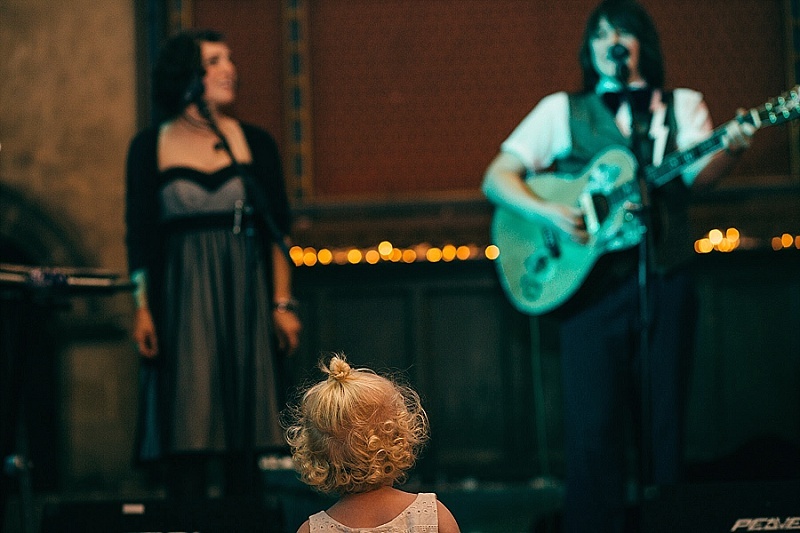 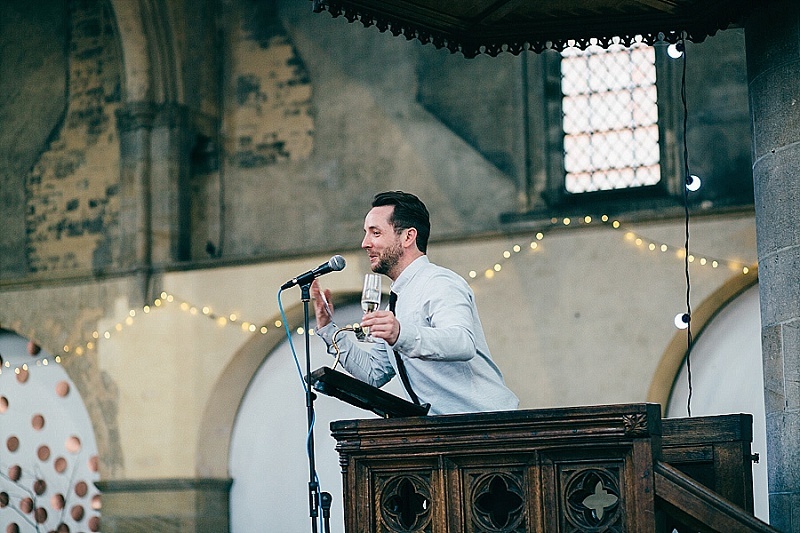 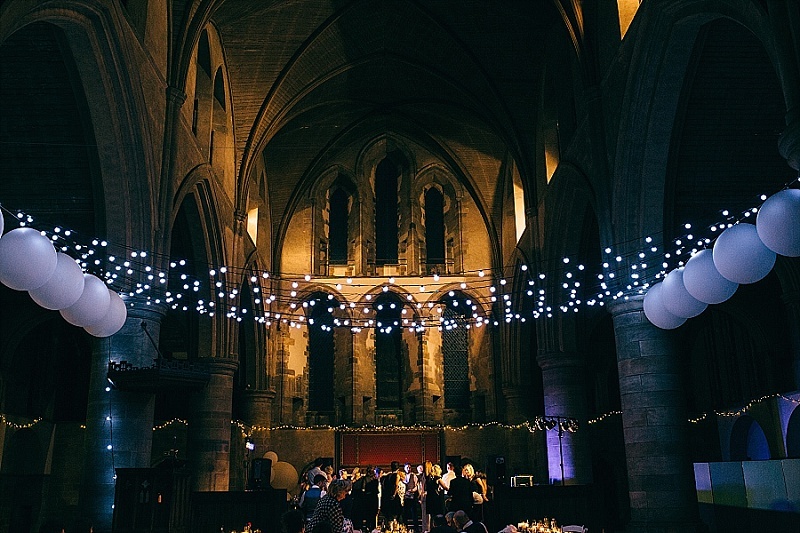 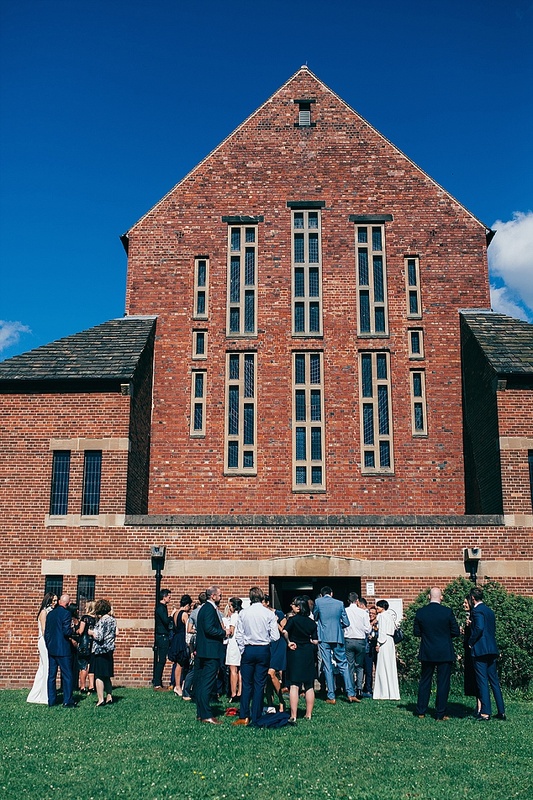 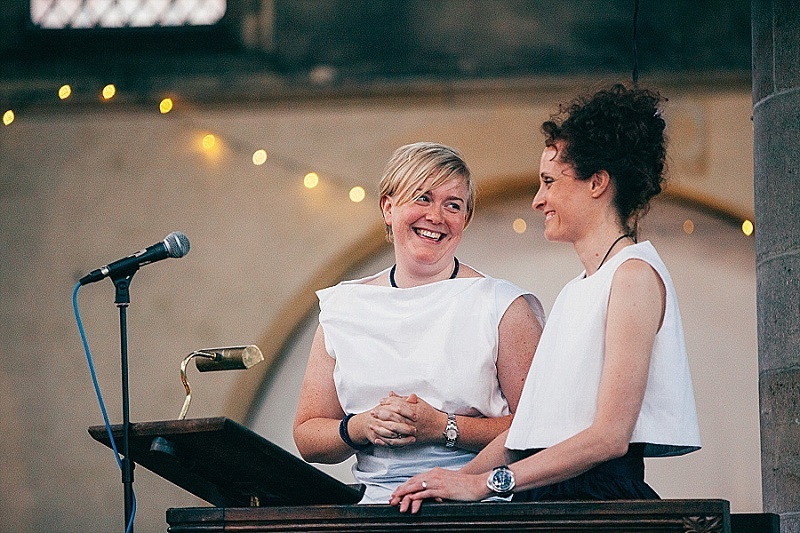 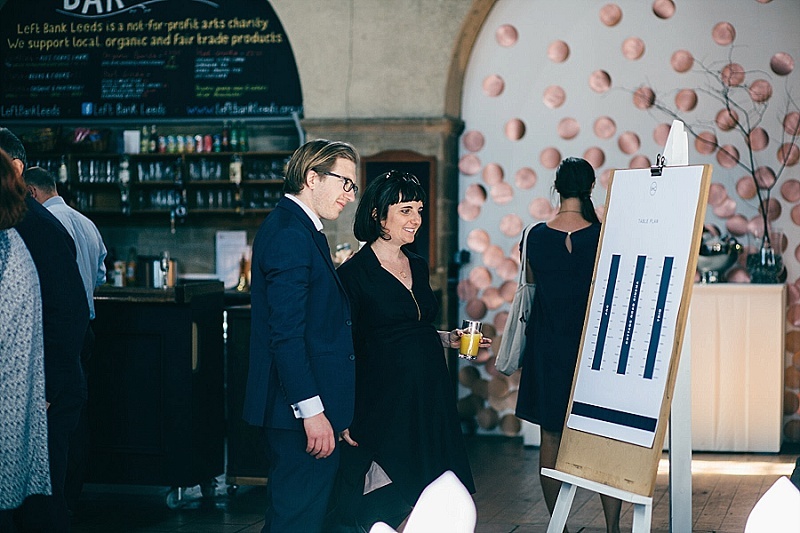 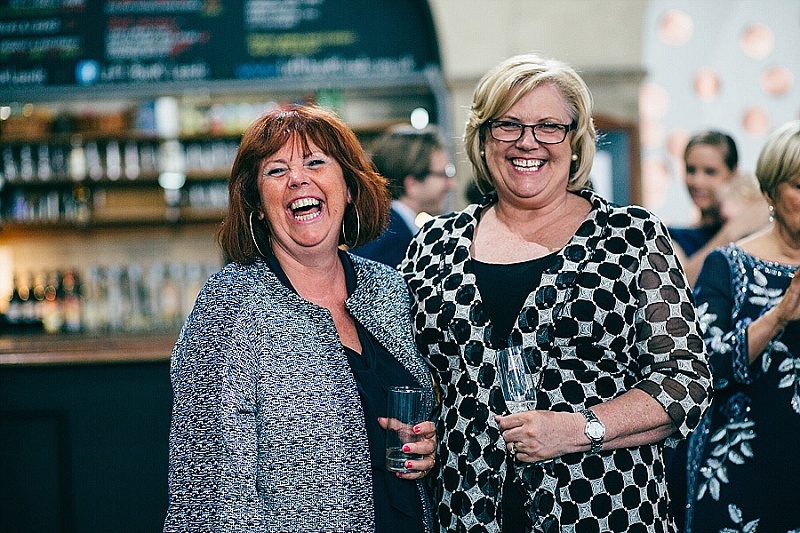 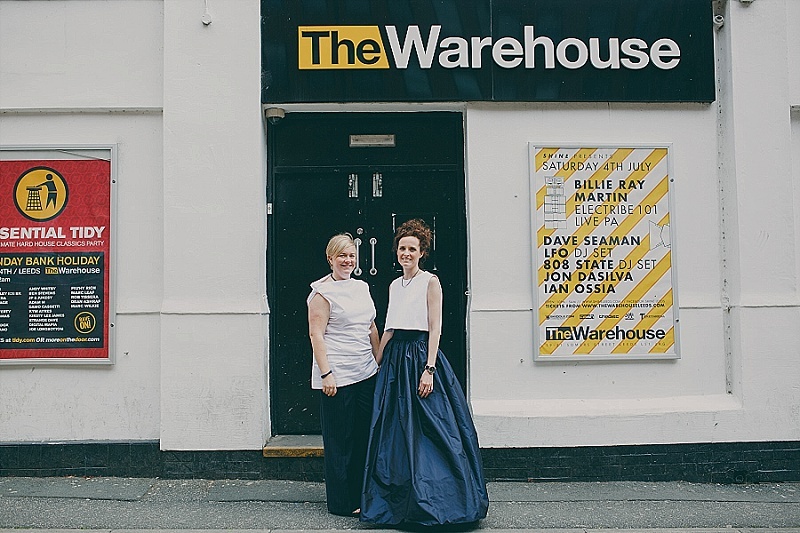 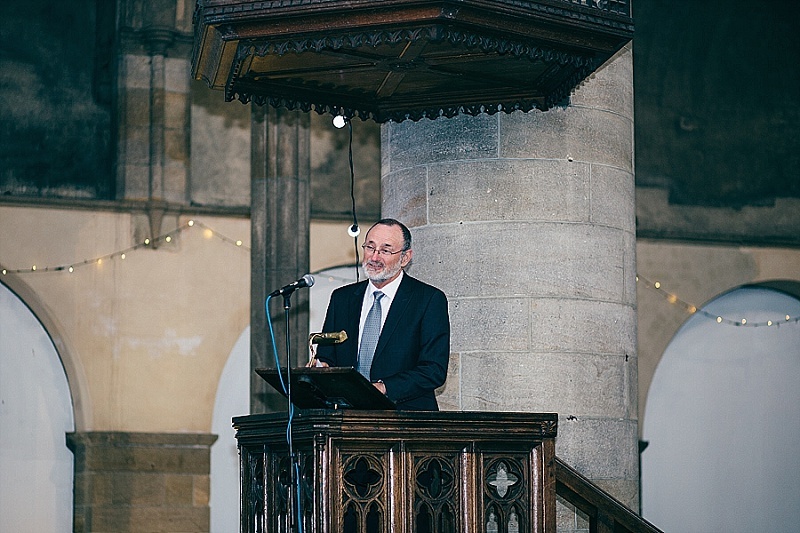 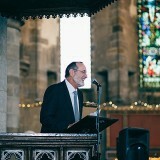 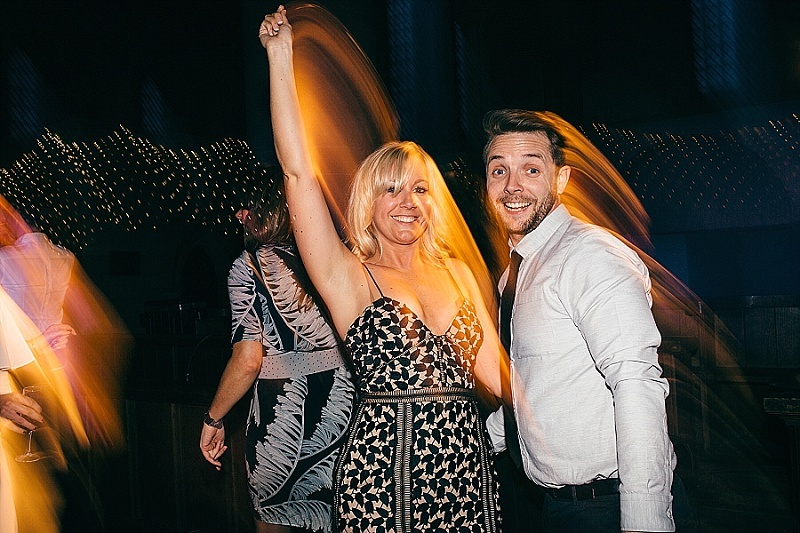 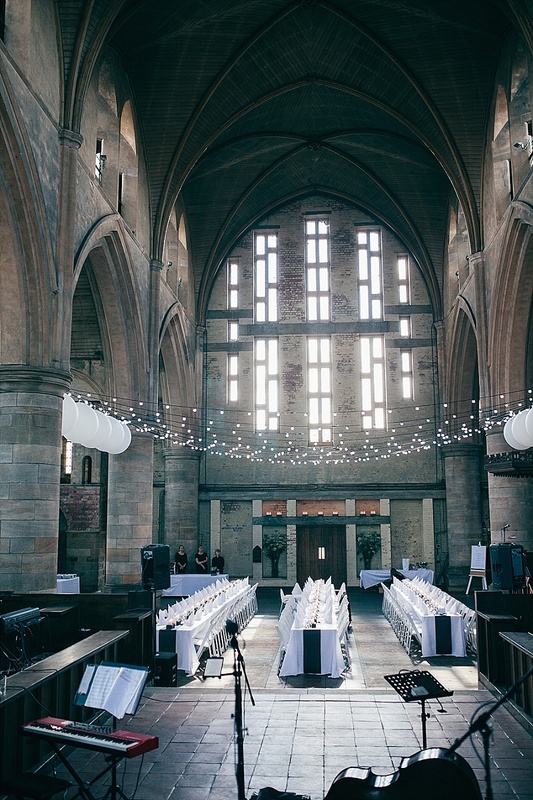 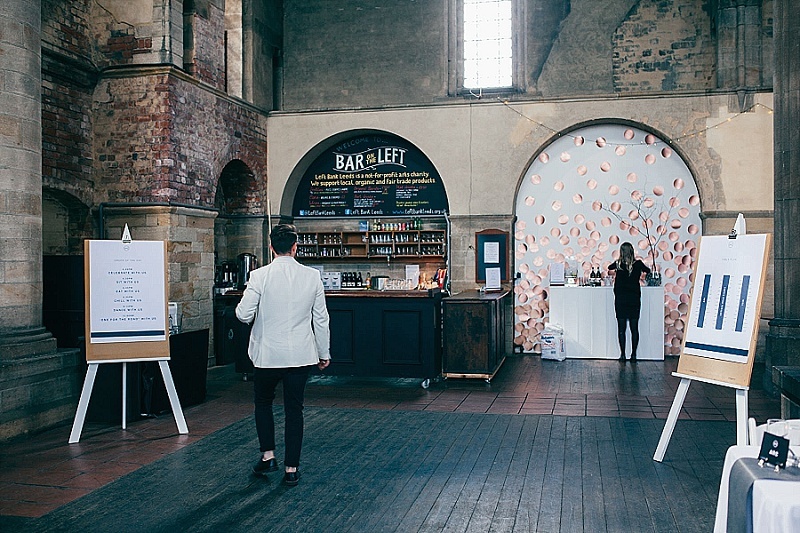 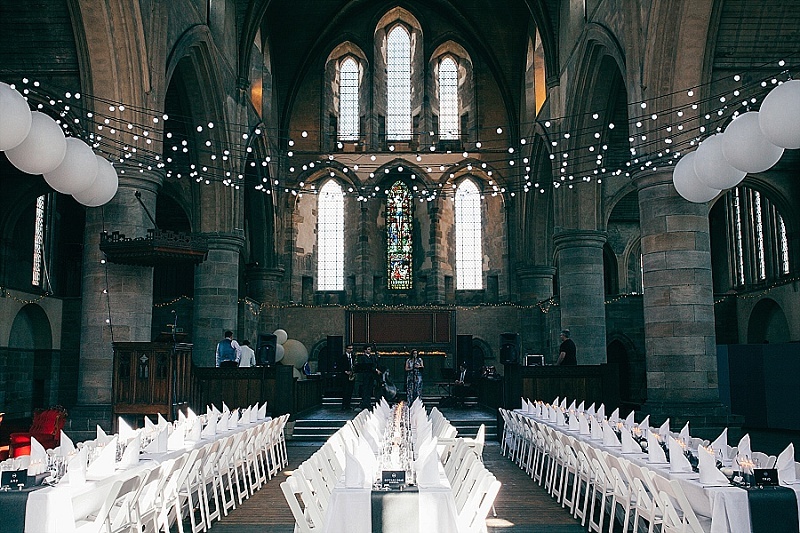 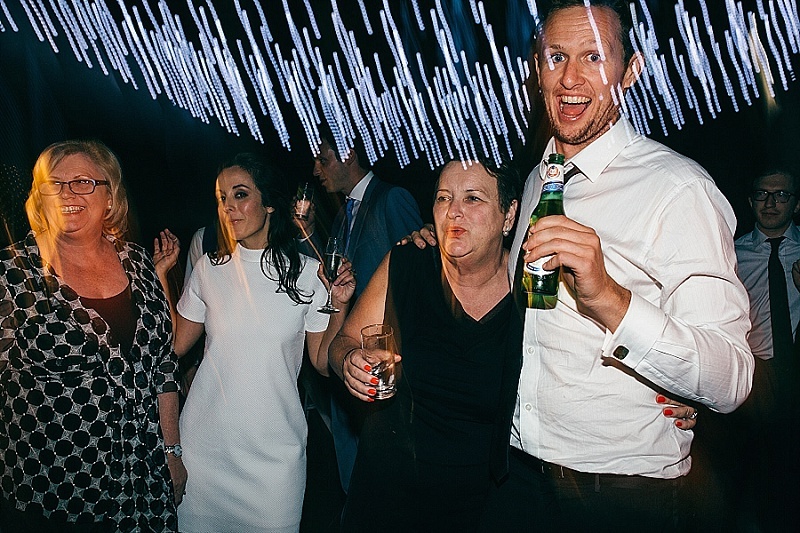 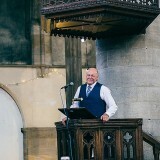 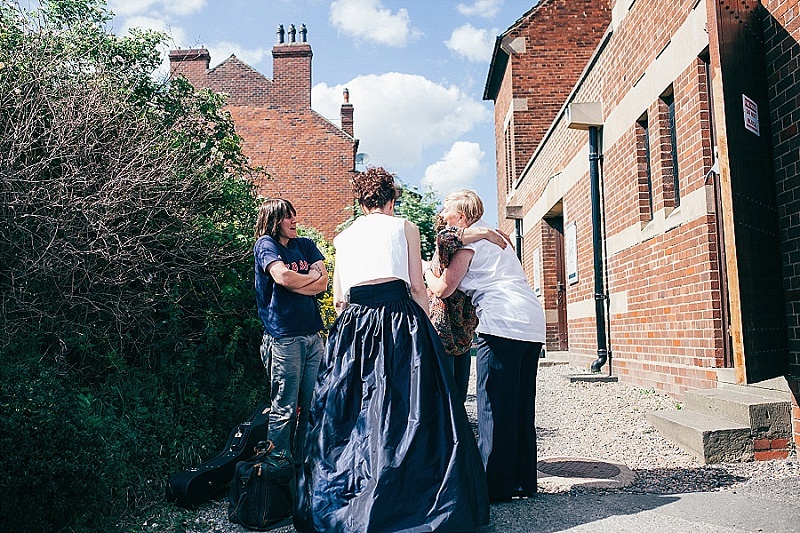 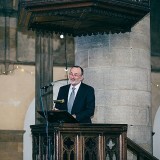 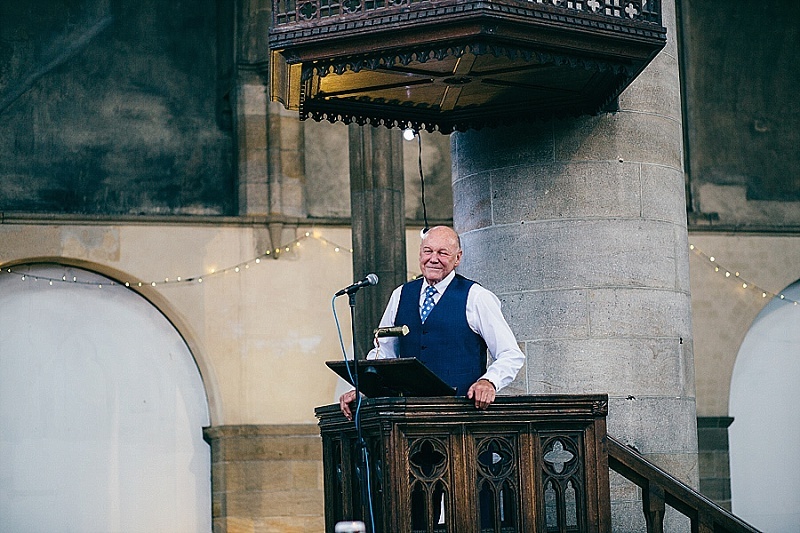 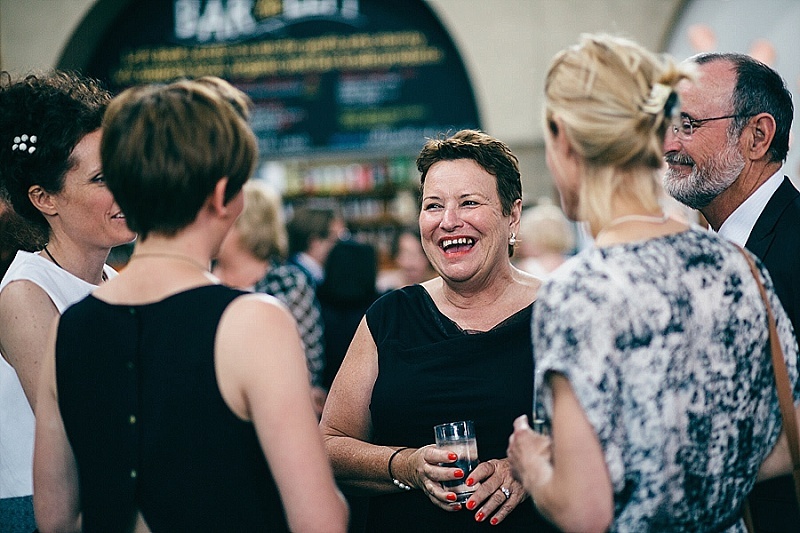 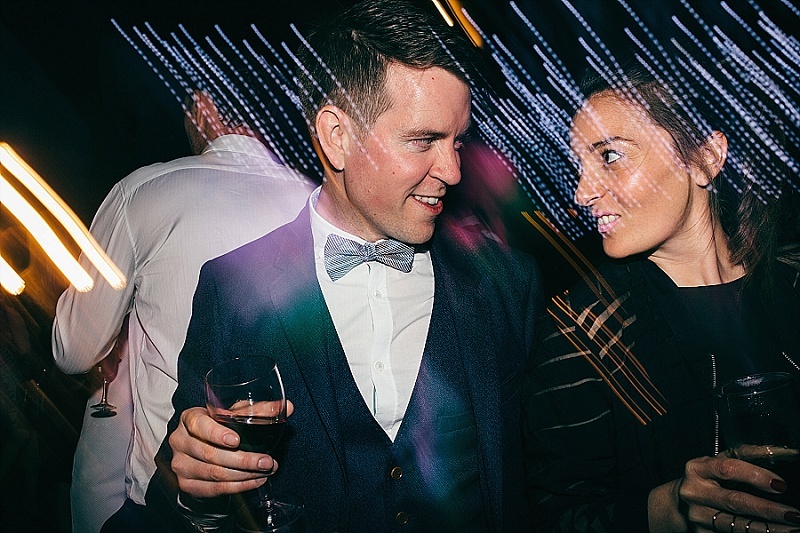 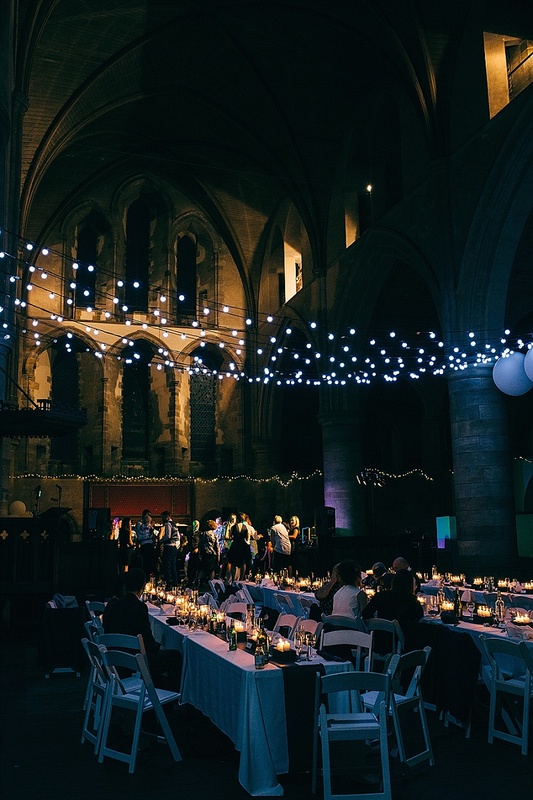 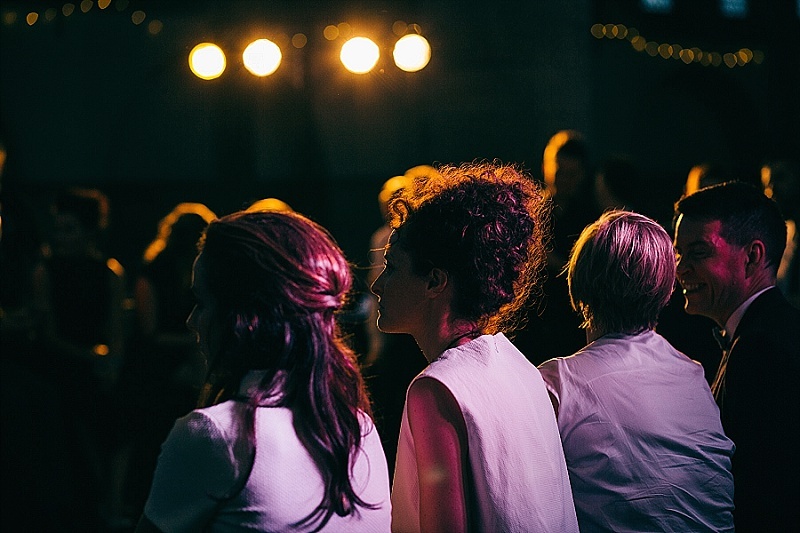 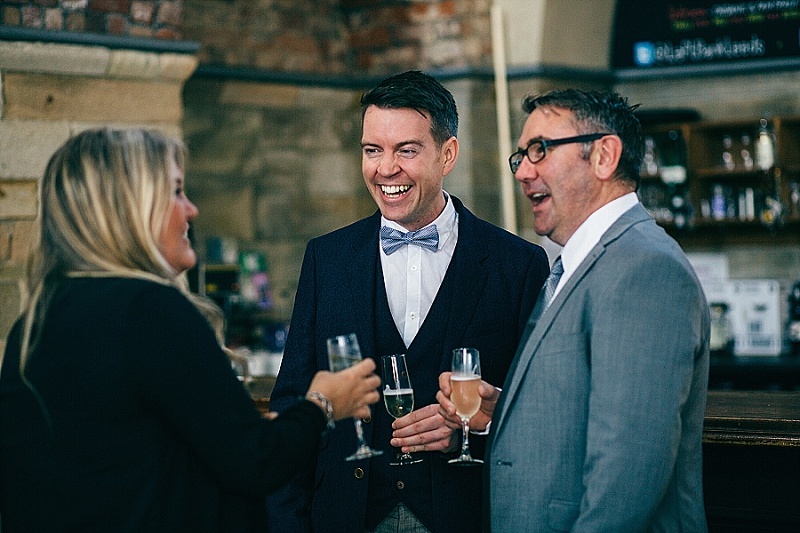 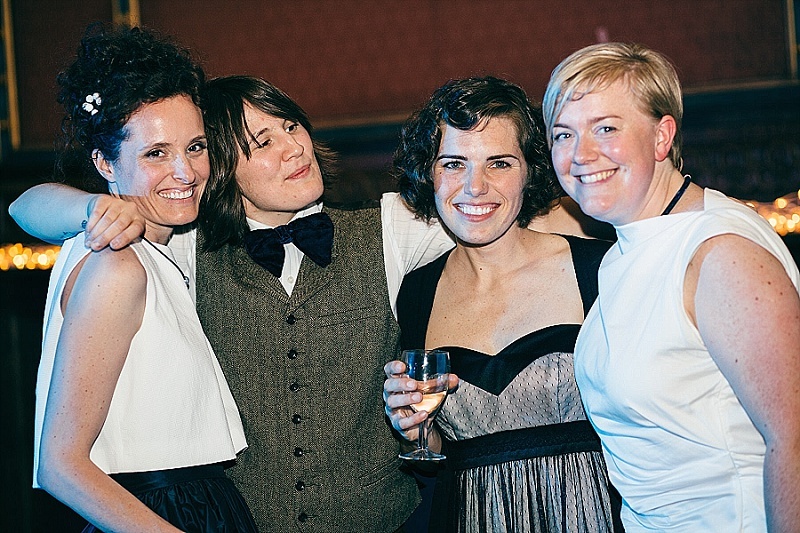 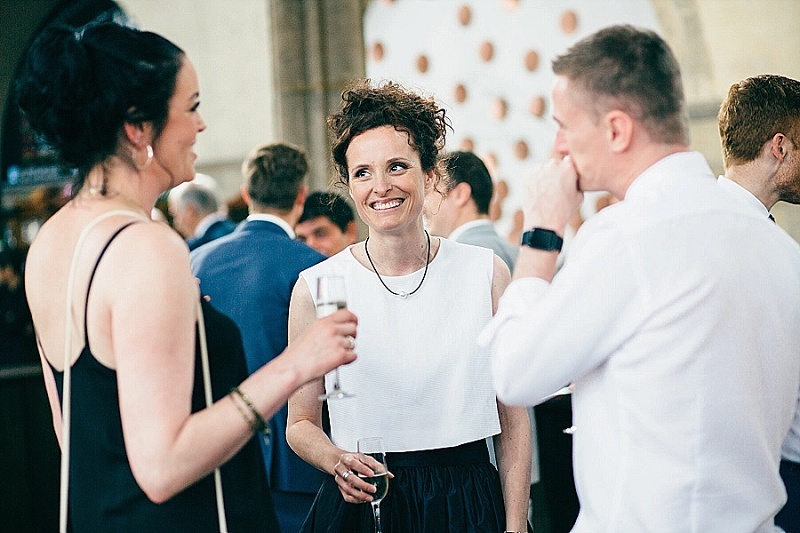 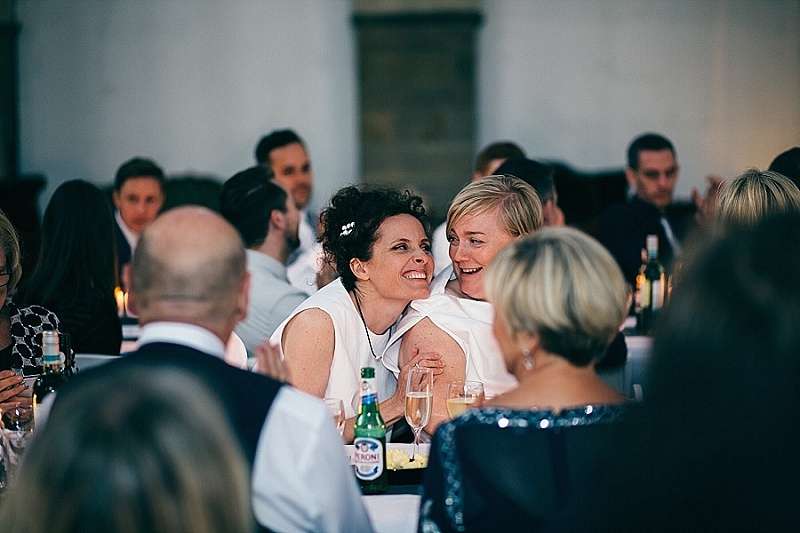 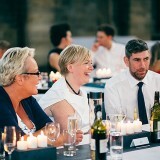 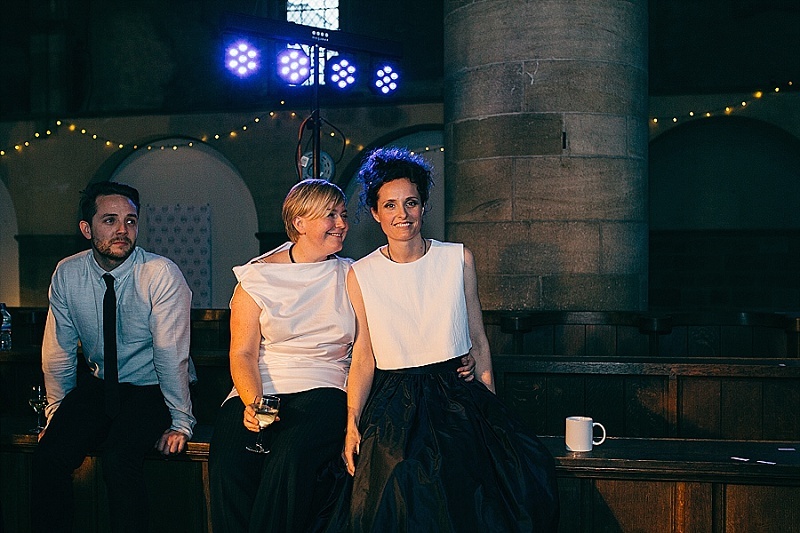 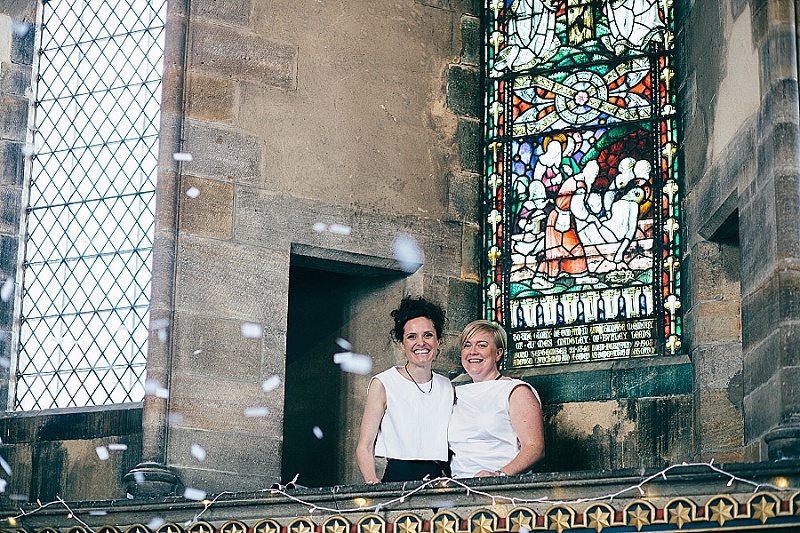 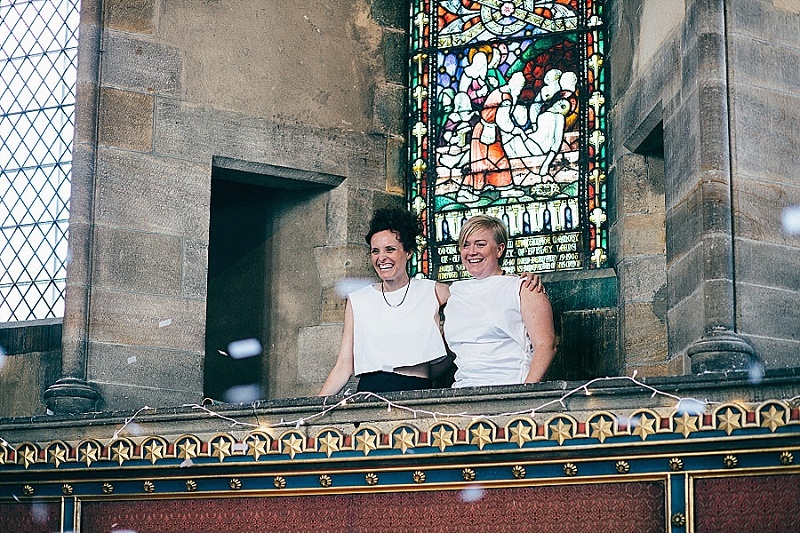 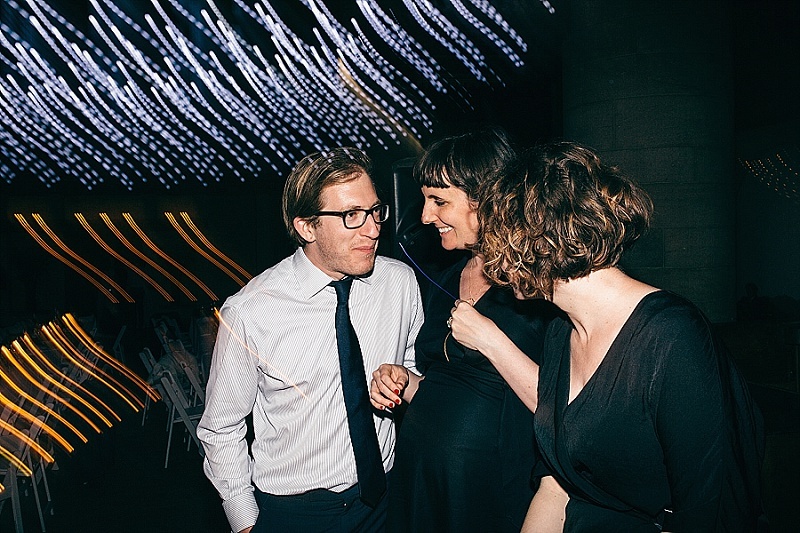 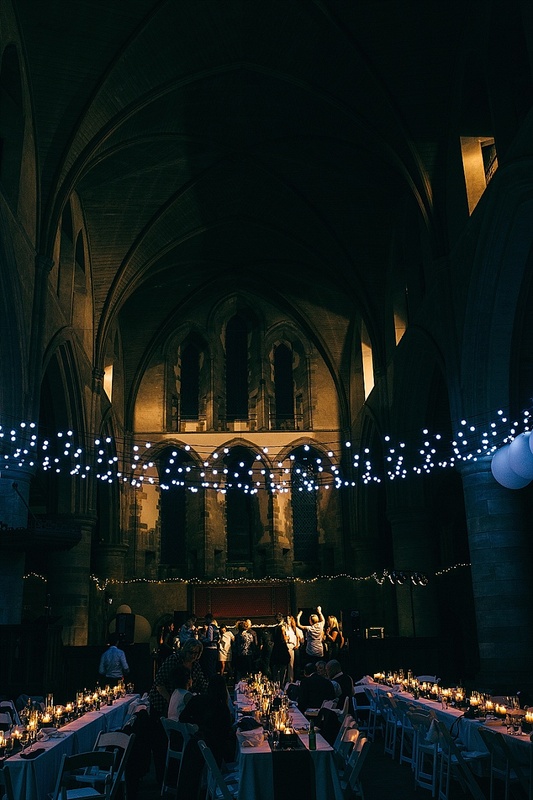 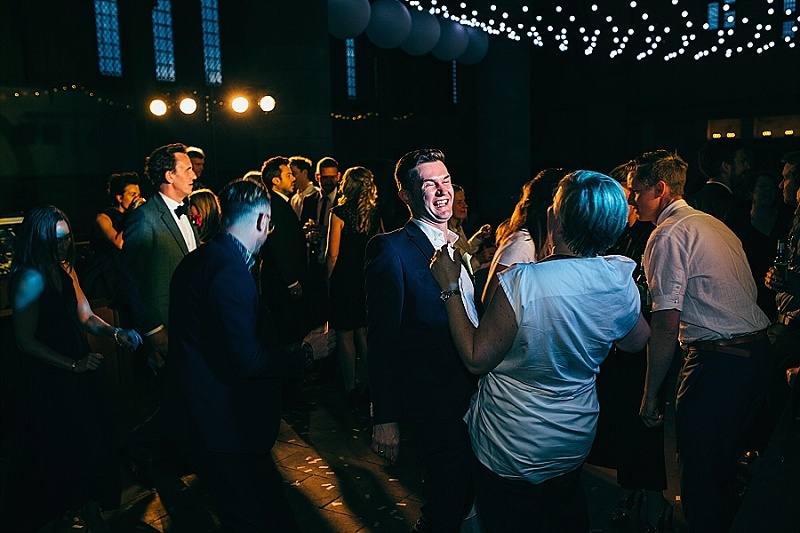 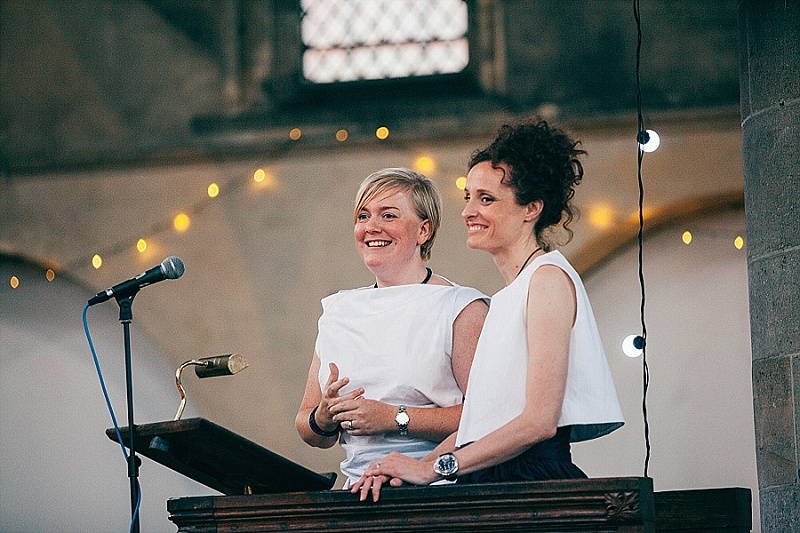 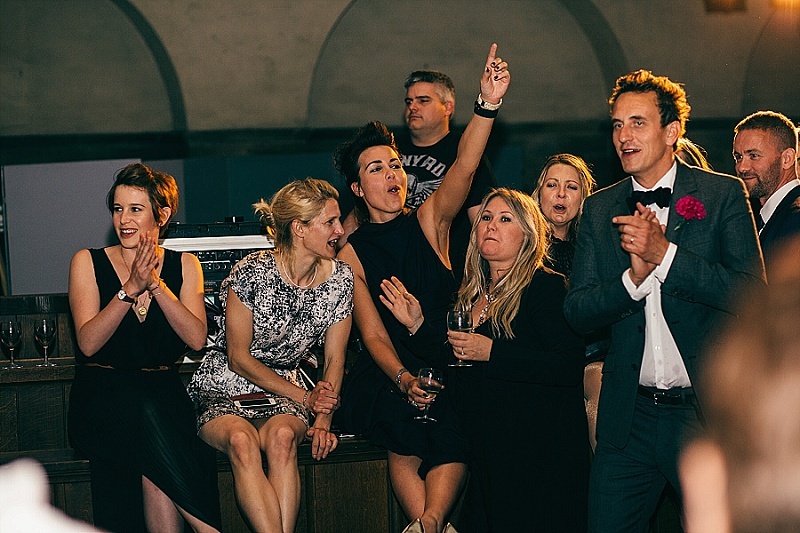 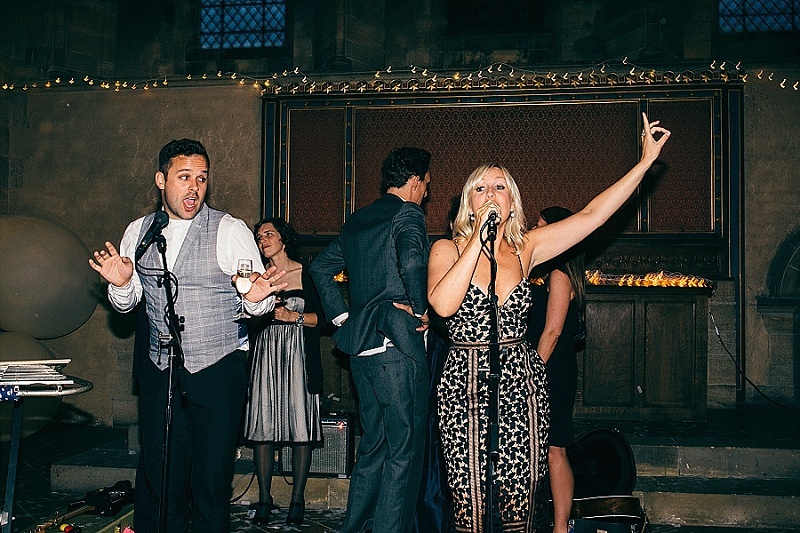 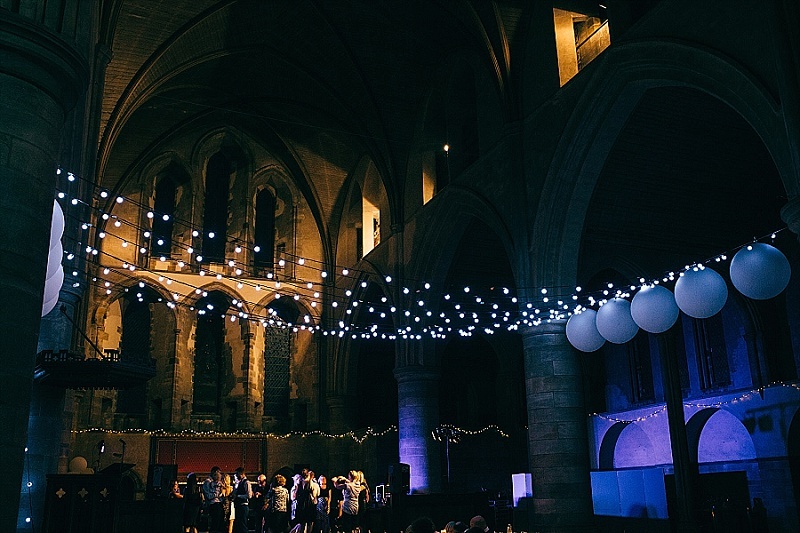 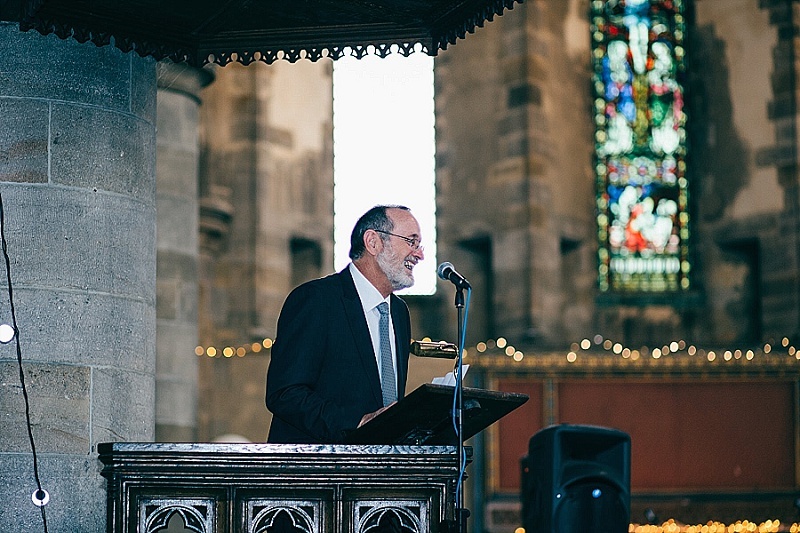 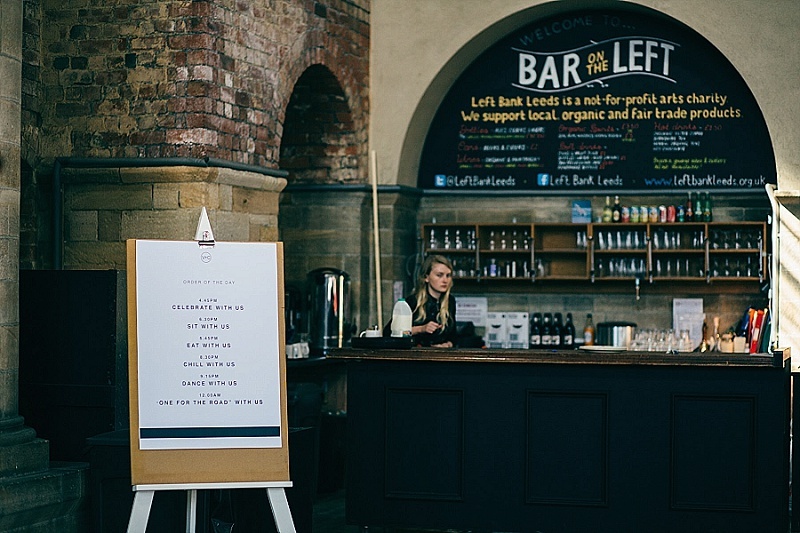 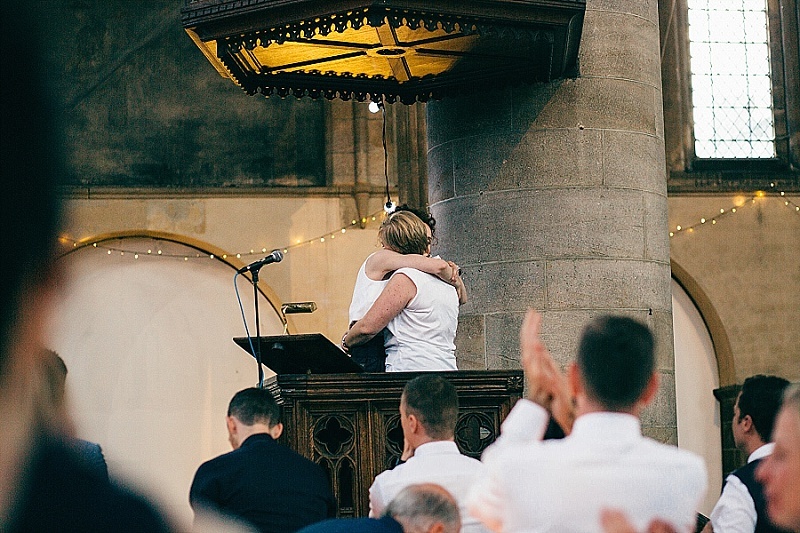 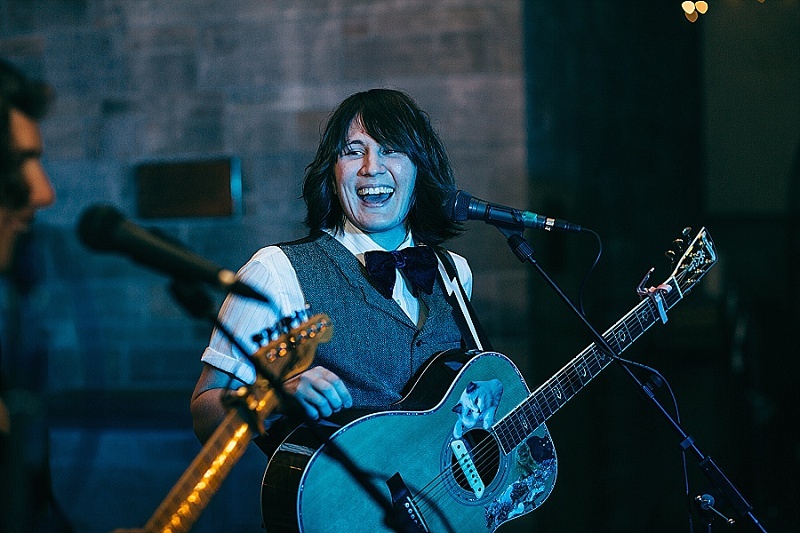 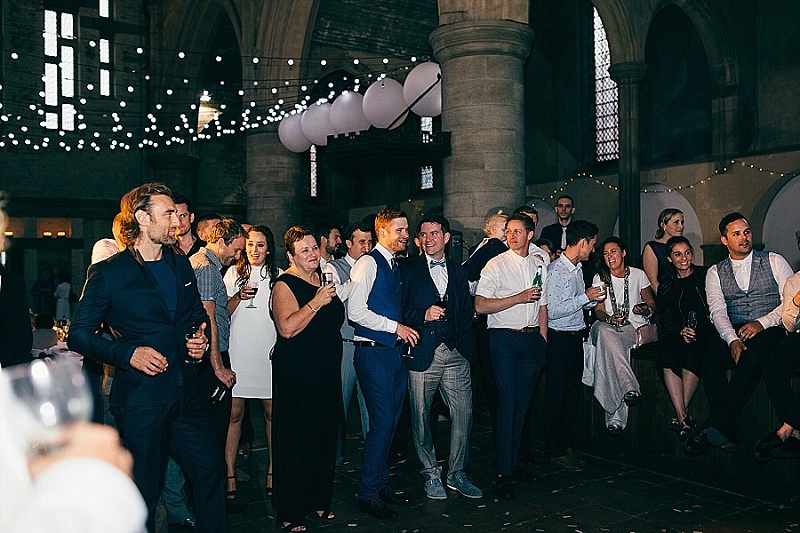 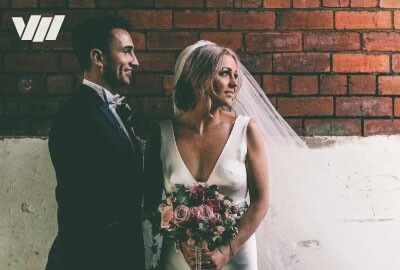 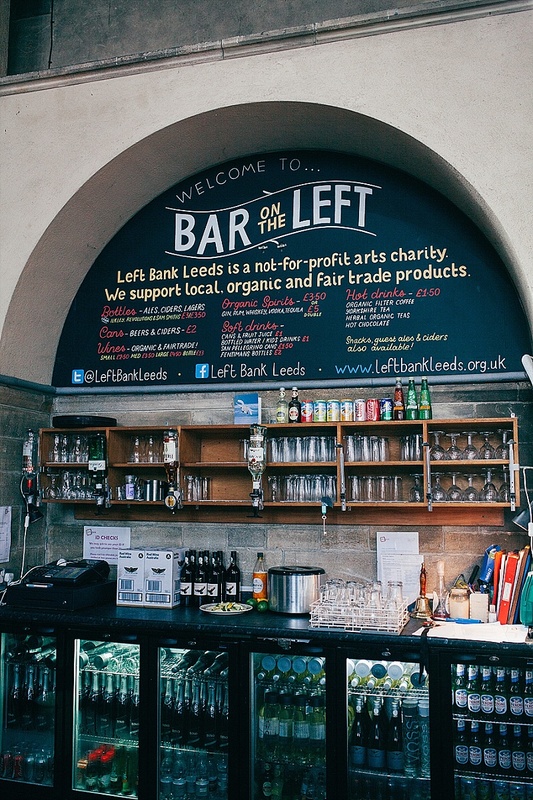 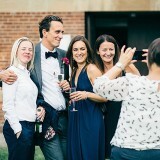 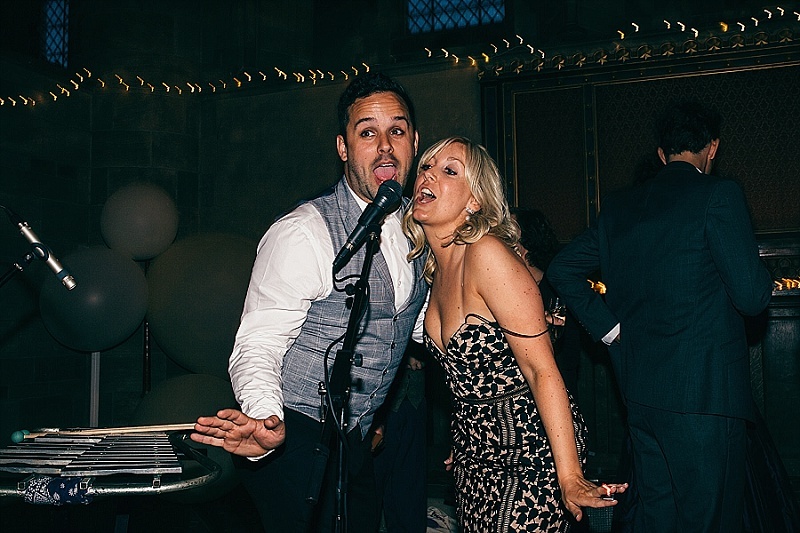 Six months after booking our wedding venue I started working for Left Bank Leeds as the Marketing and Audience Development Manager and am now the Director, so it very much remains close to me. 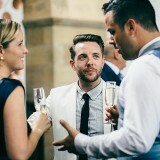 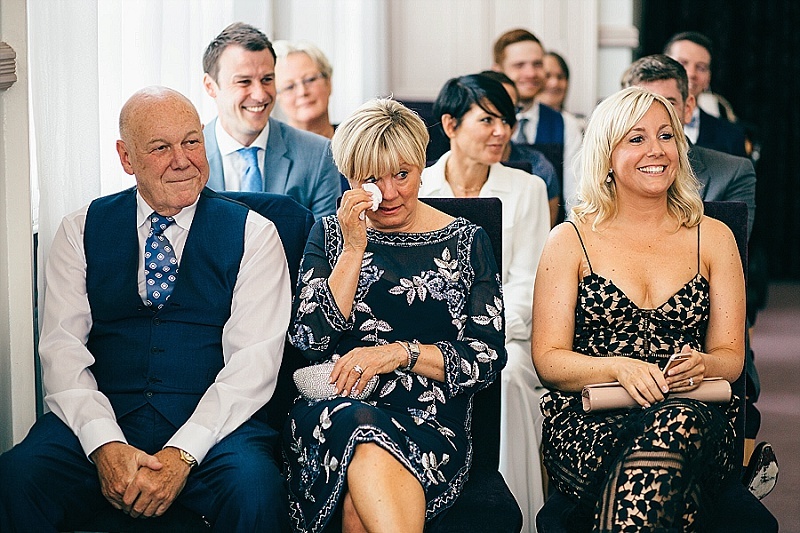 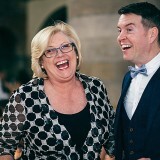 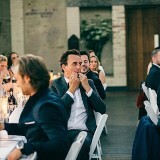 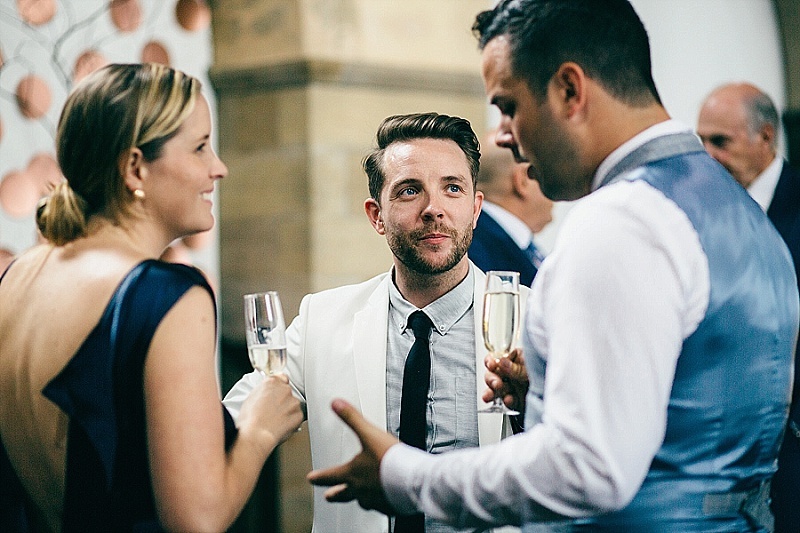 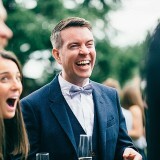 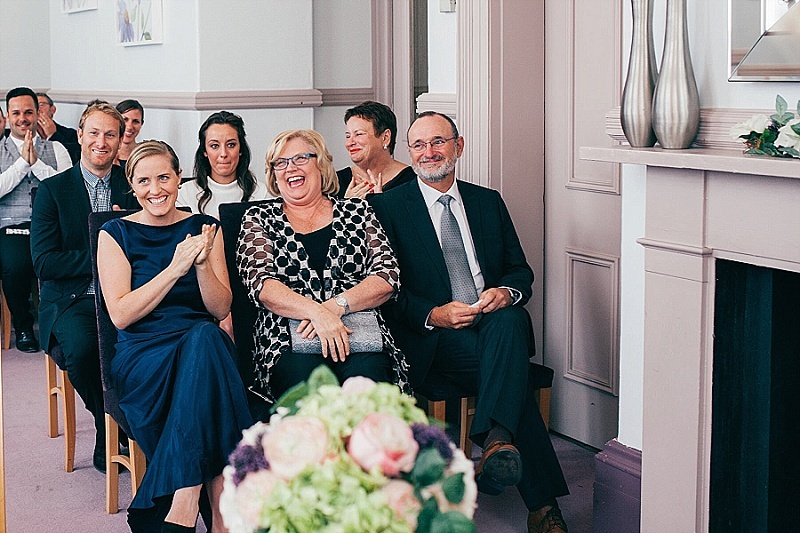 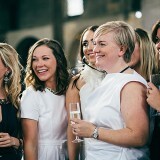 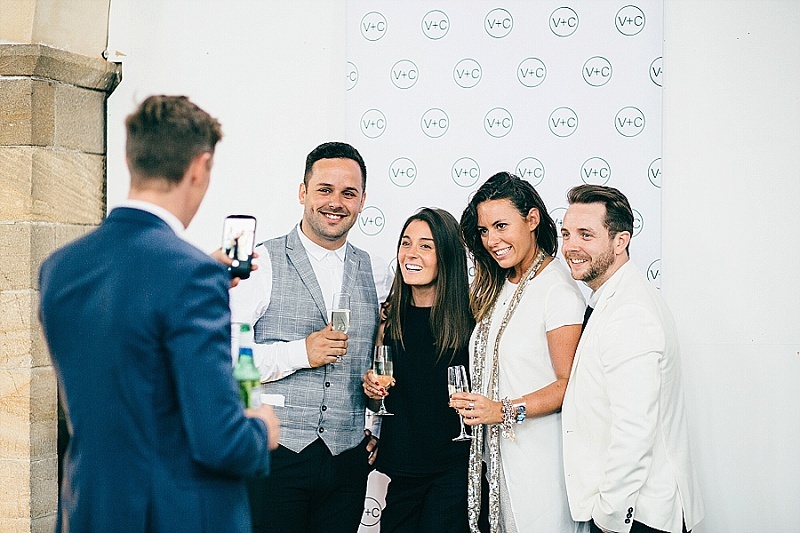 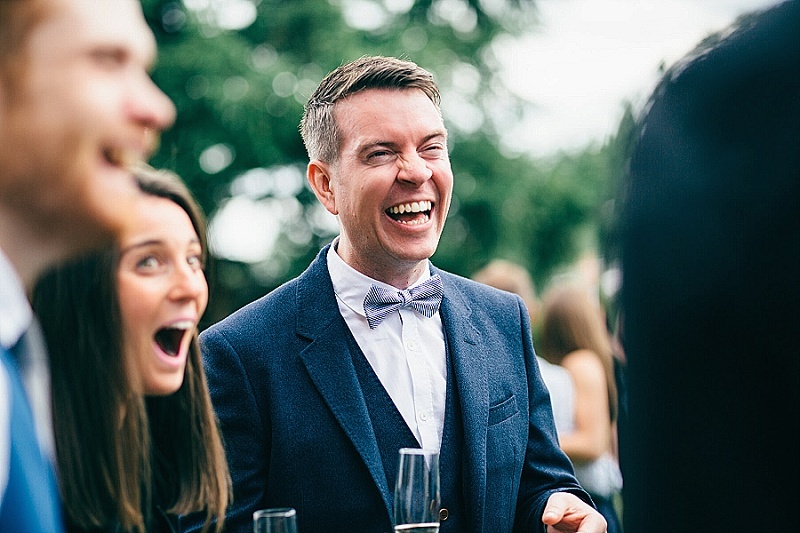 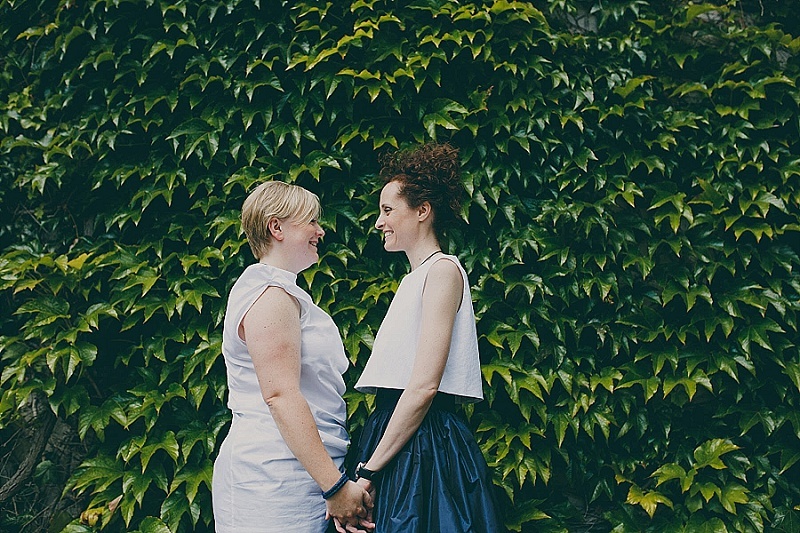 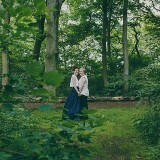 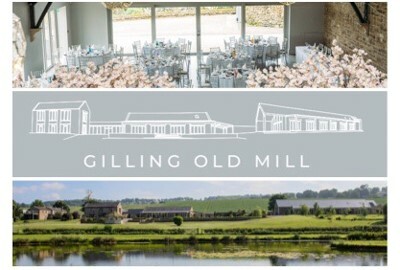 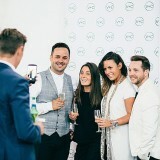 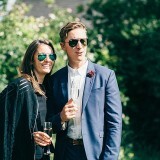 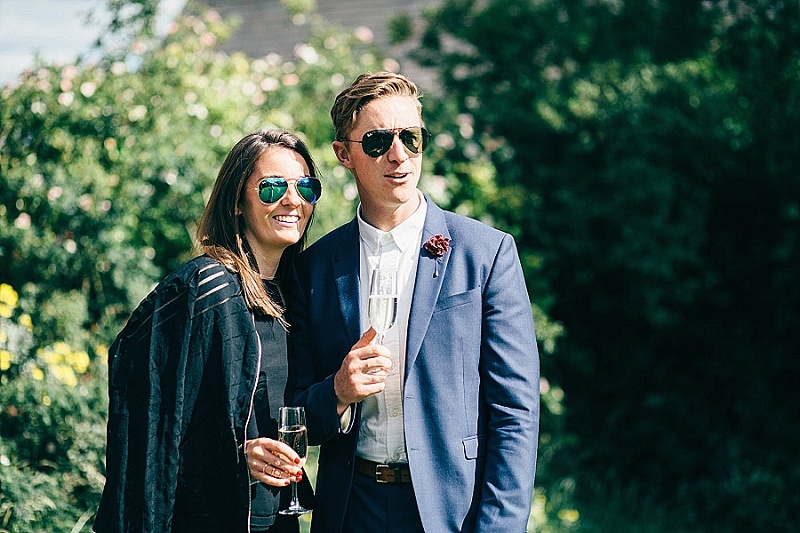 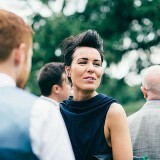 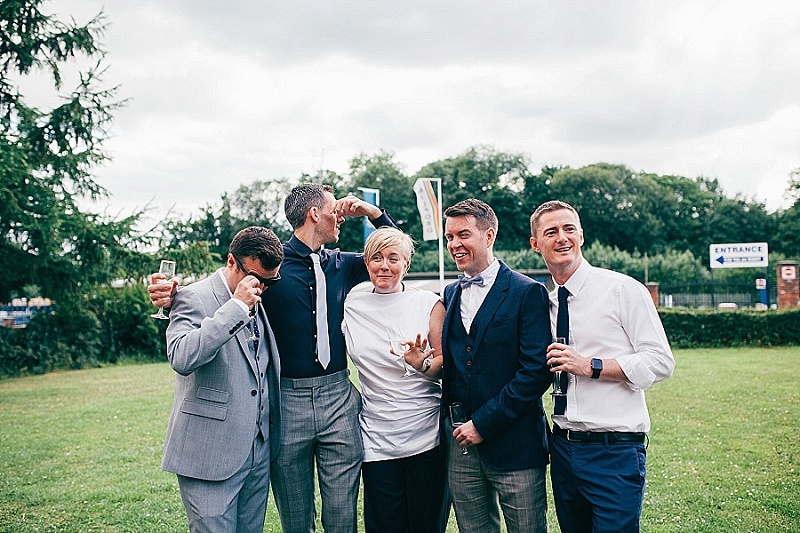 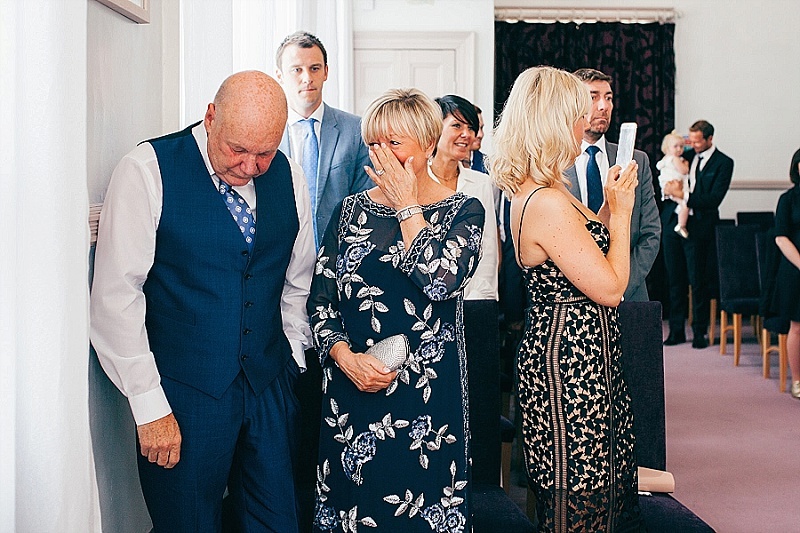 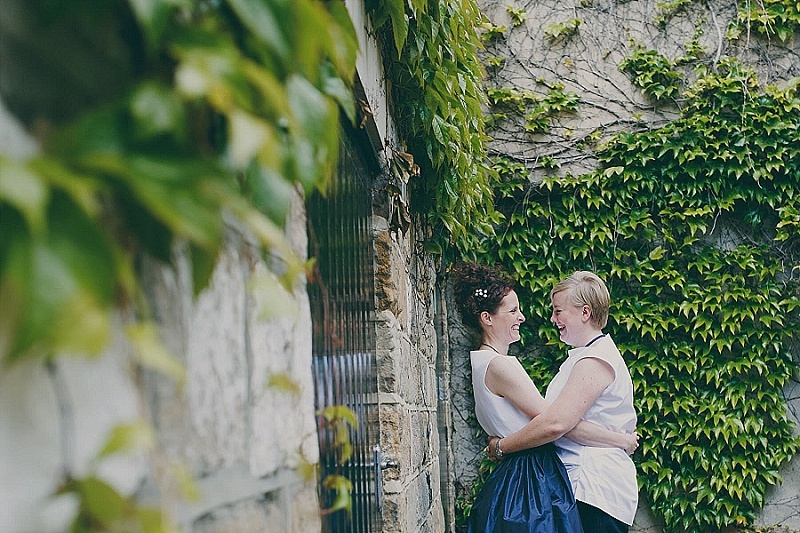 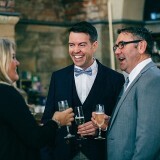 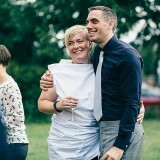 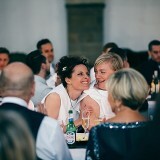 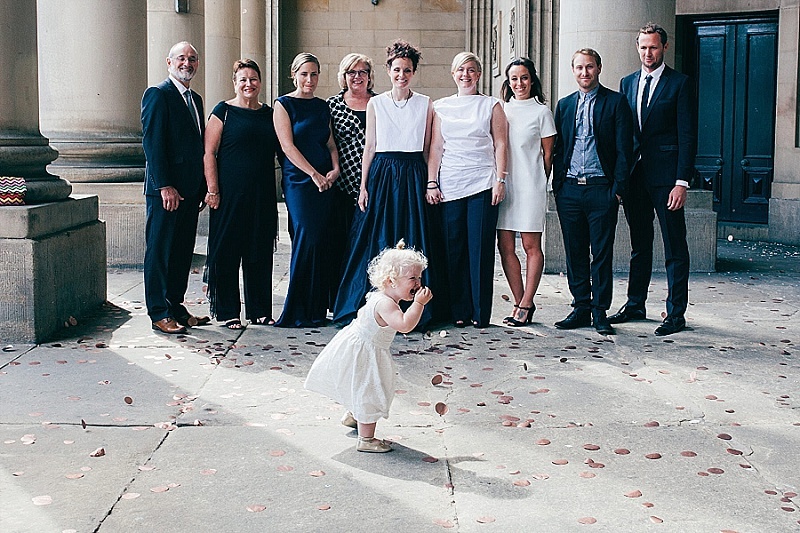 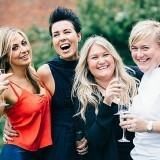 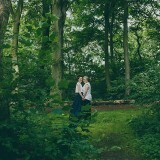 Love a good real wedding blog! 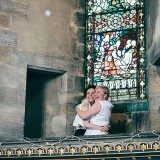 This one is no exception!